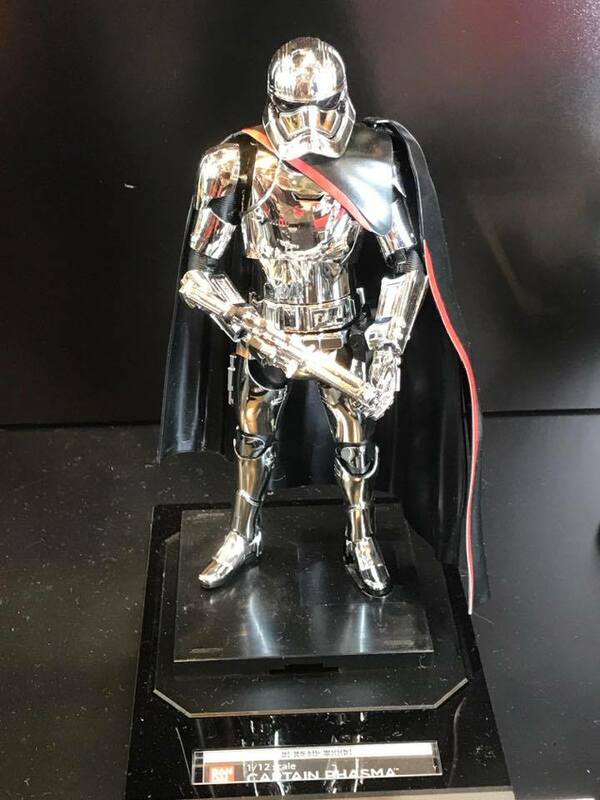 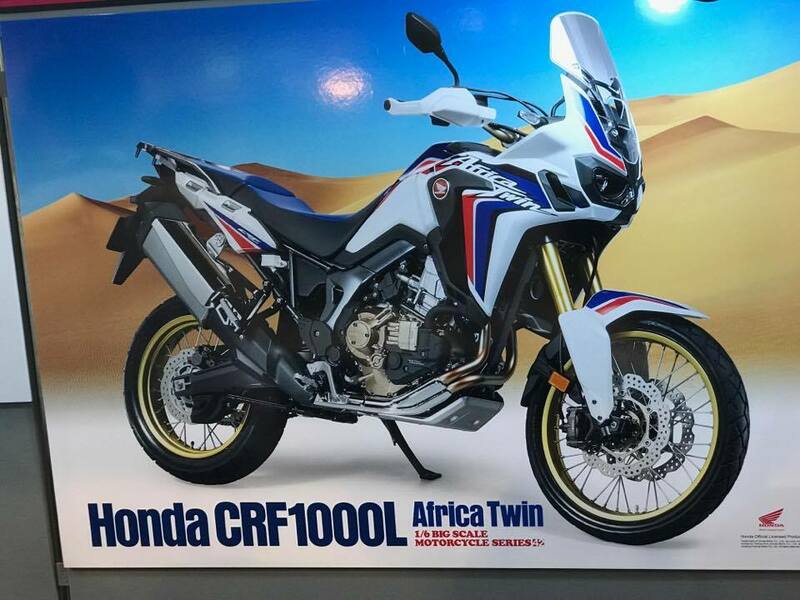 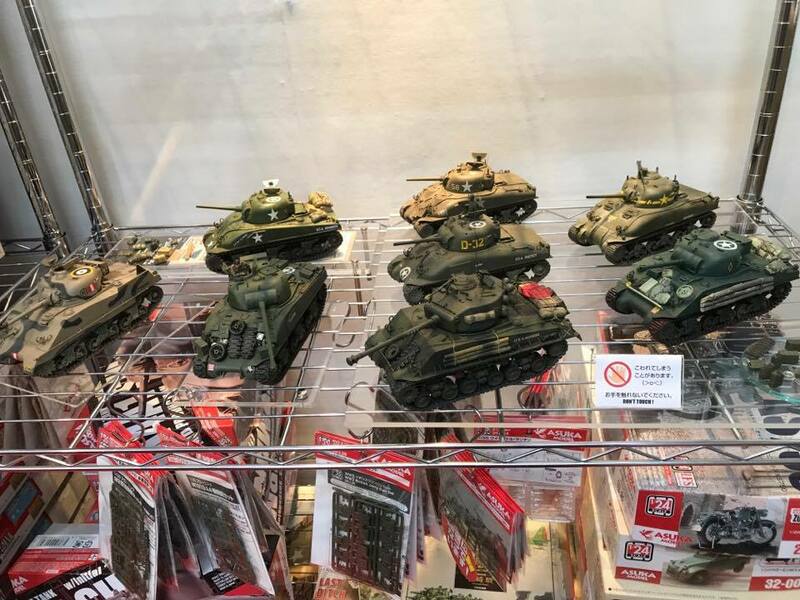 Trade Days -Not open to the public. 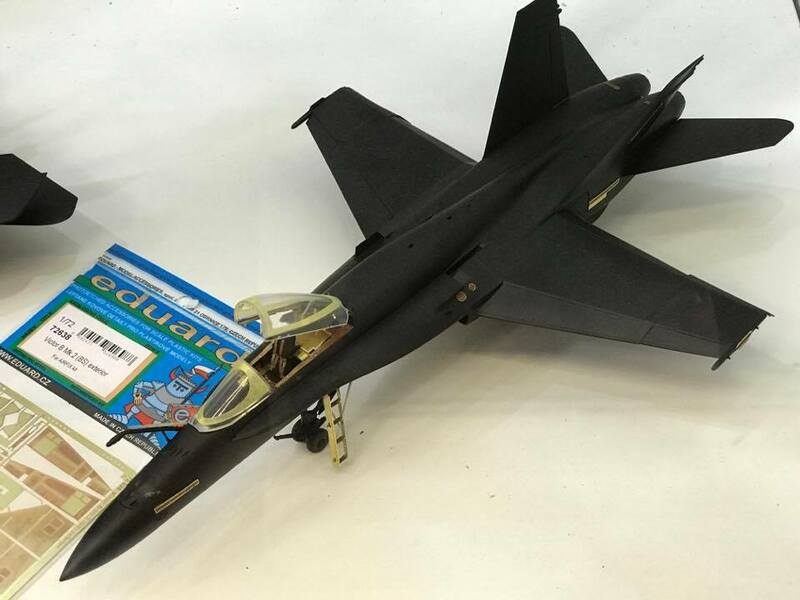 The first 1,000 visitors of Junior High School age (15) and below on each day will be eligible for a gift! 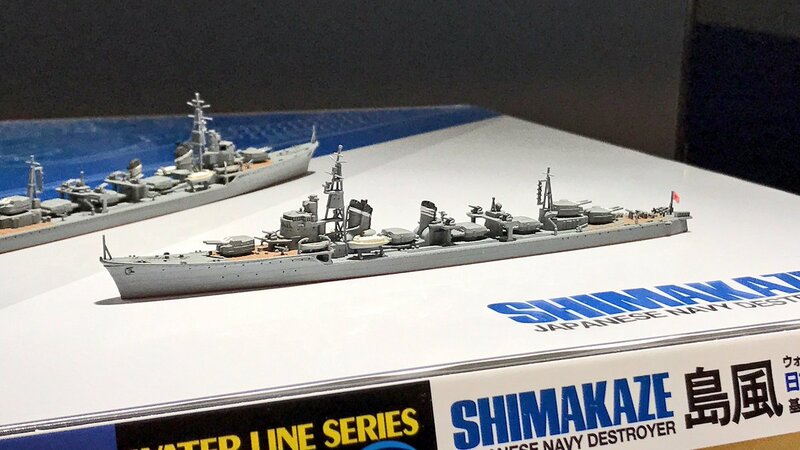 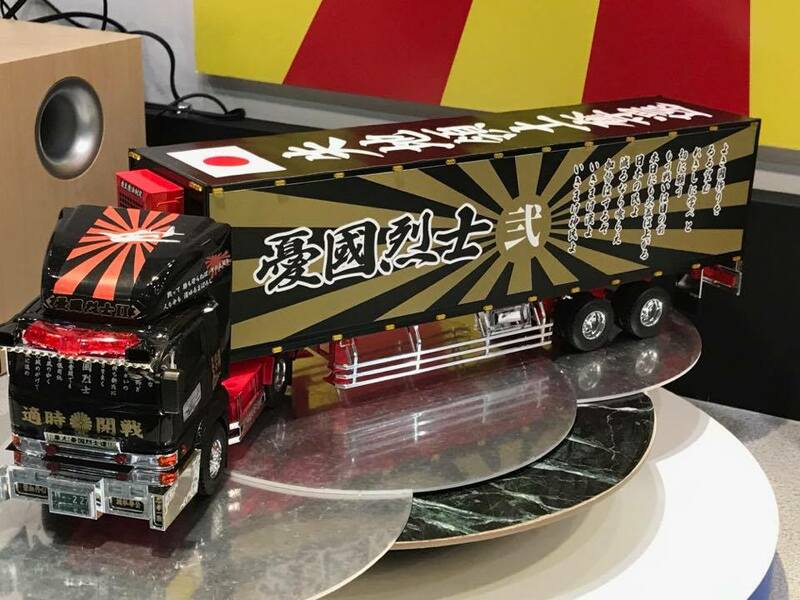 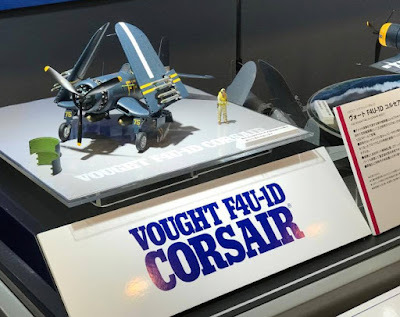 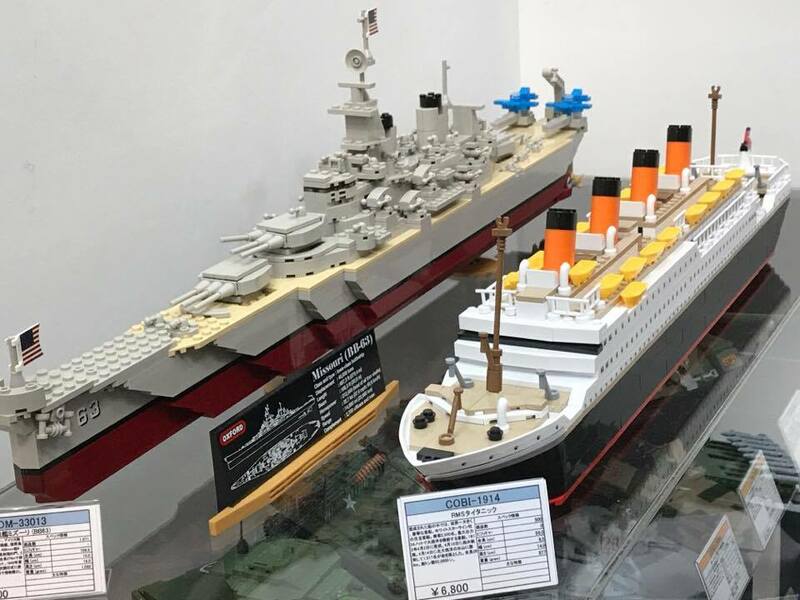 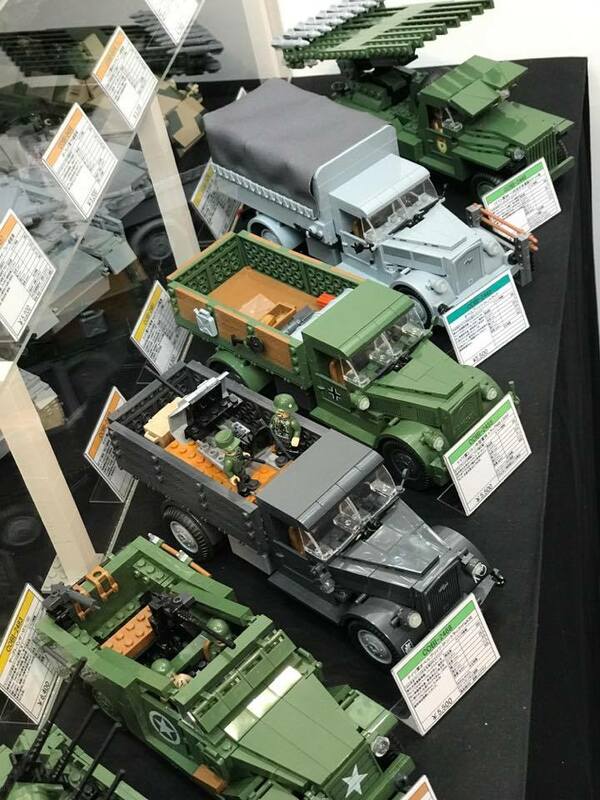 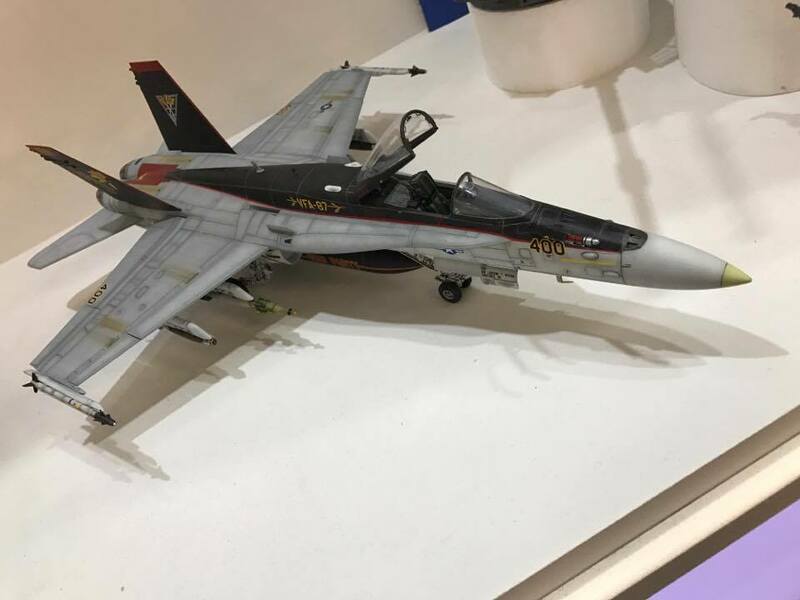 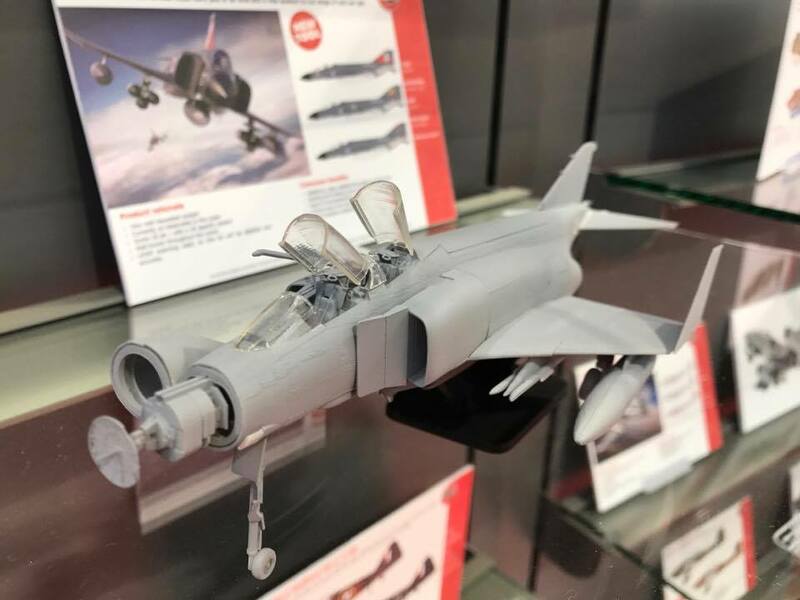 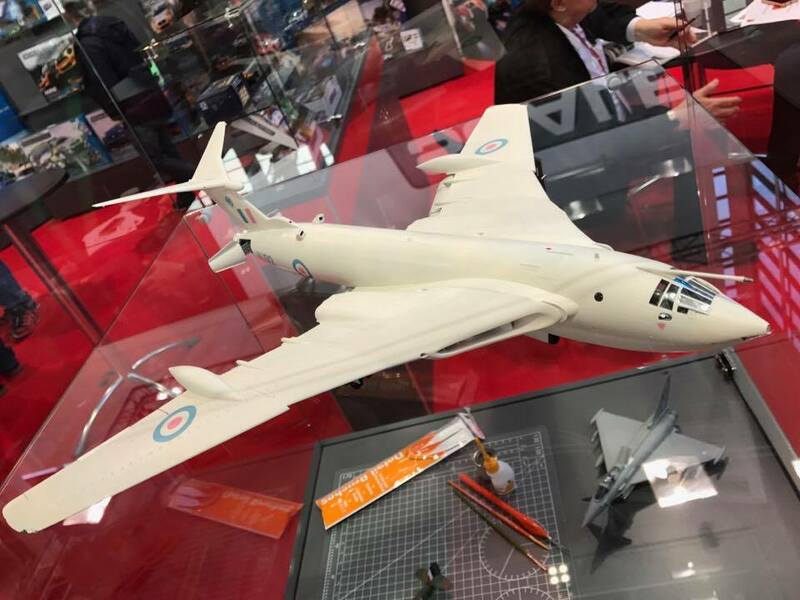 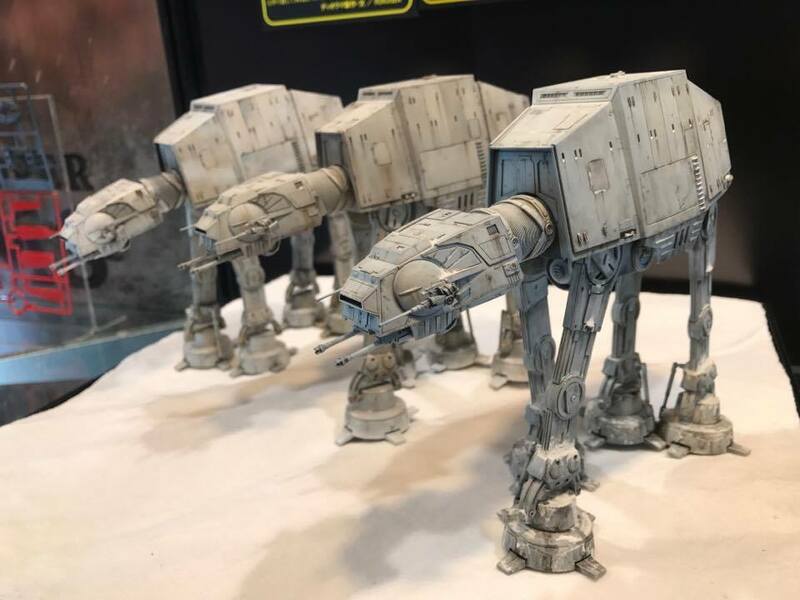 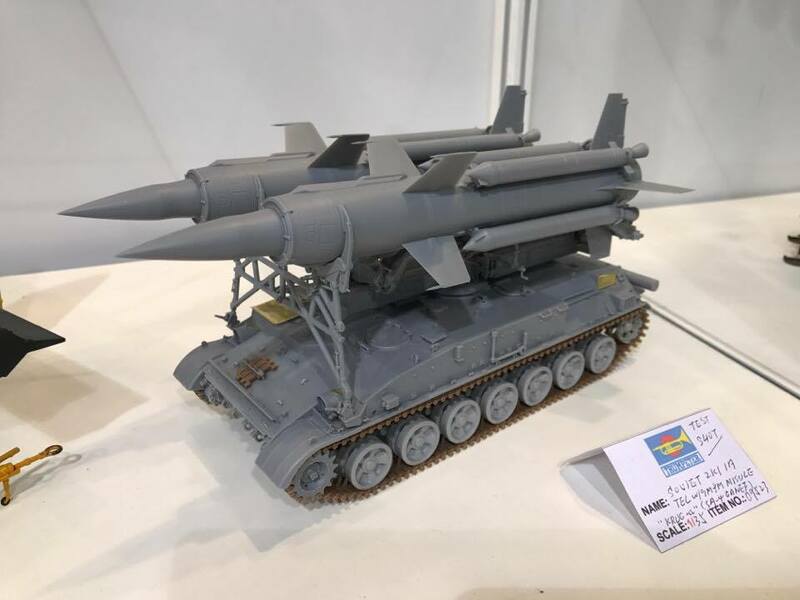 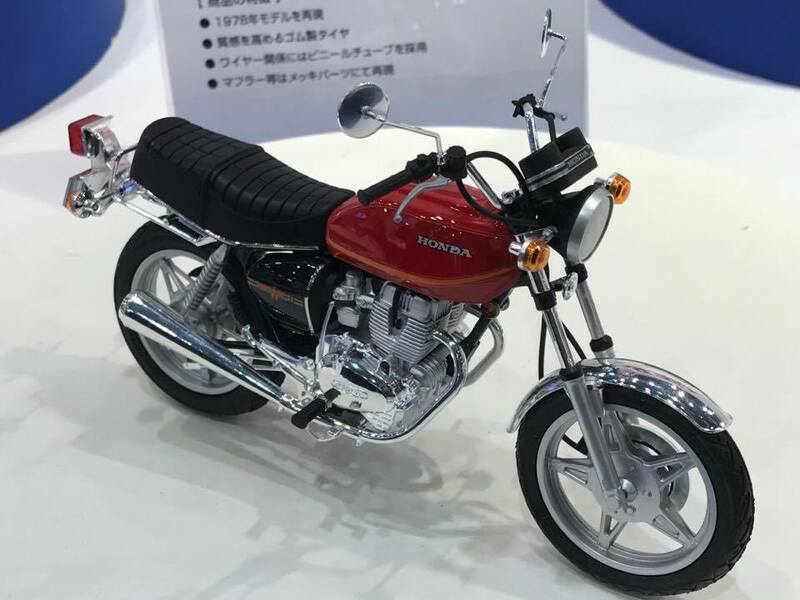 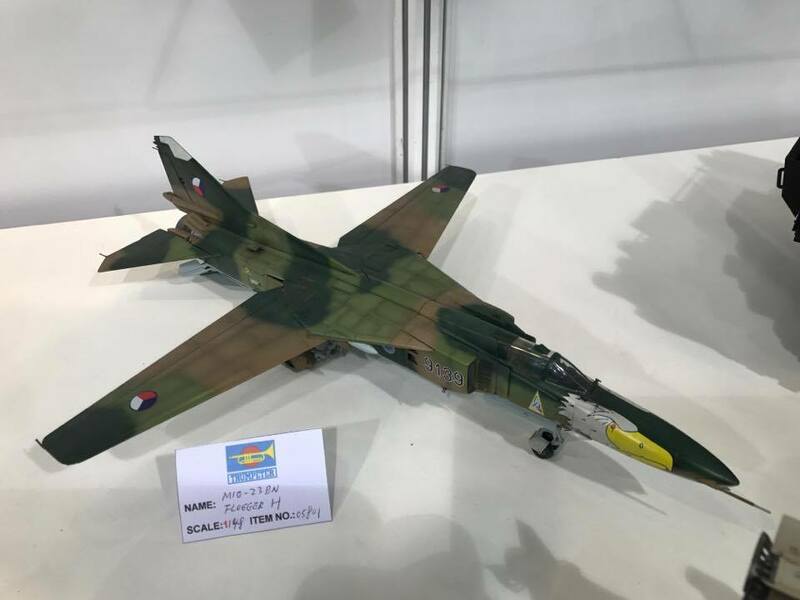 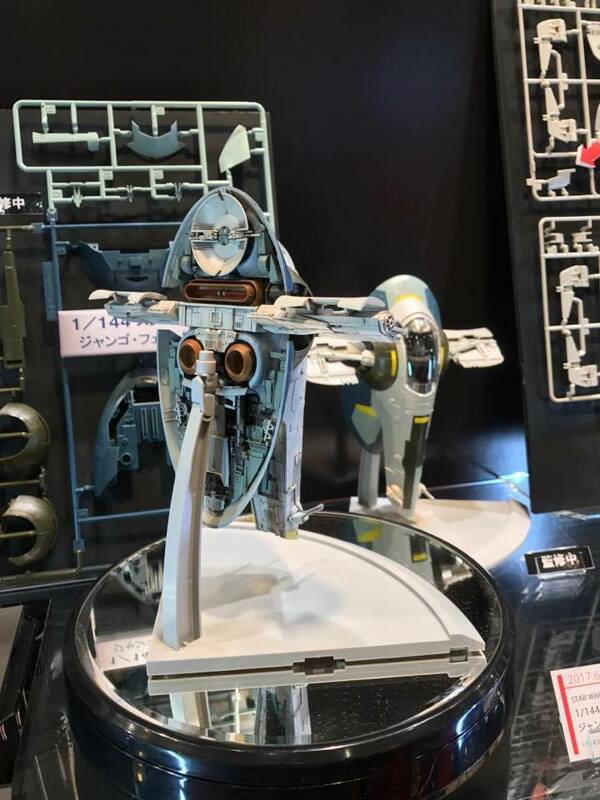 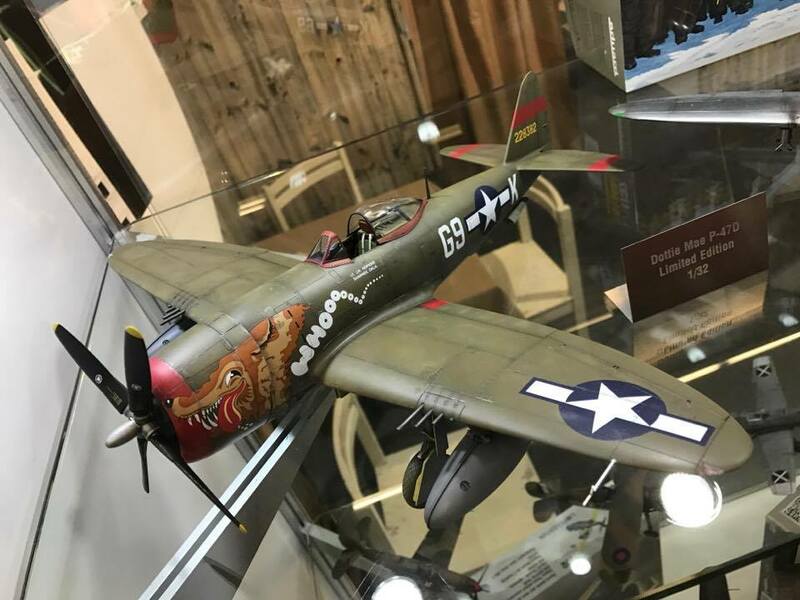 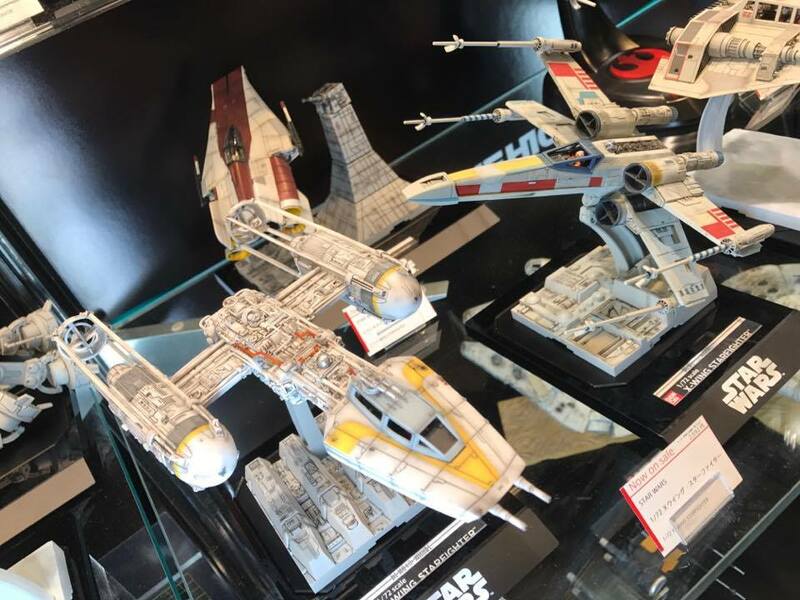 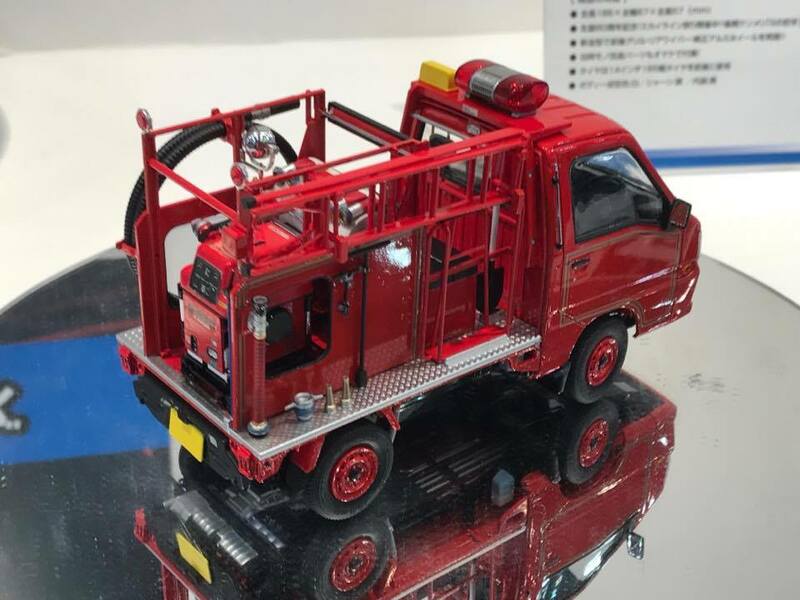 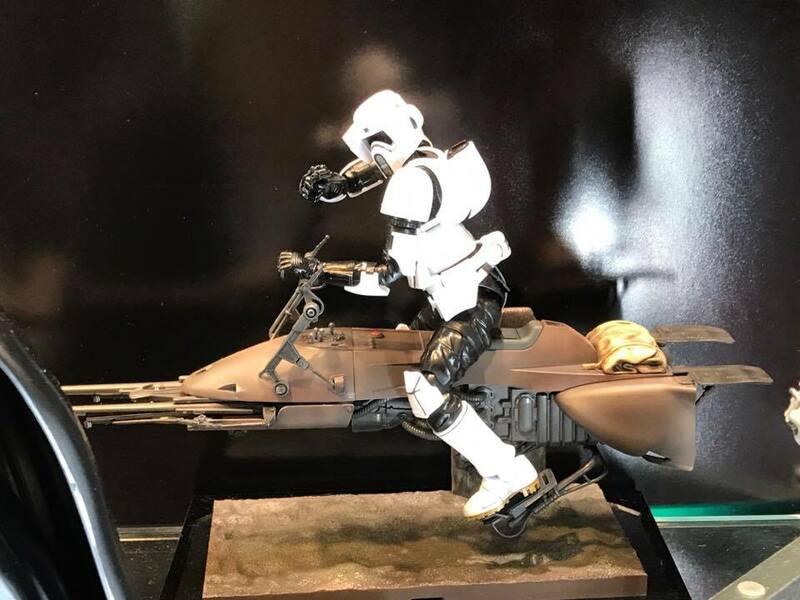 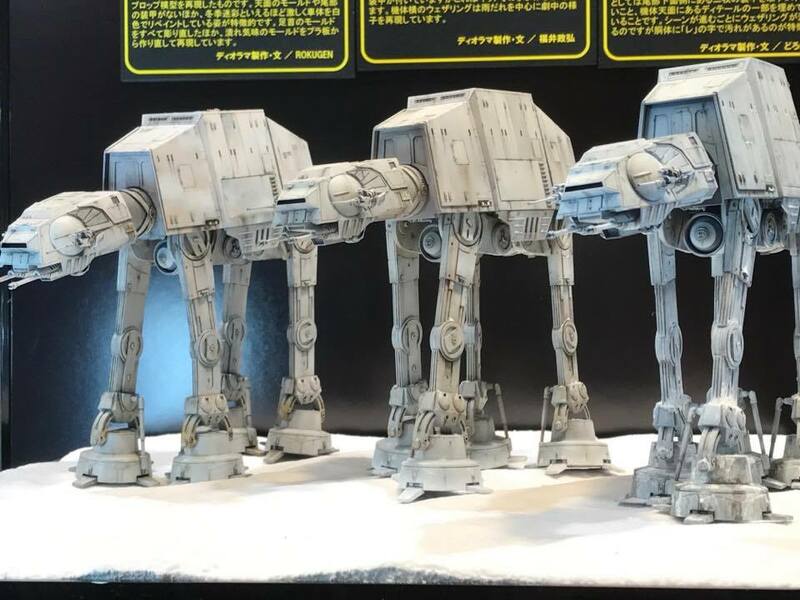 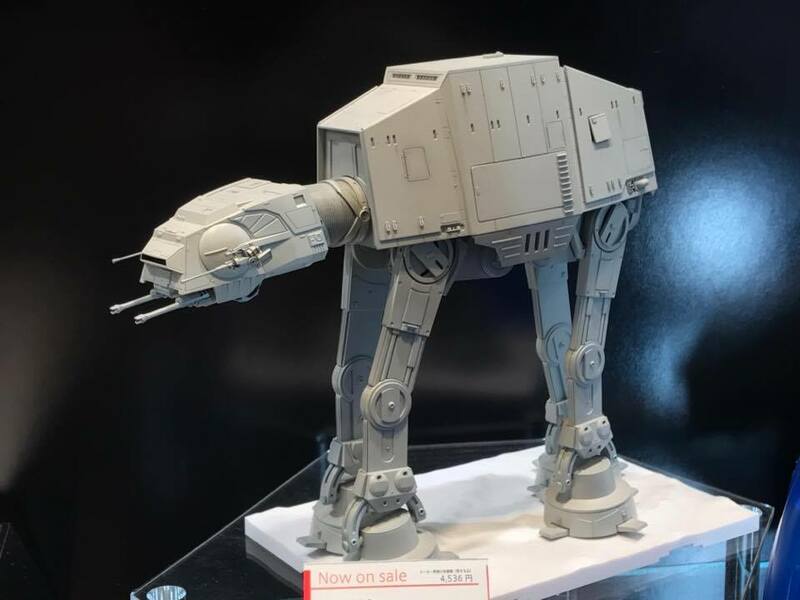 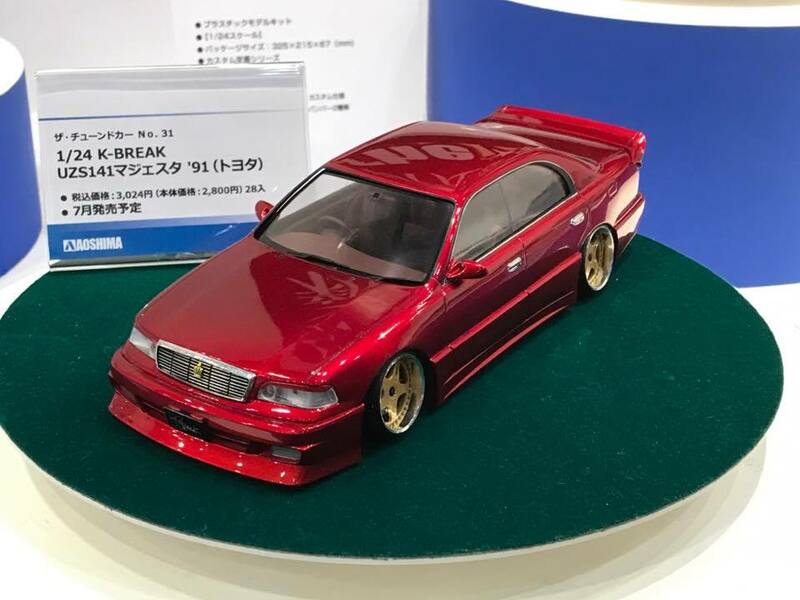 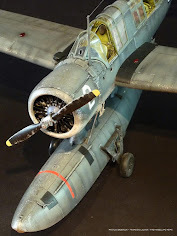 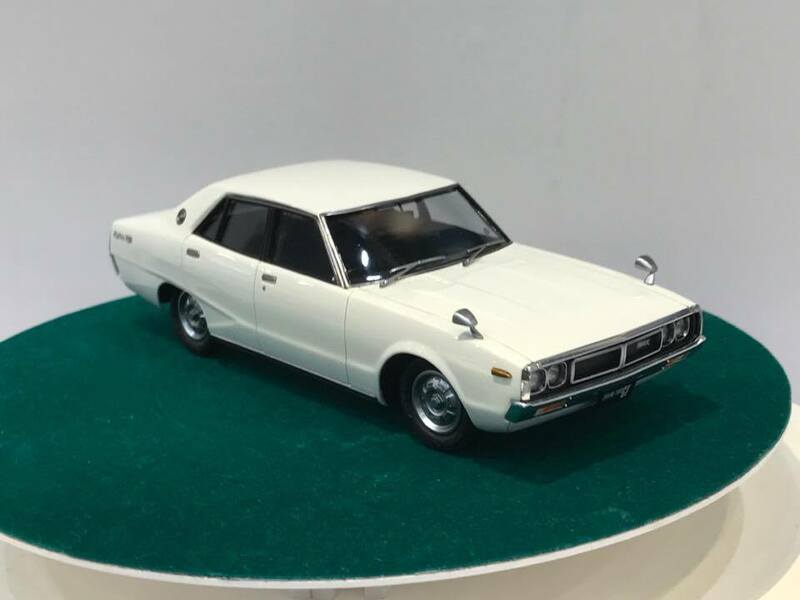 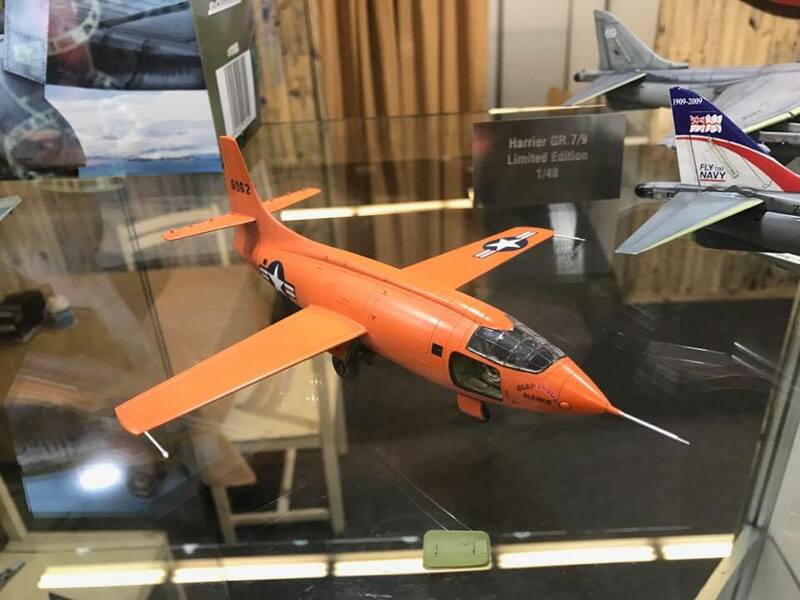 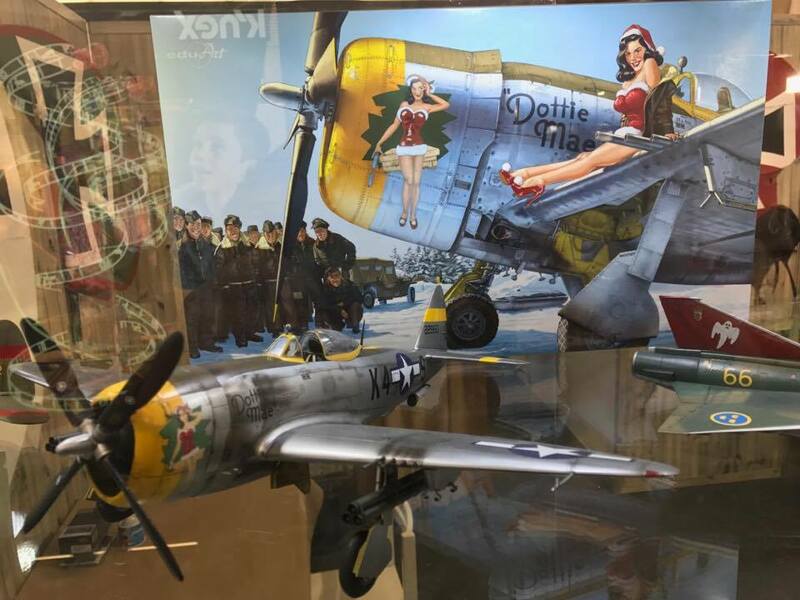 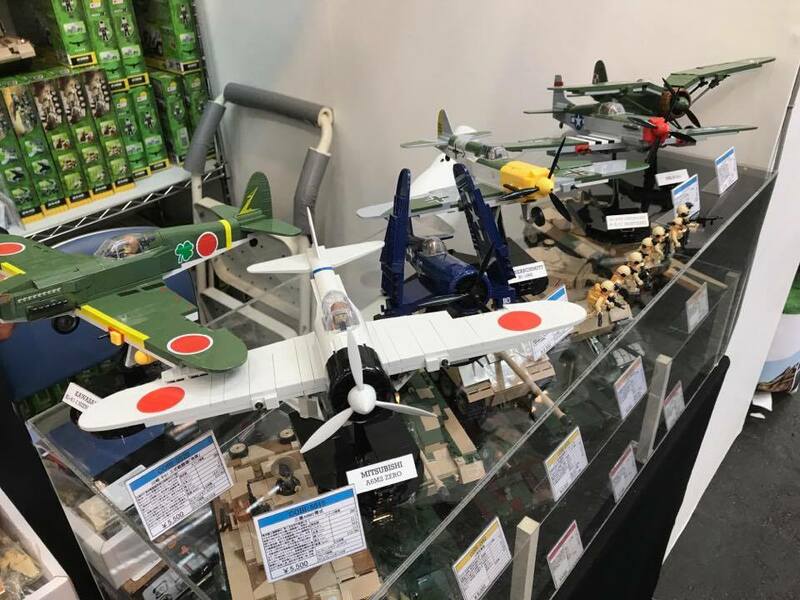 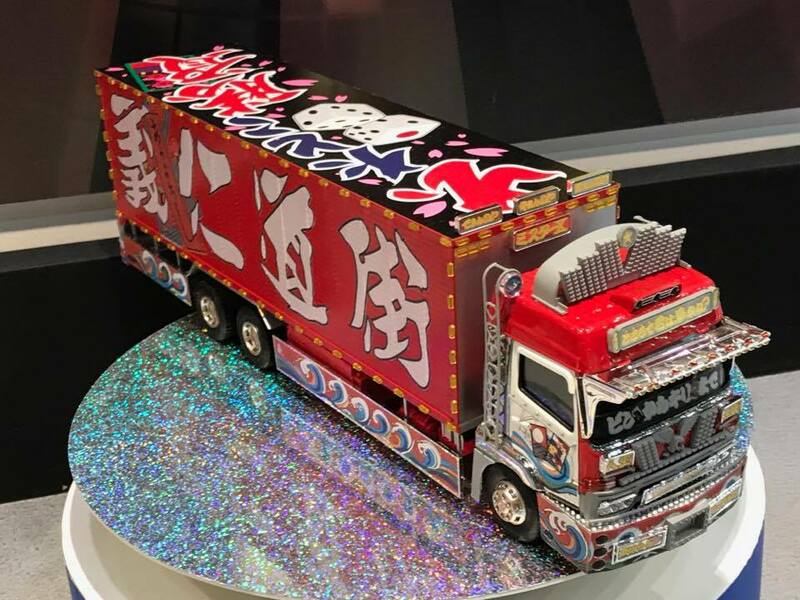 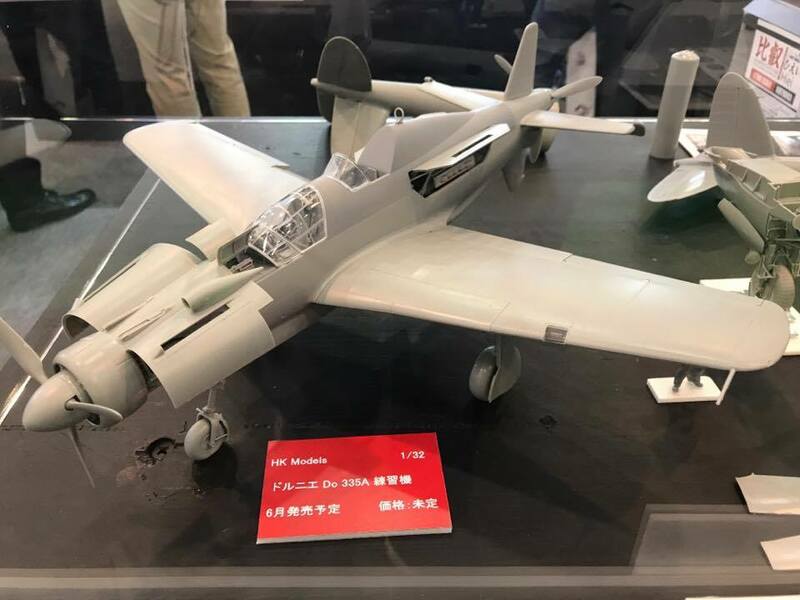 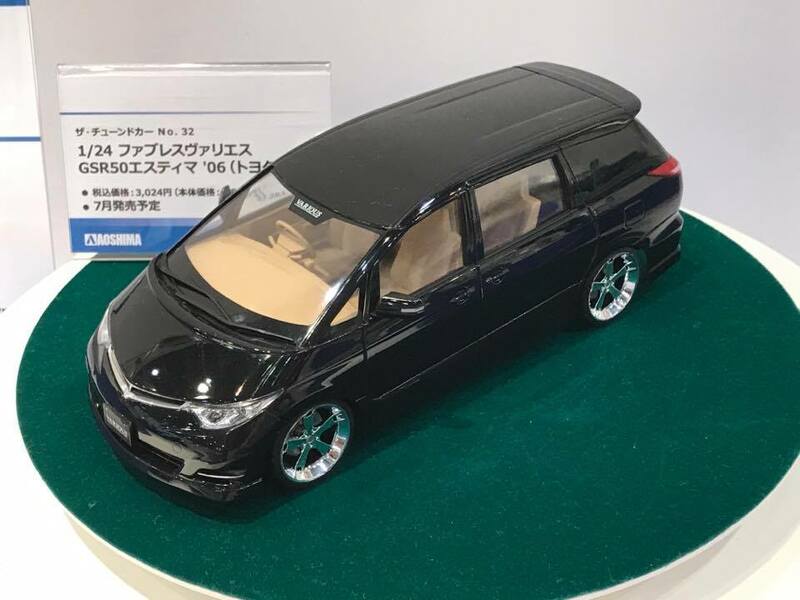 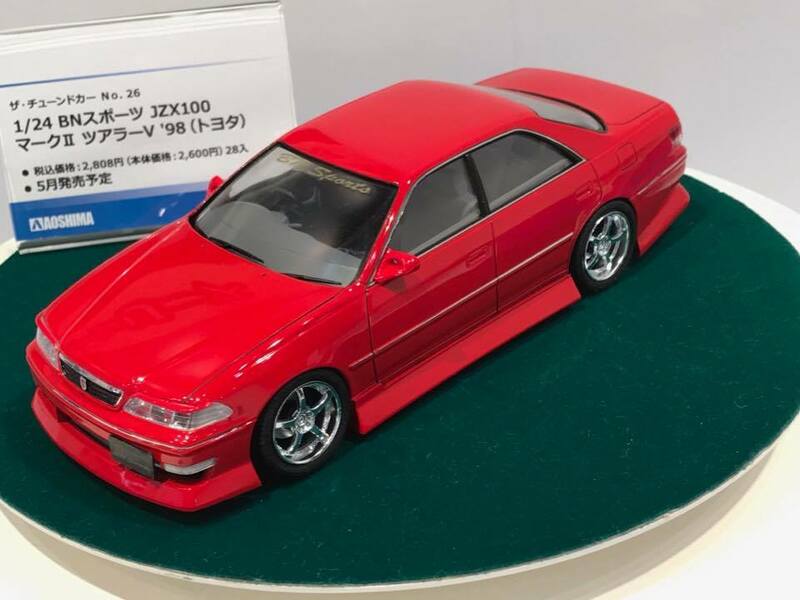 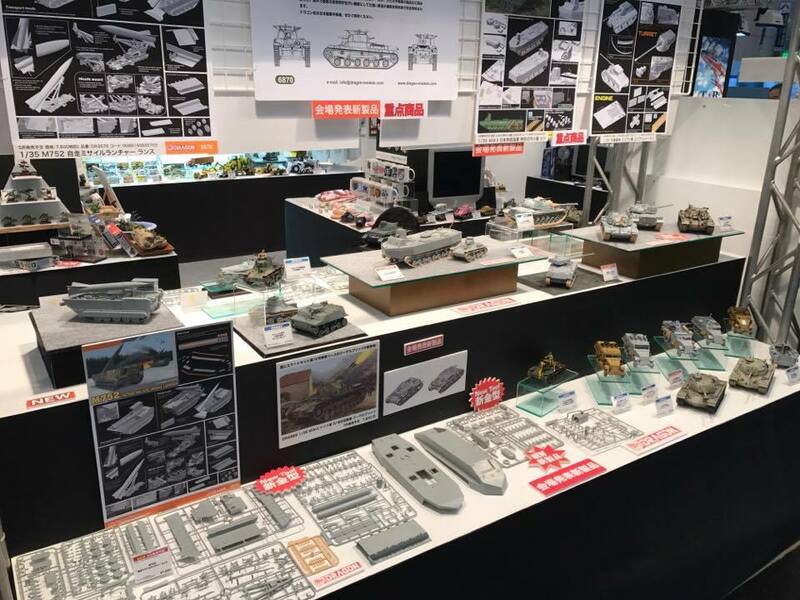 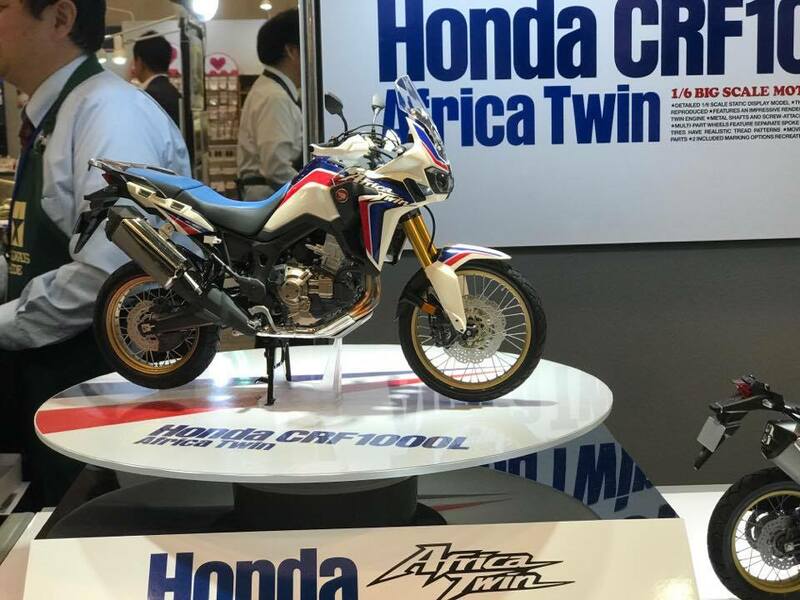 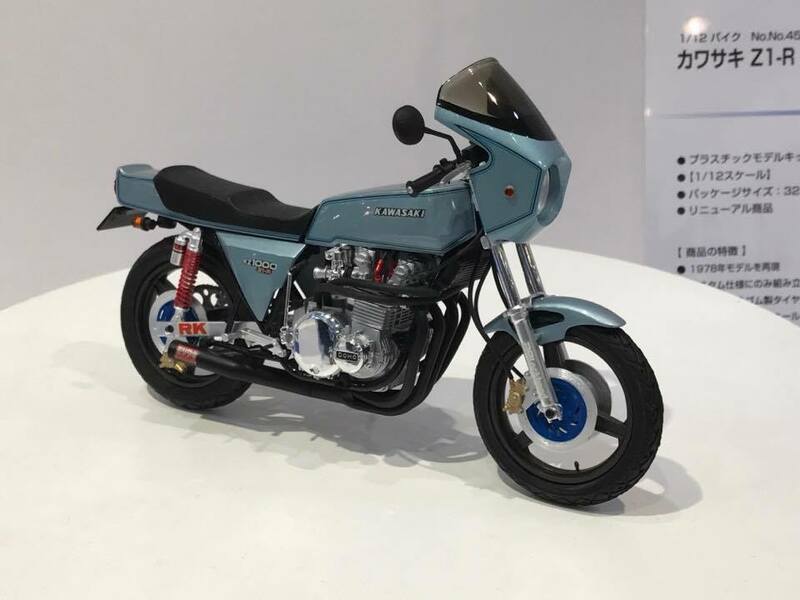 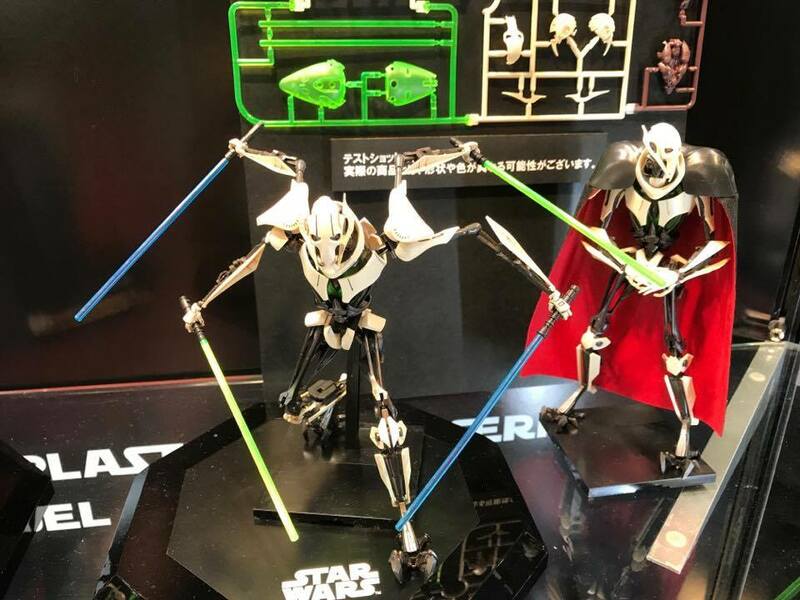 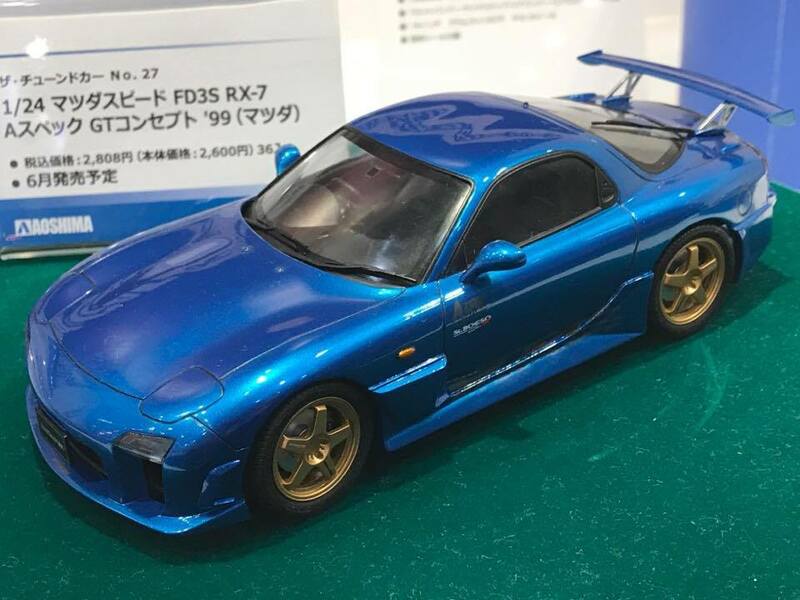 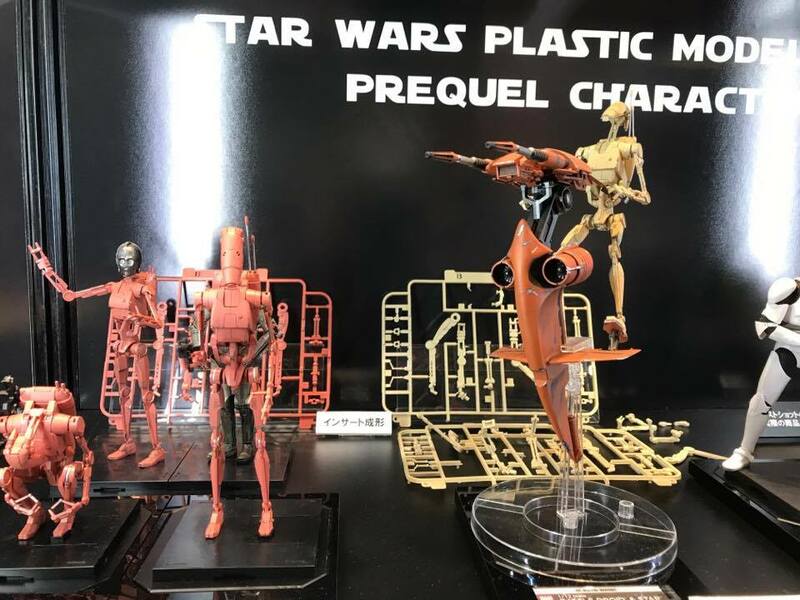 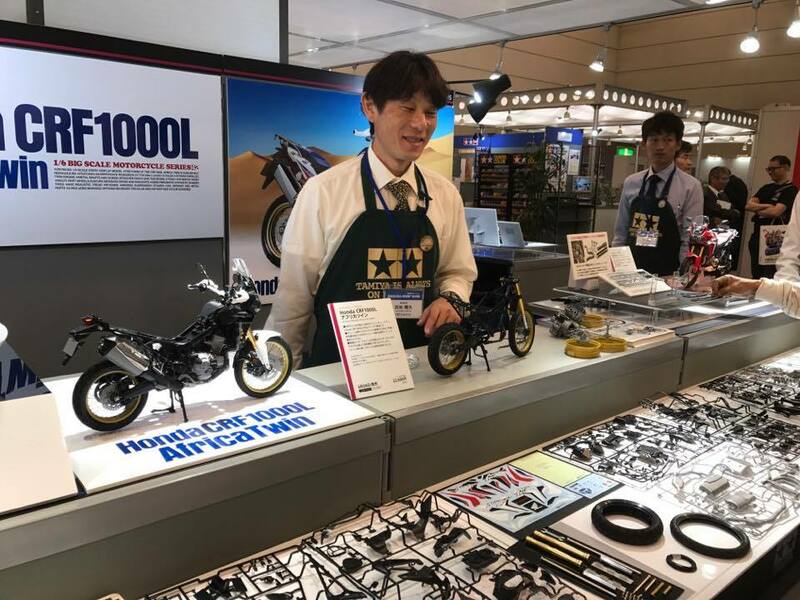 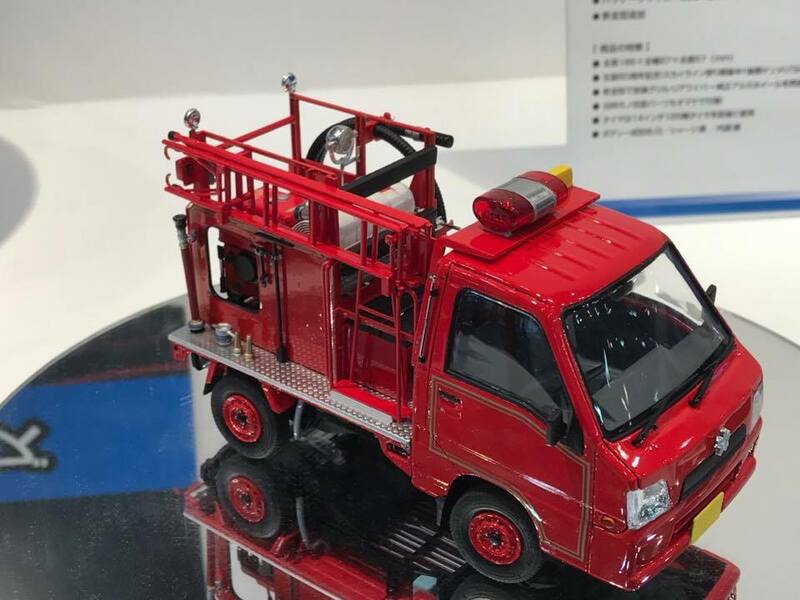 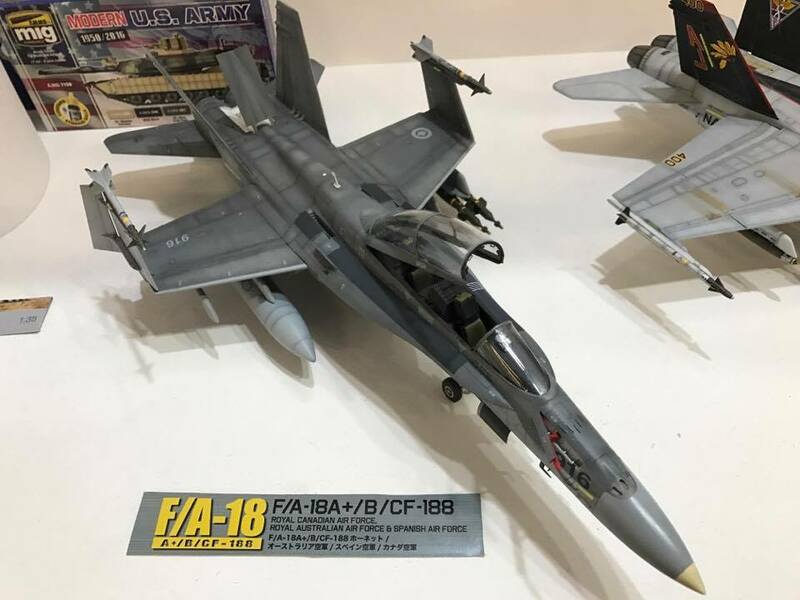 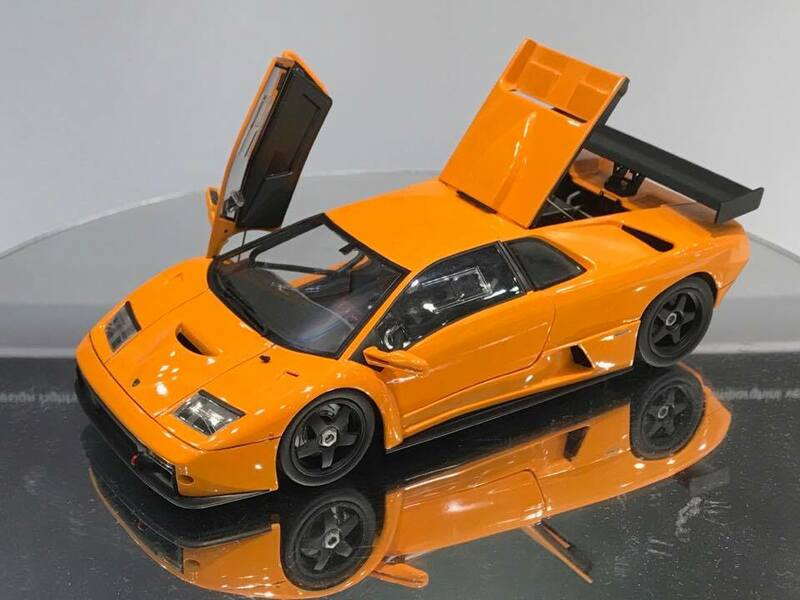 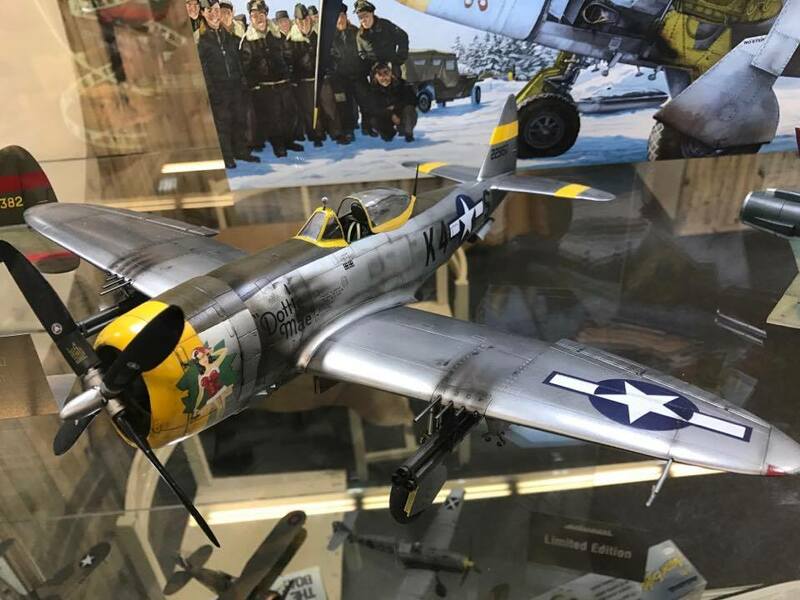 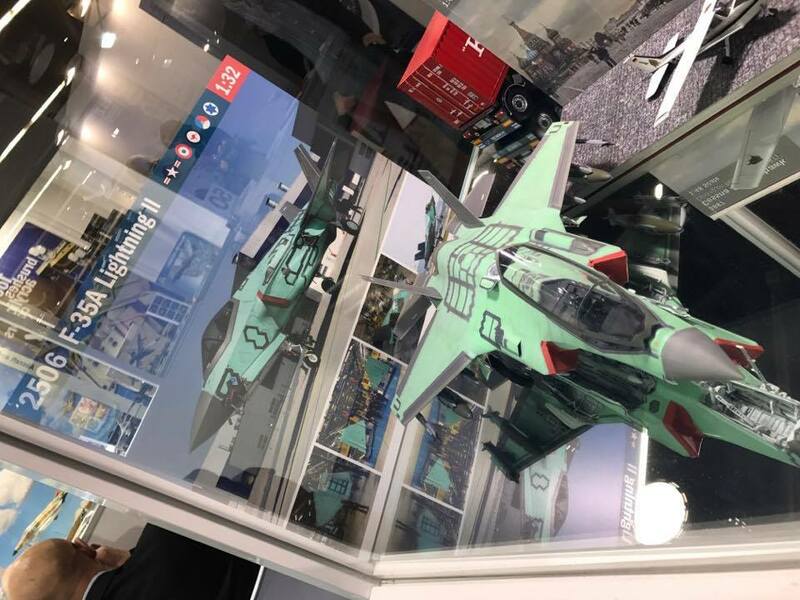 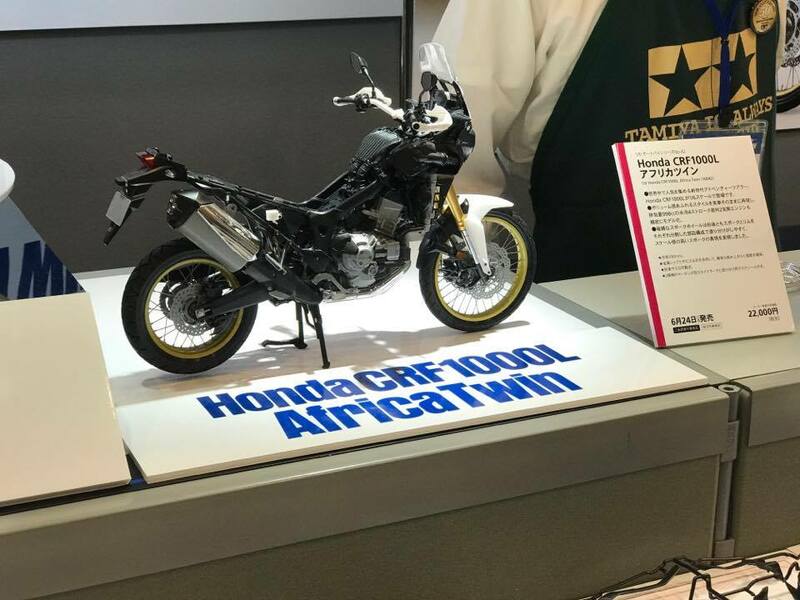 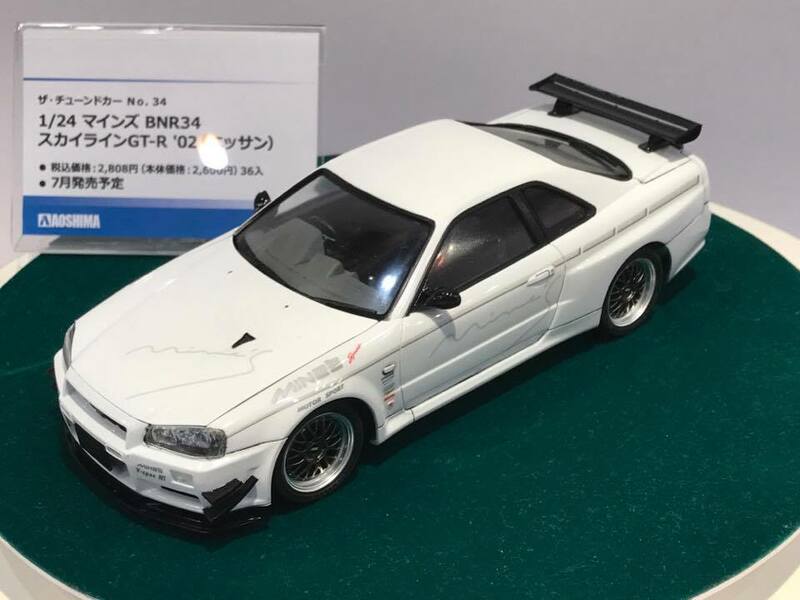 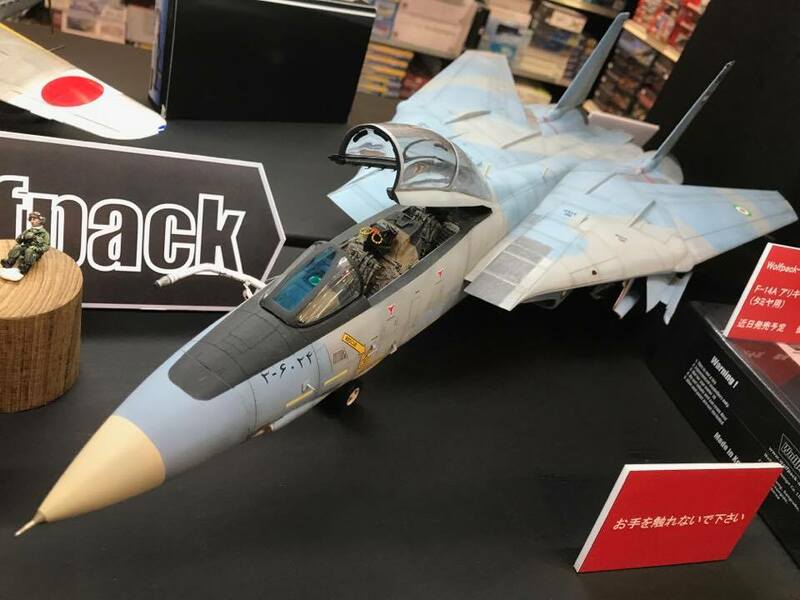 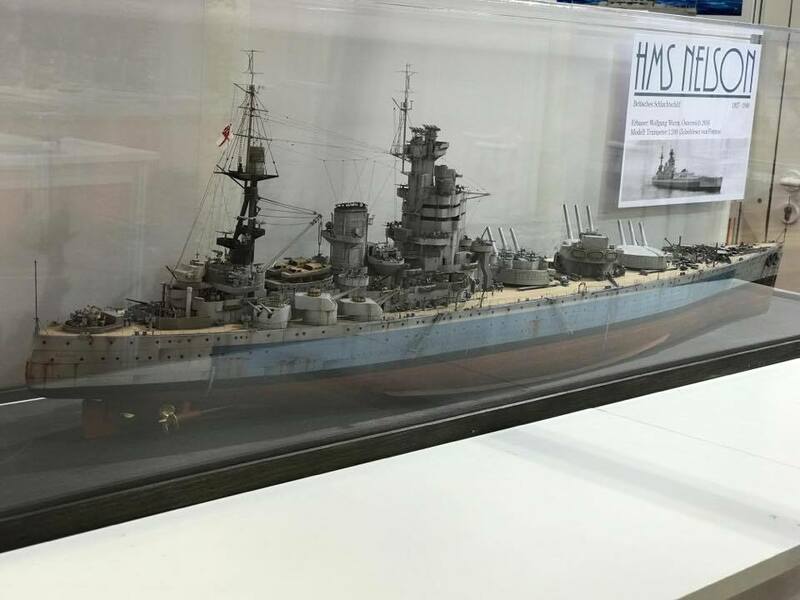 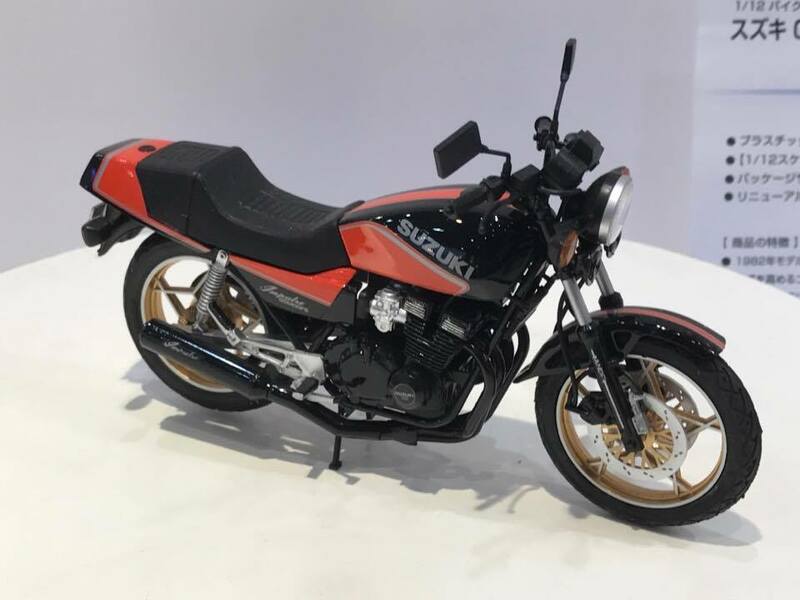 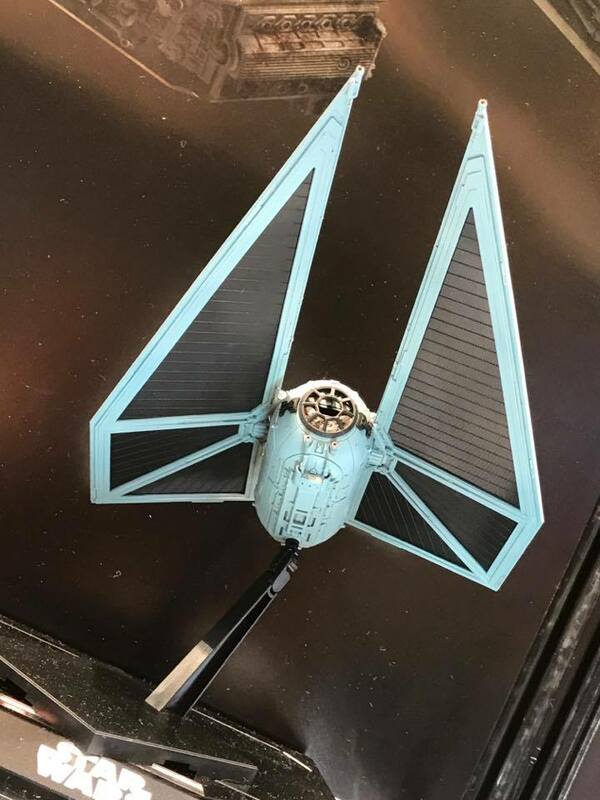 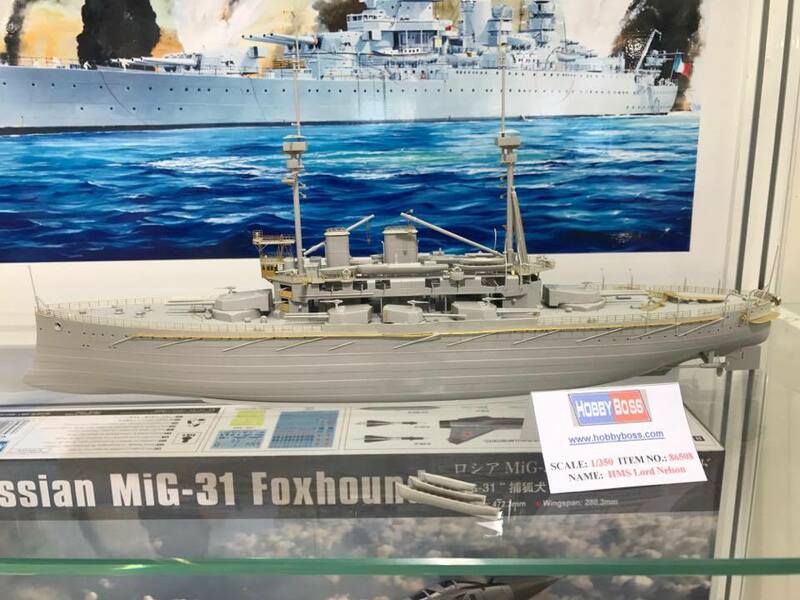 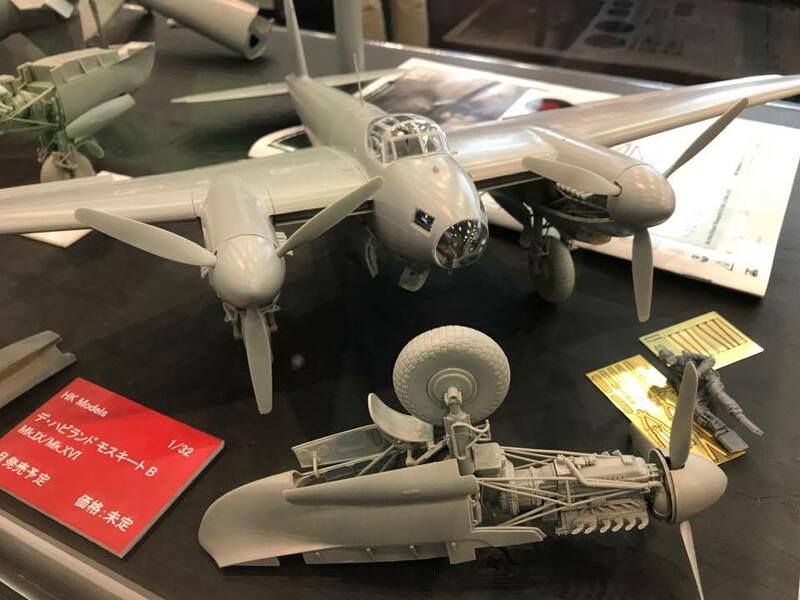 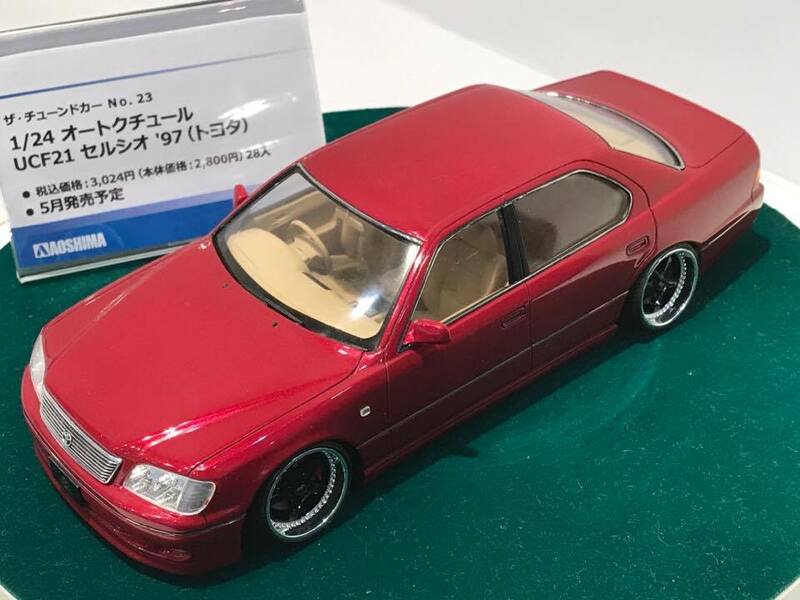 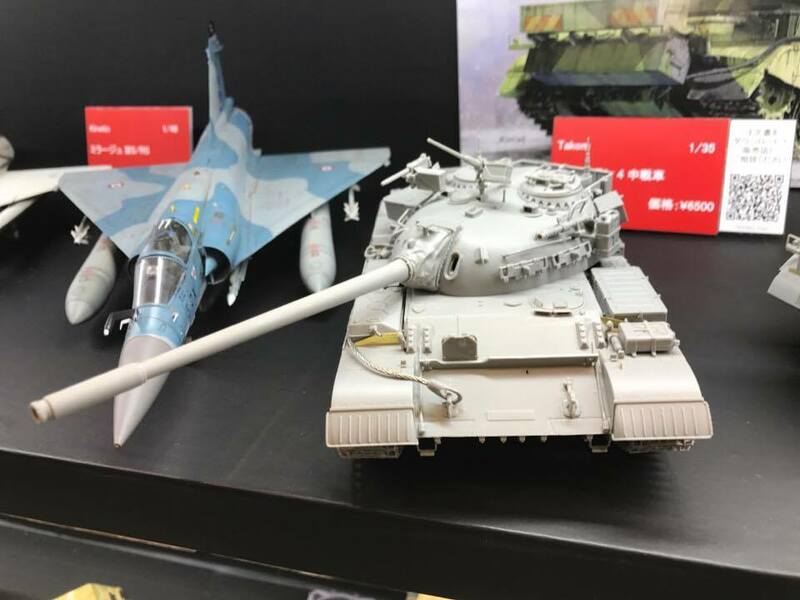 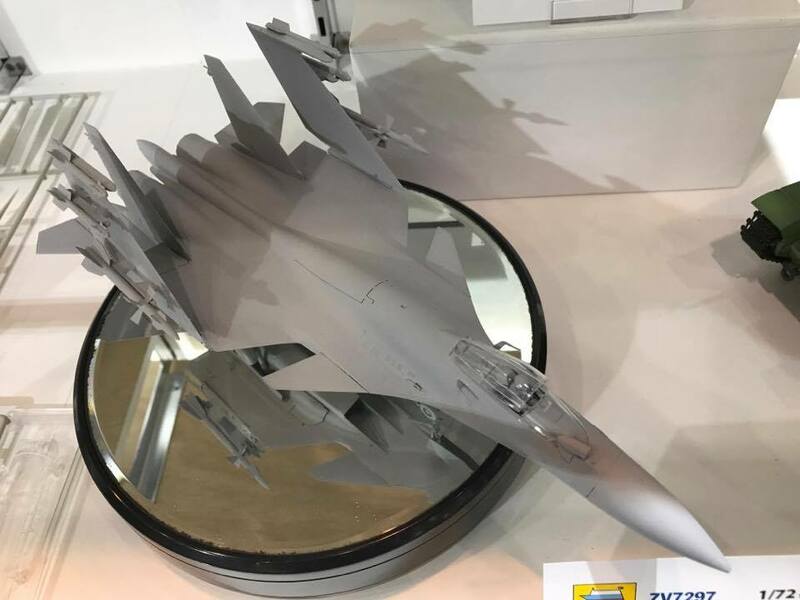 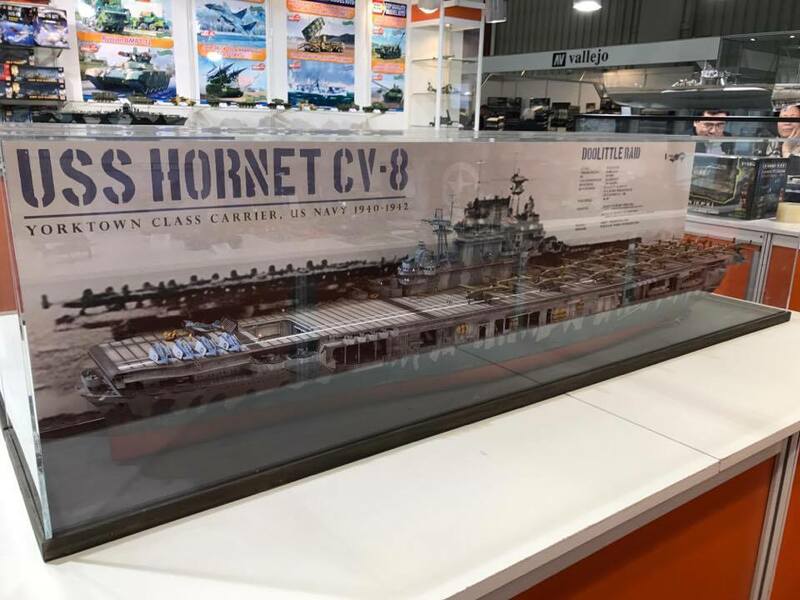 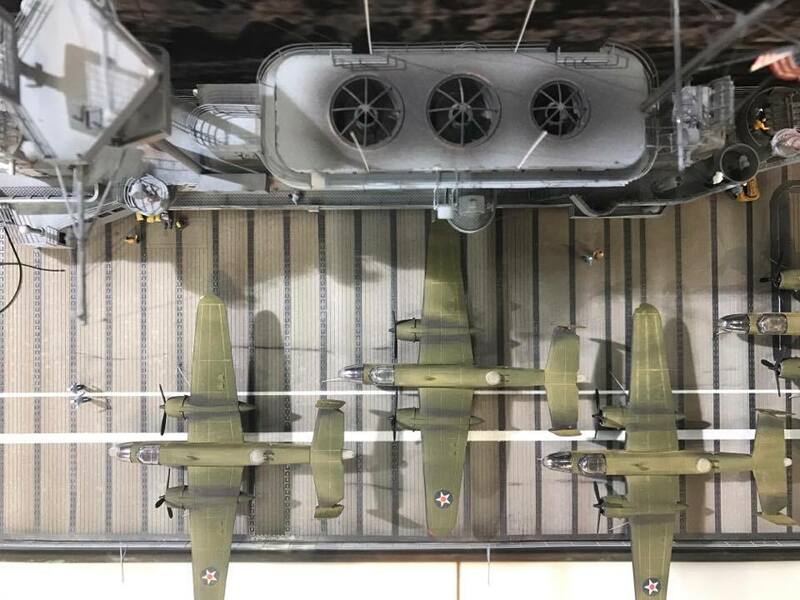 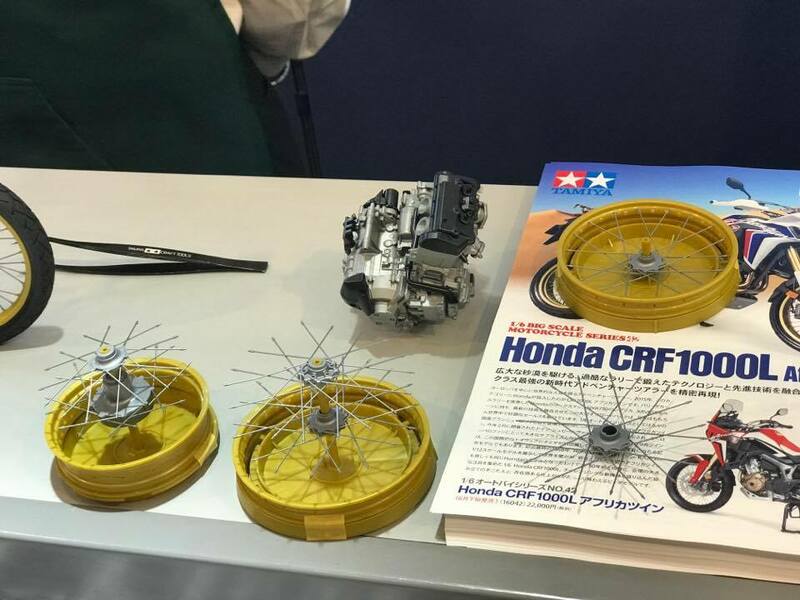 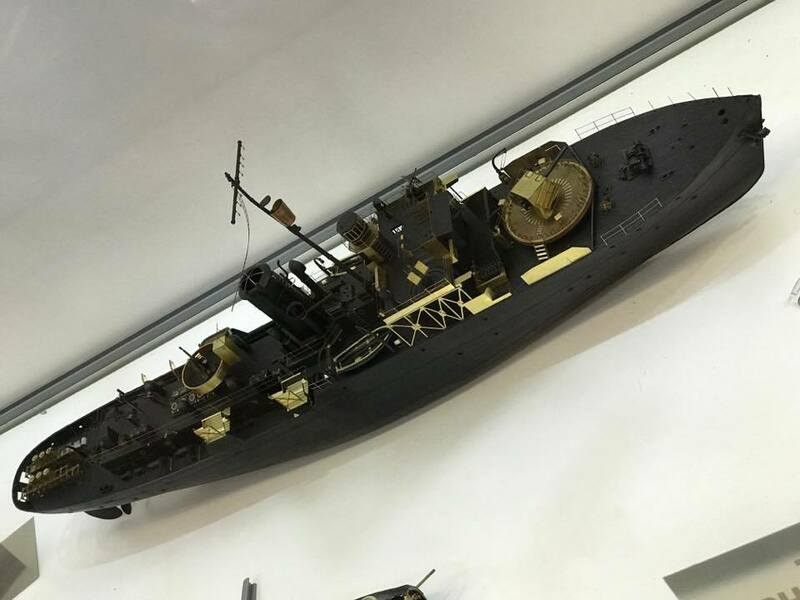 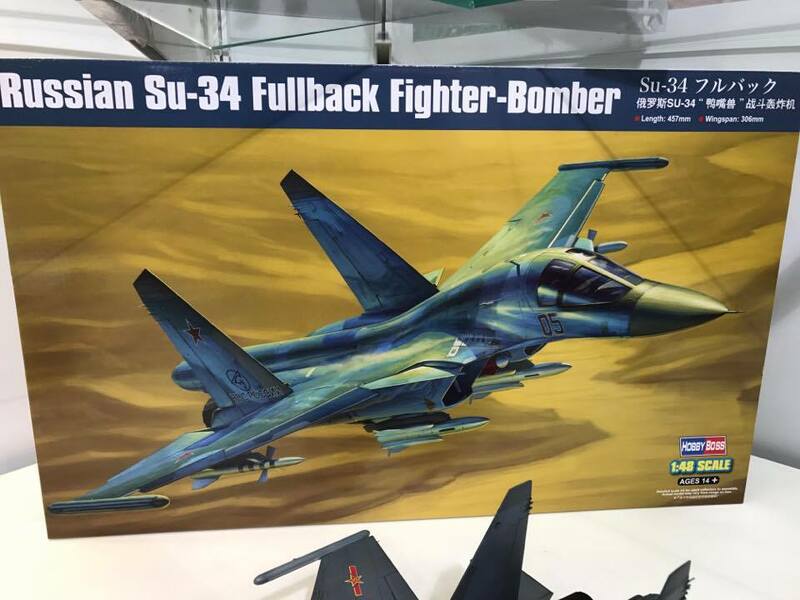 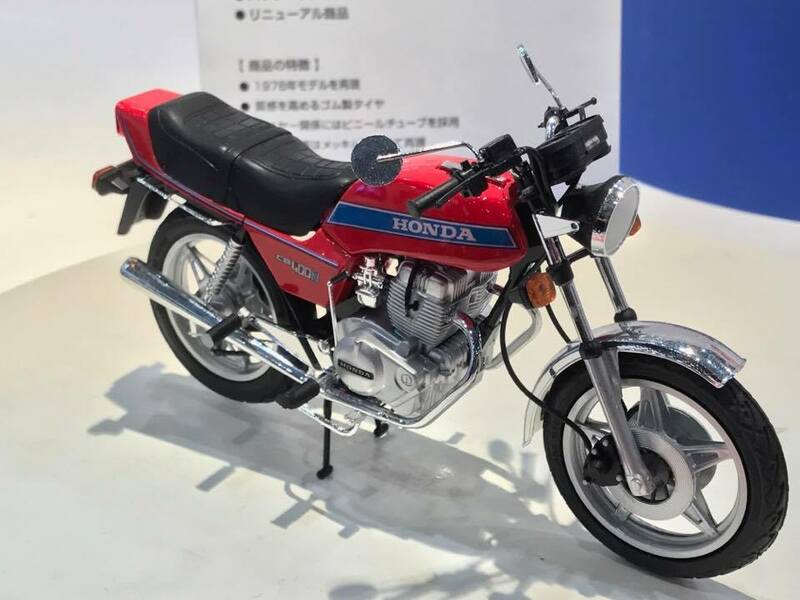 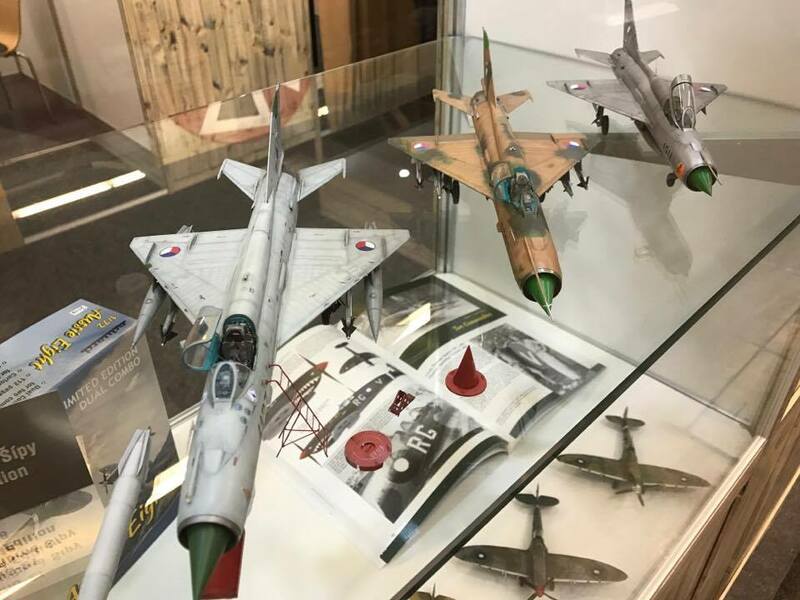 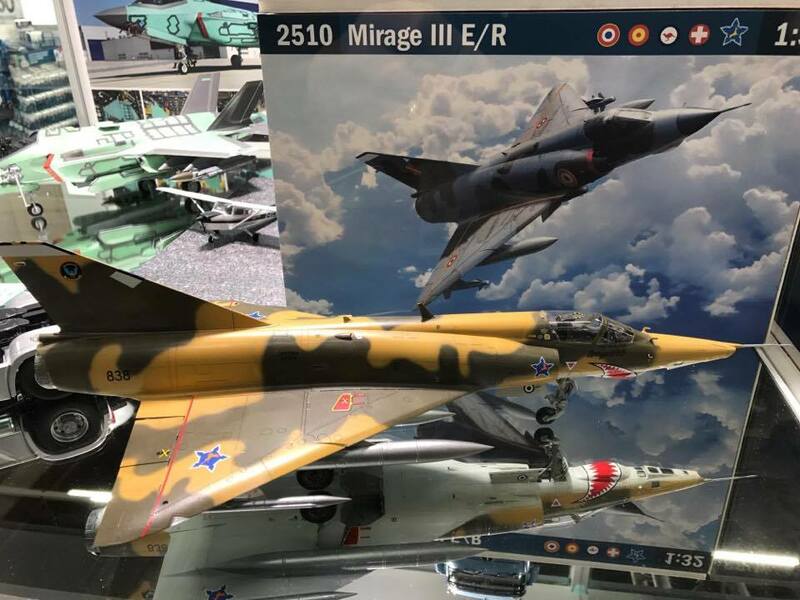 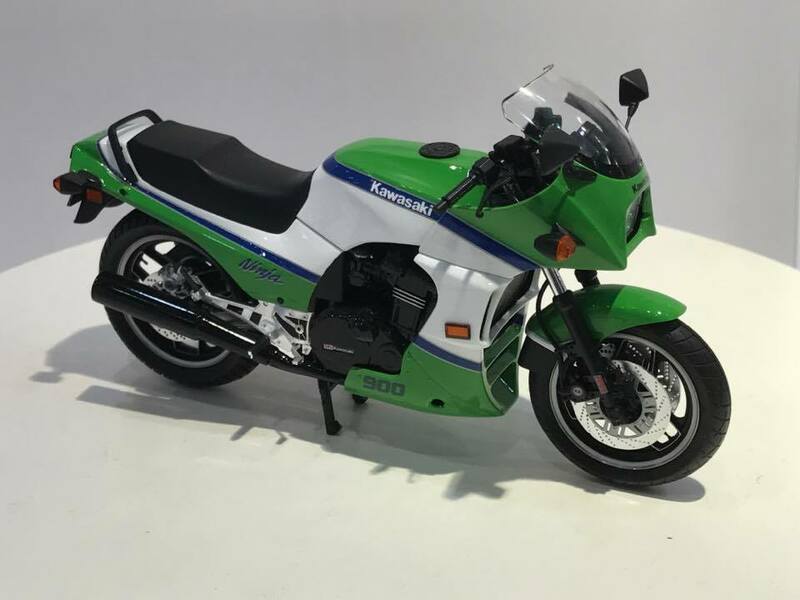 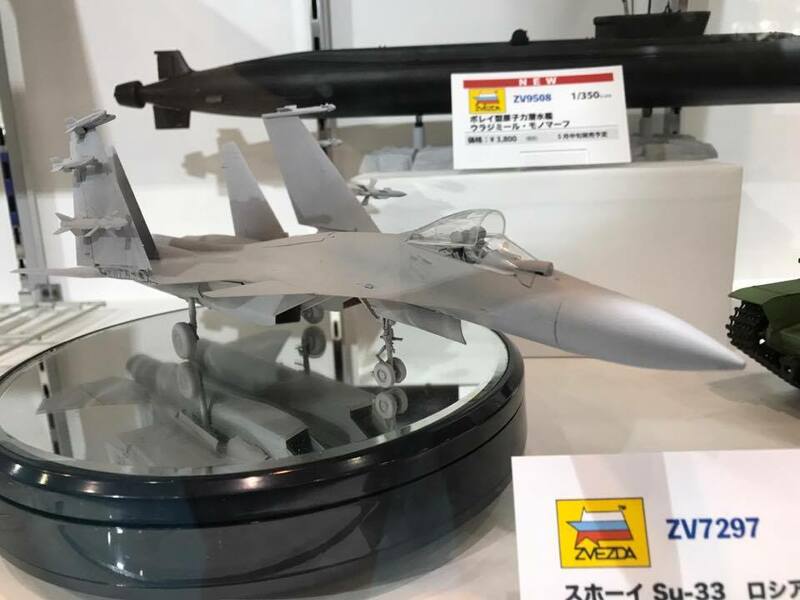 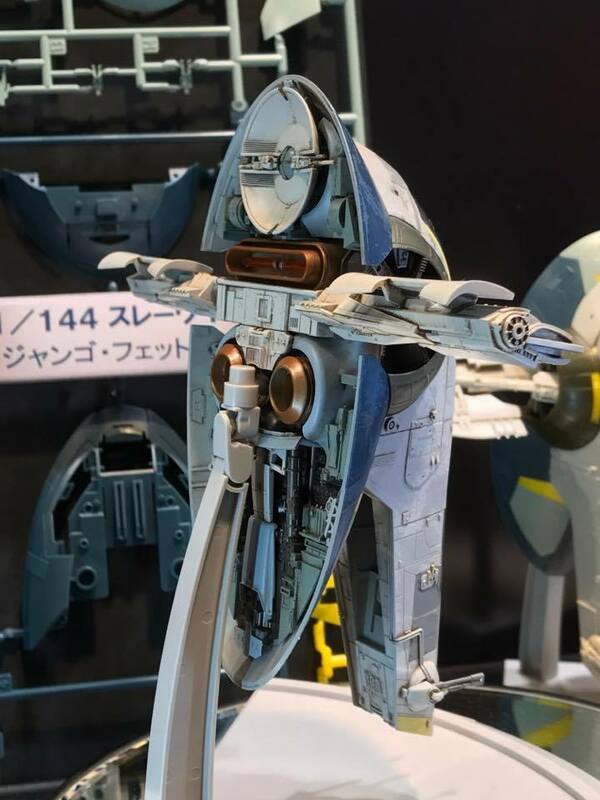 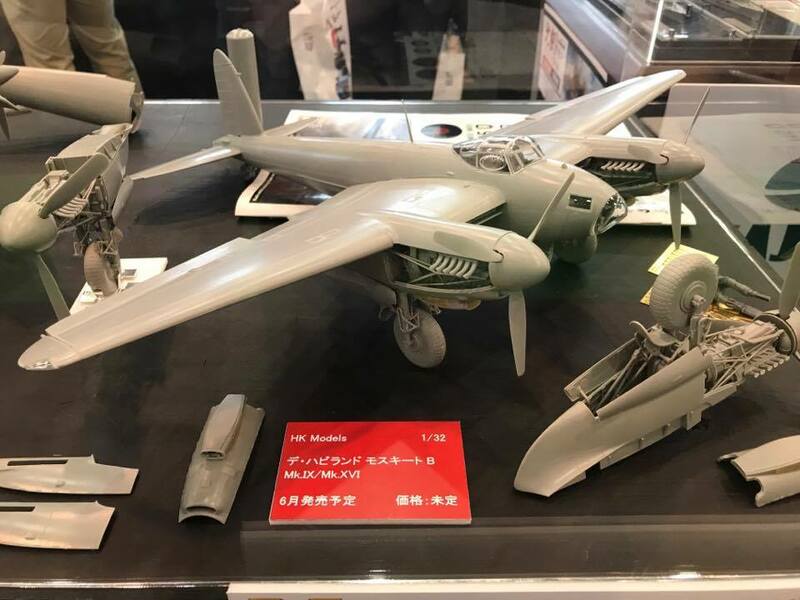 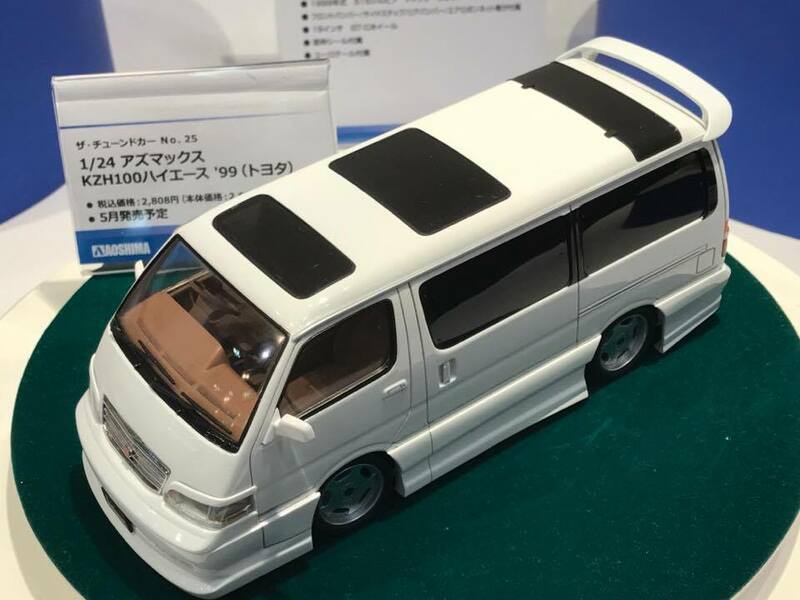 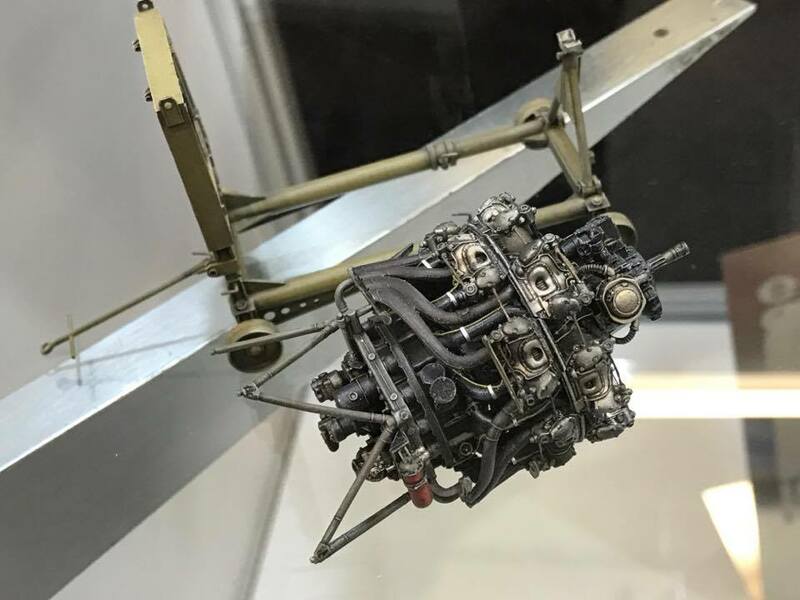 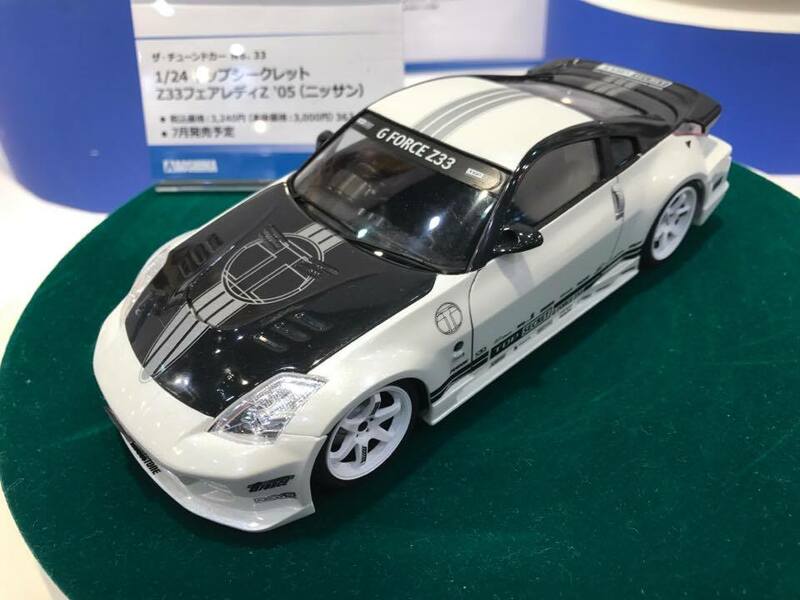 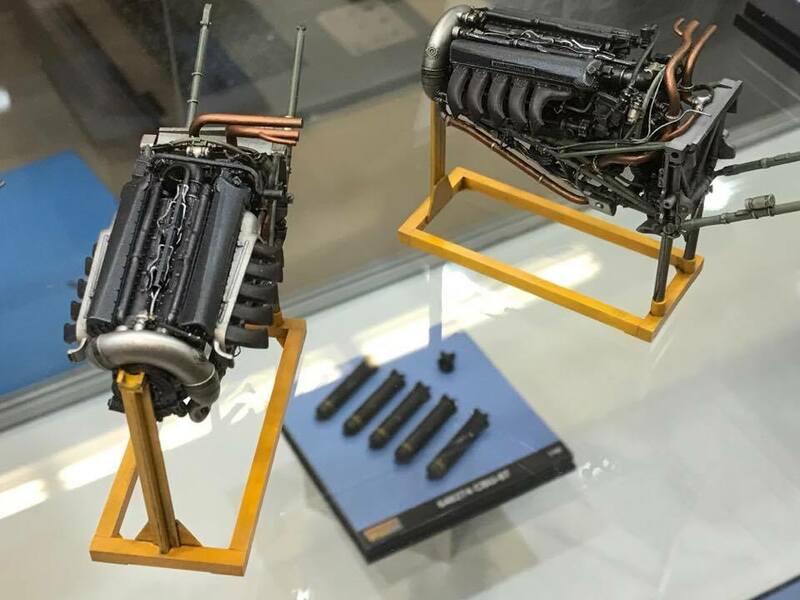 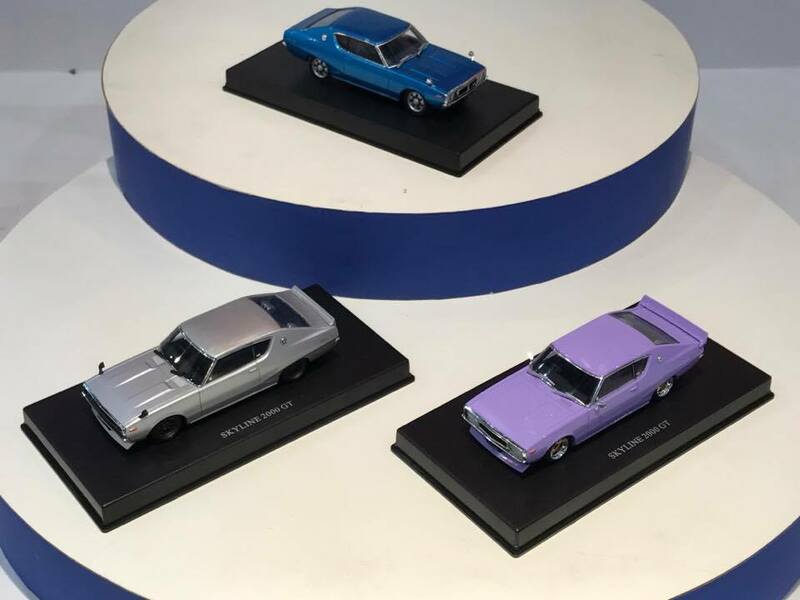 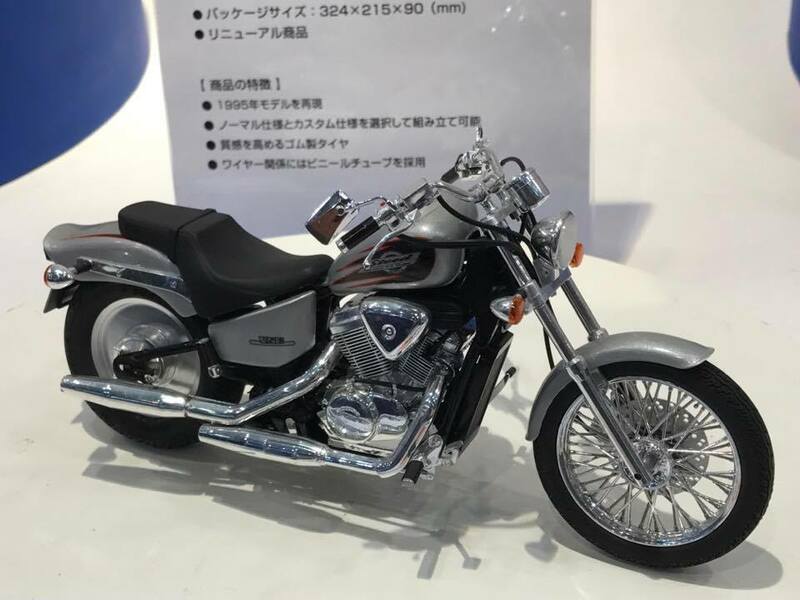 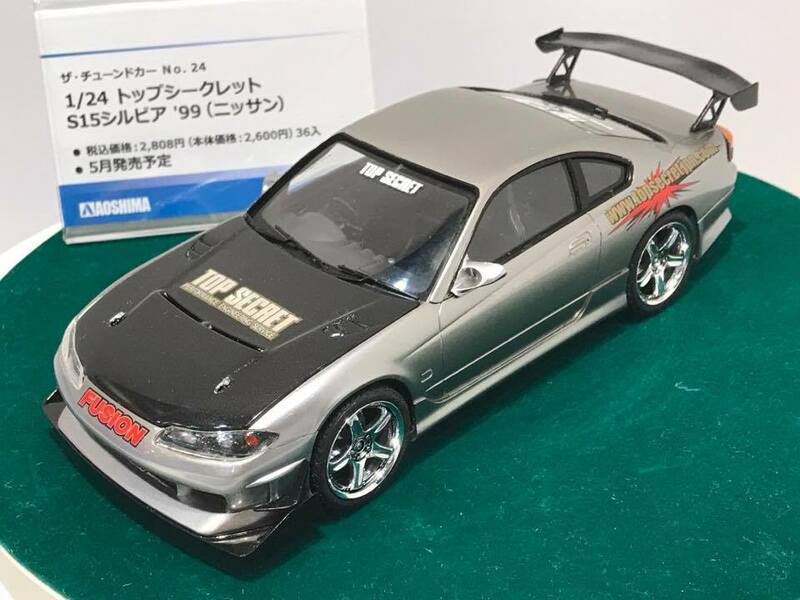 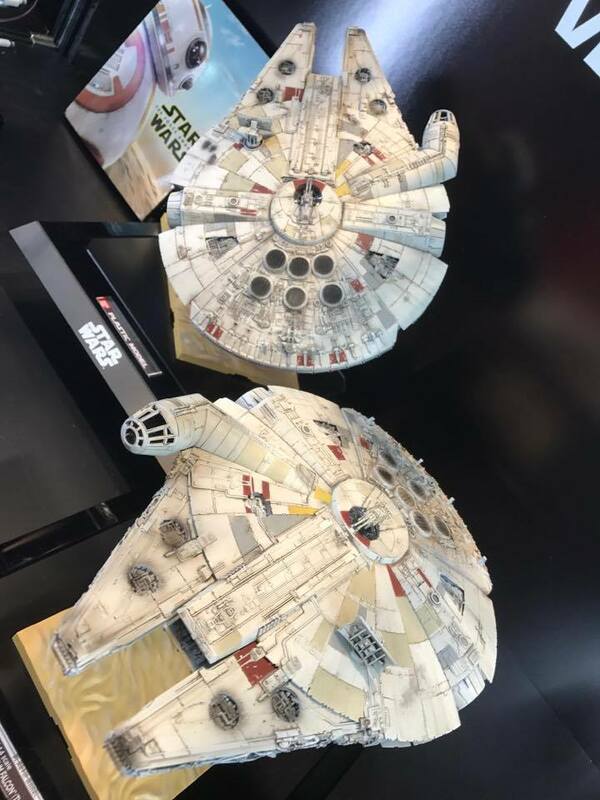 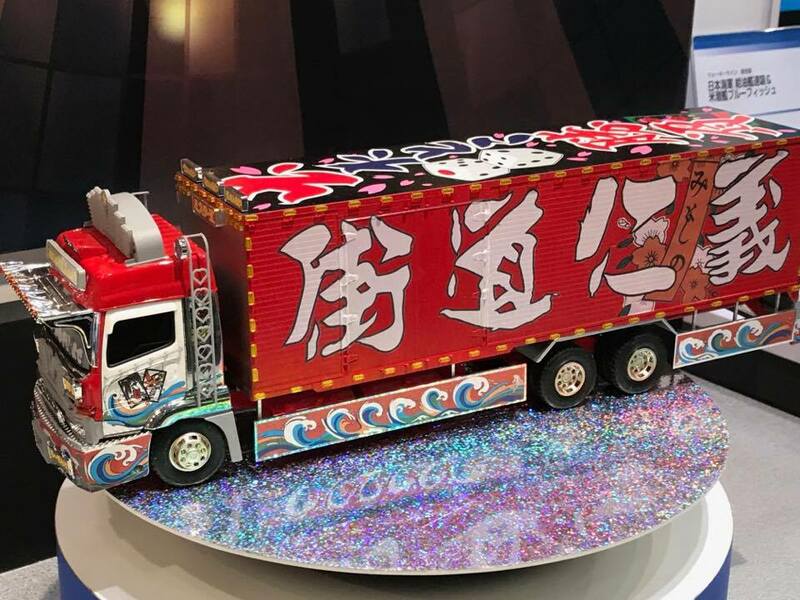 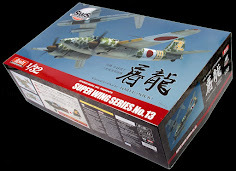 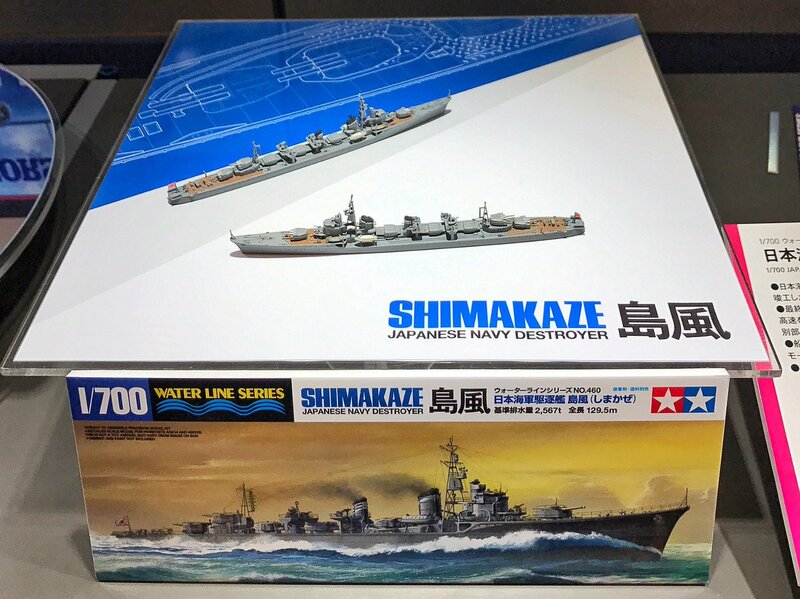 The largest plastic model fair in the country "Shizuoka Hobby Show" (sponsored by Shizuoka Model Teaching Materials Cooperative Association) began at the exhibition hall "Shin-Oku Twin Messe" in Suruga Ward, Shizuoka City on the 11th. 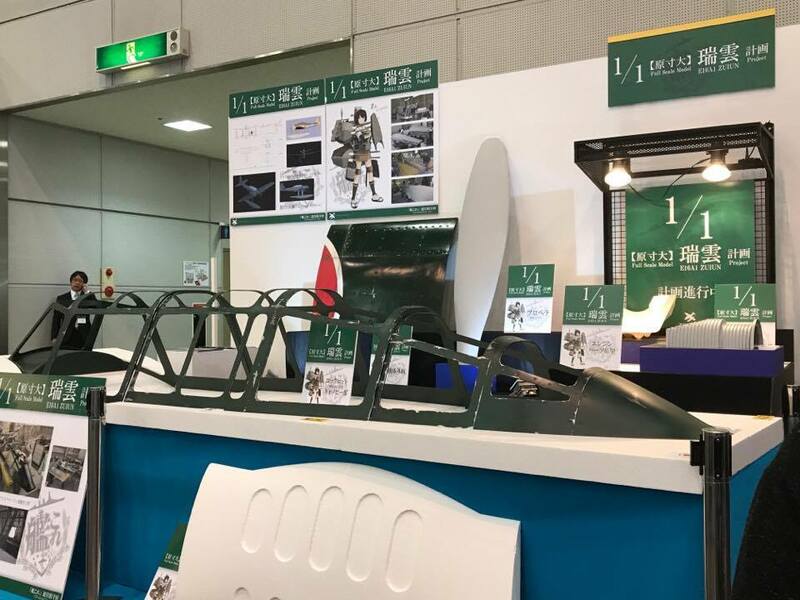 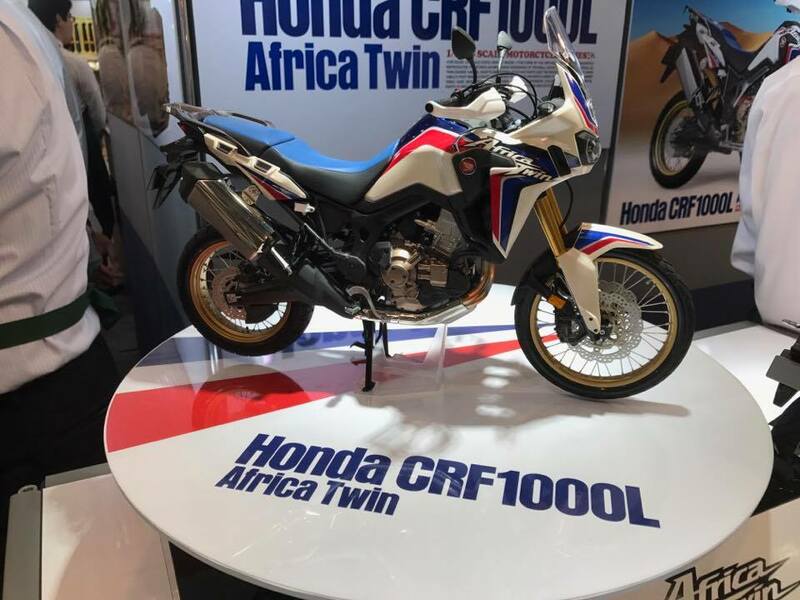 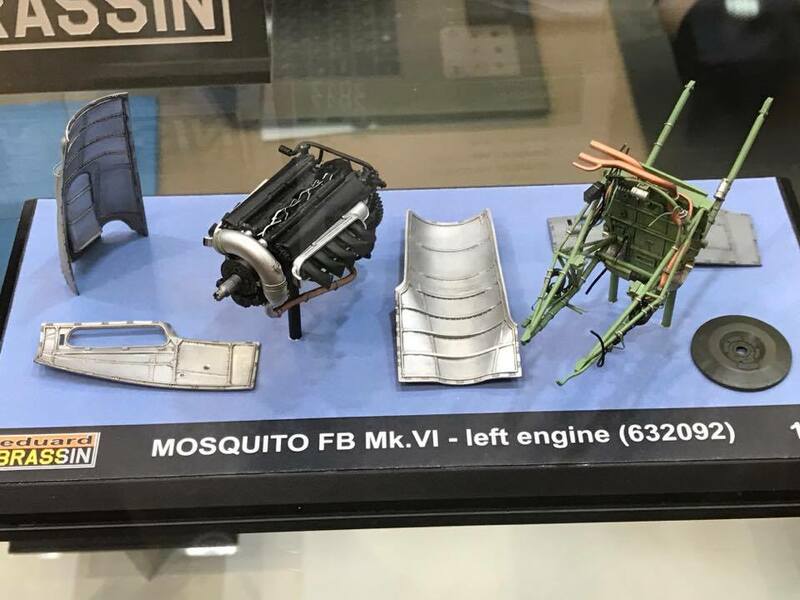 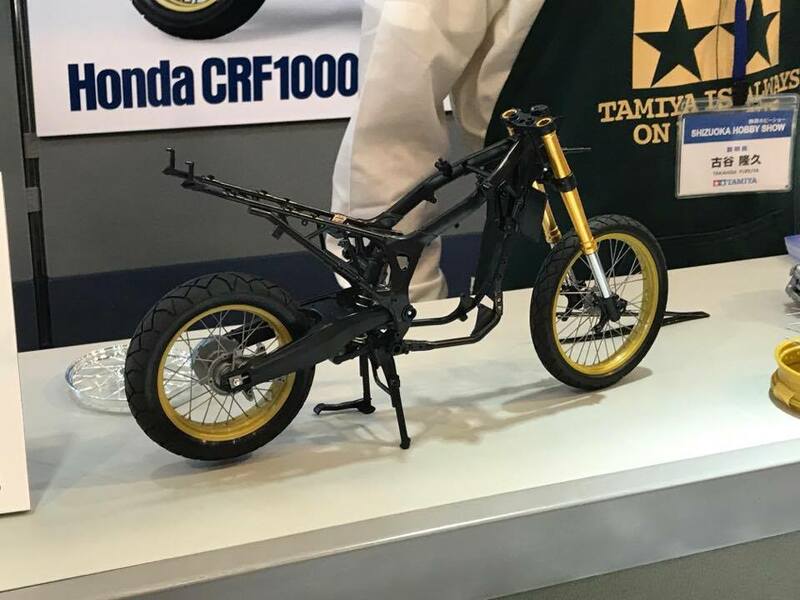 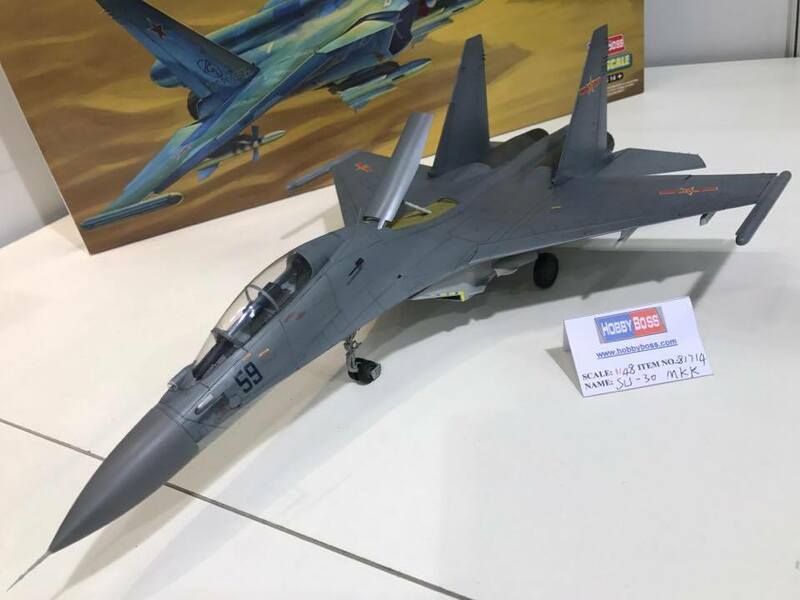 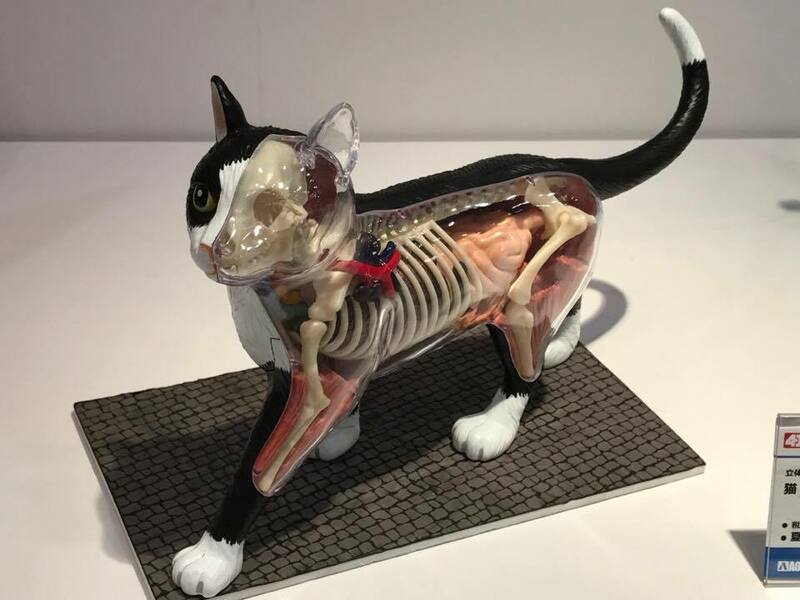 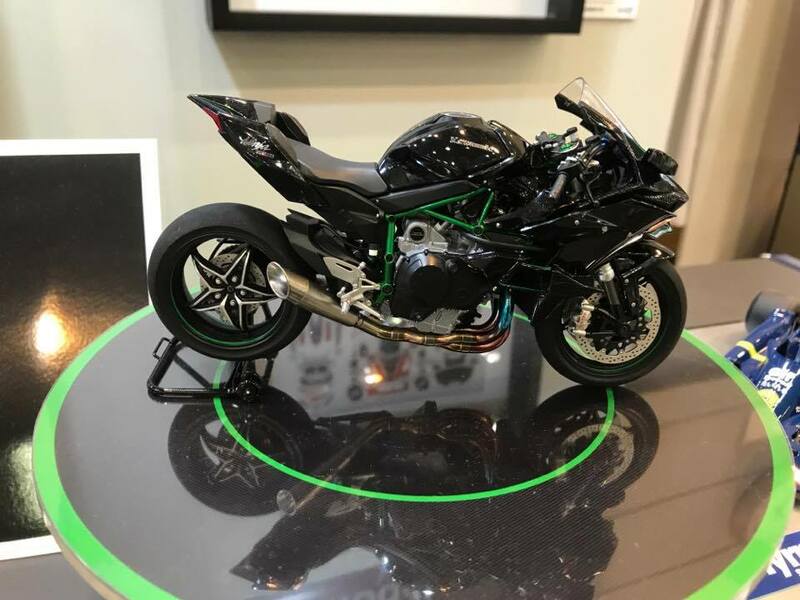 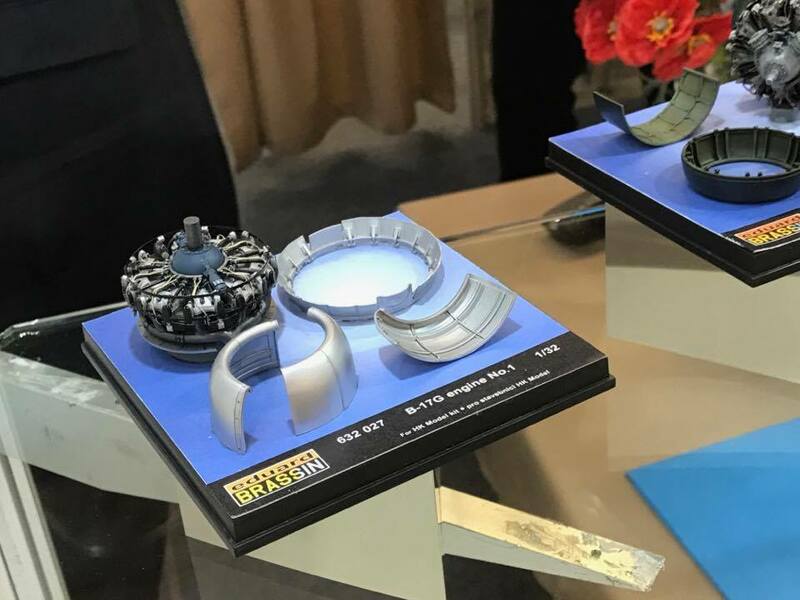 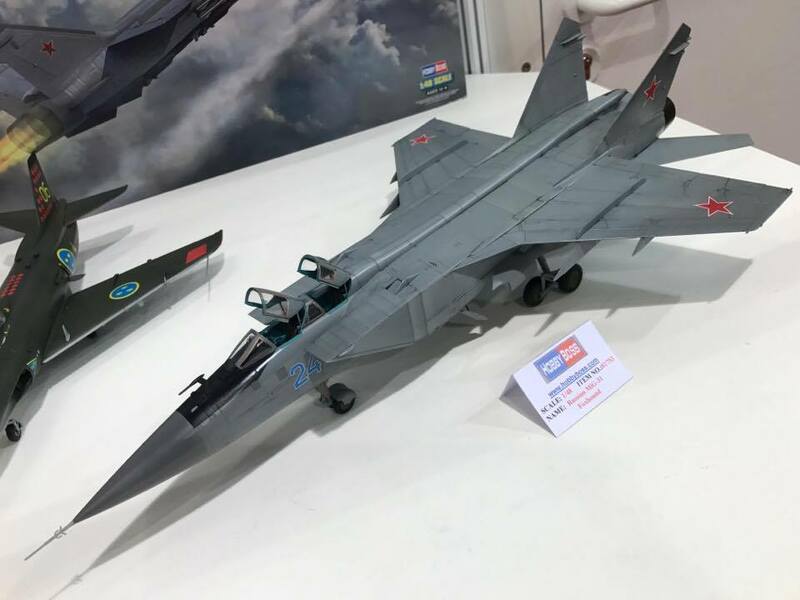 80 companies and organisations exhibited new models such as plastic models. 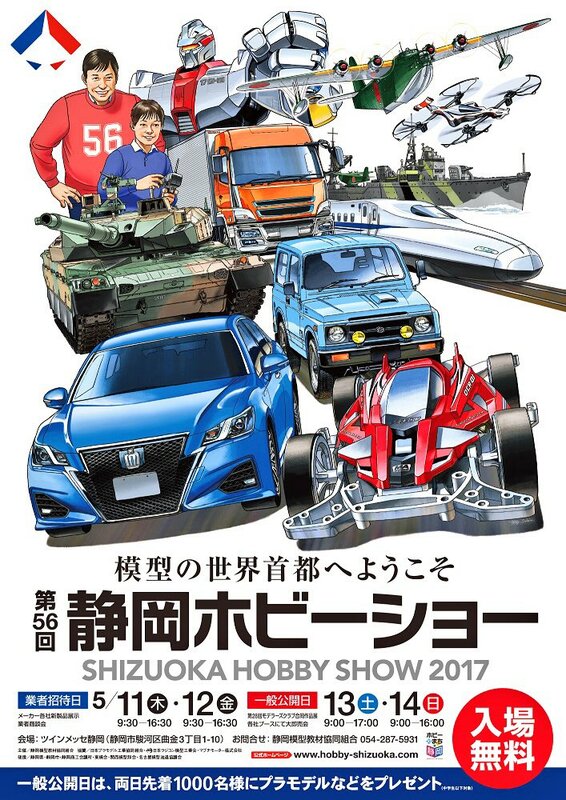 The hobby show is the 56th event of this type. 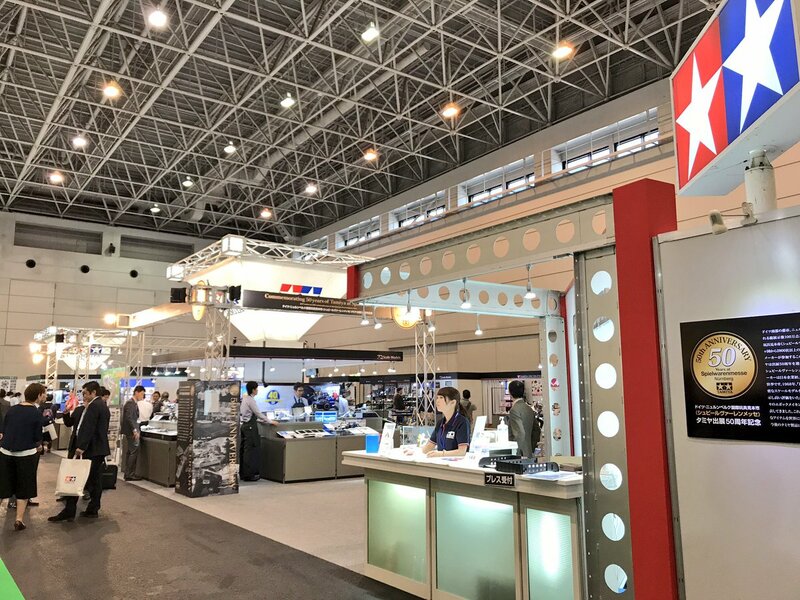 General visitors are given free of entry, and as a trade fair, more than 70,000 people visited the exhibition leading event. 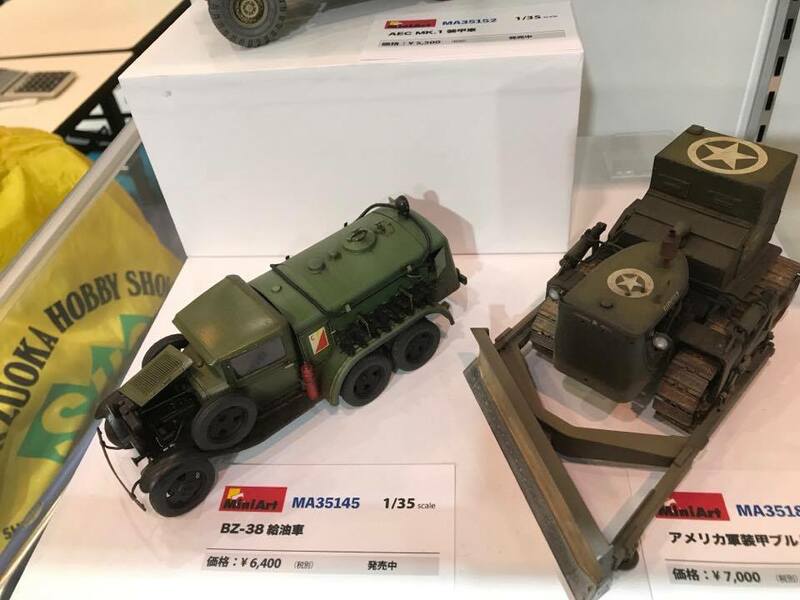 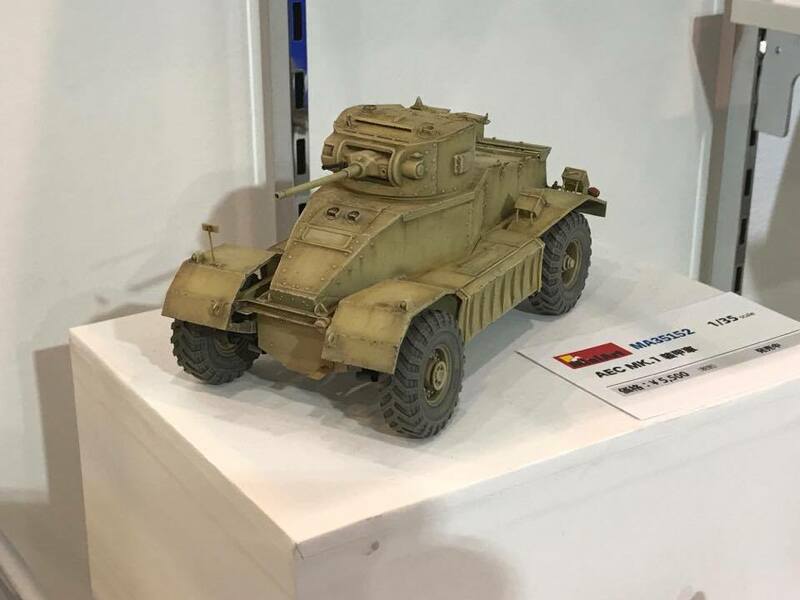 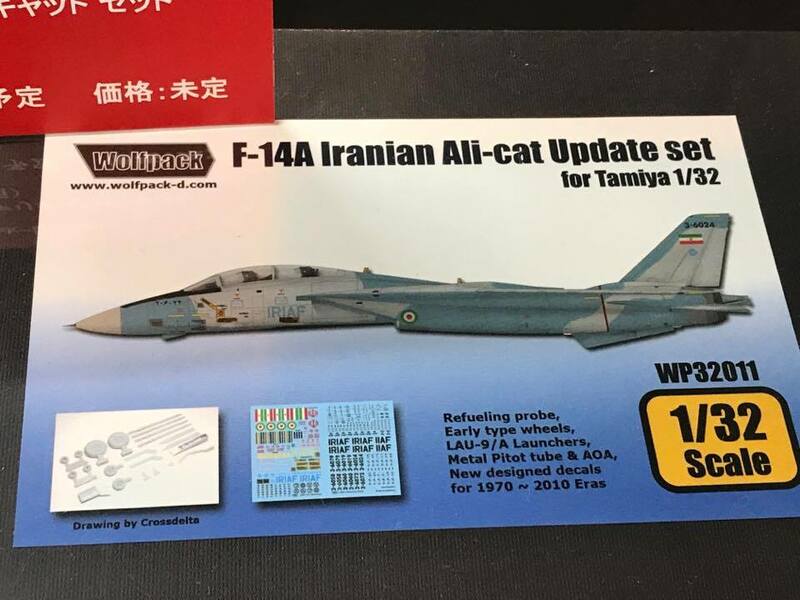 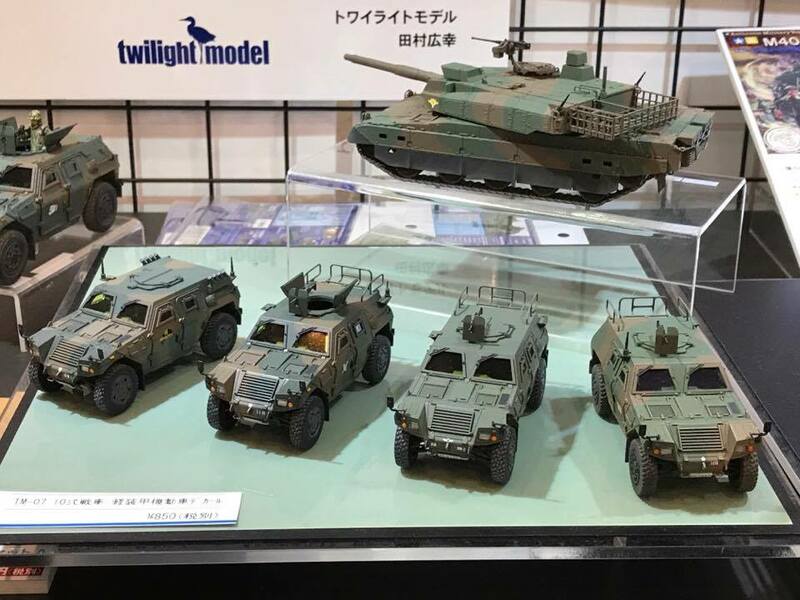 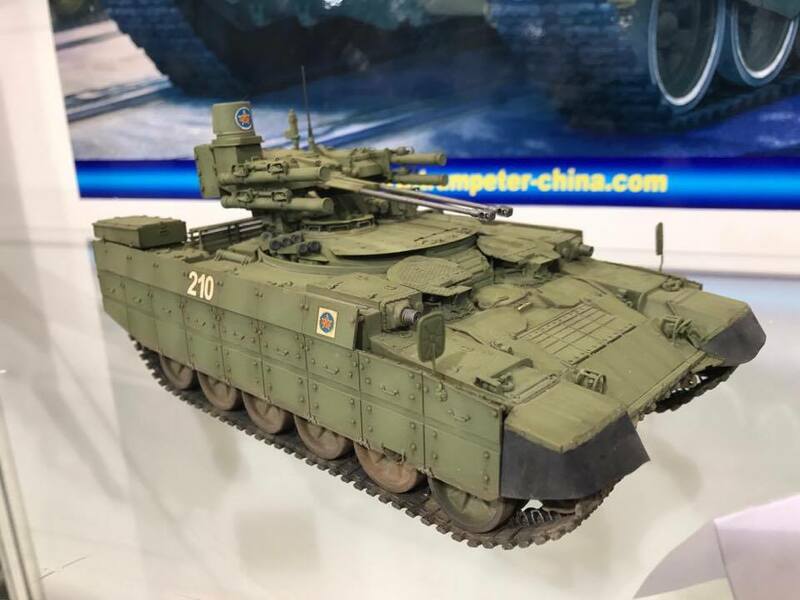 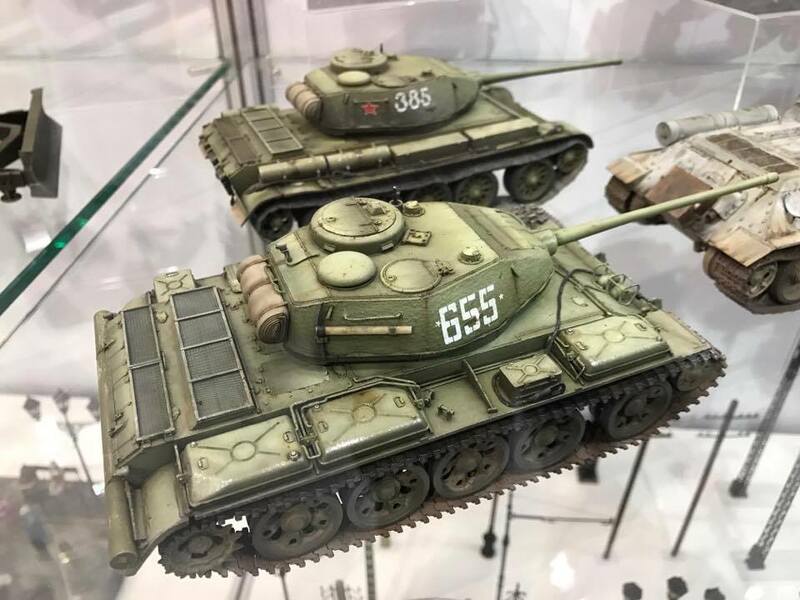 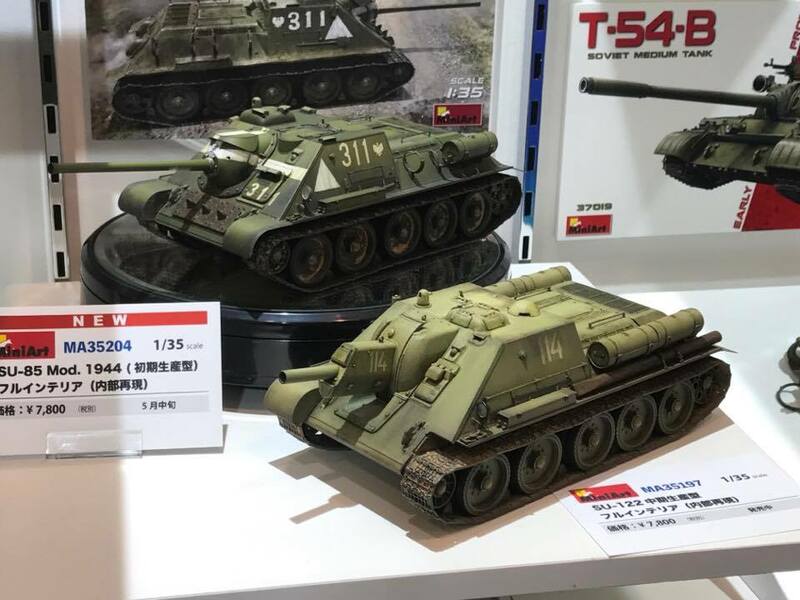 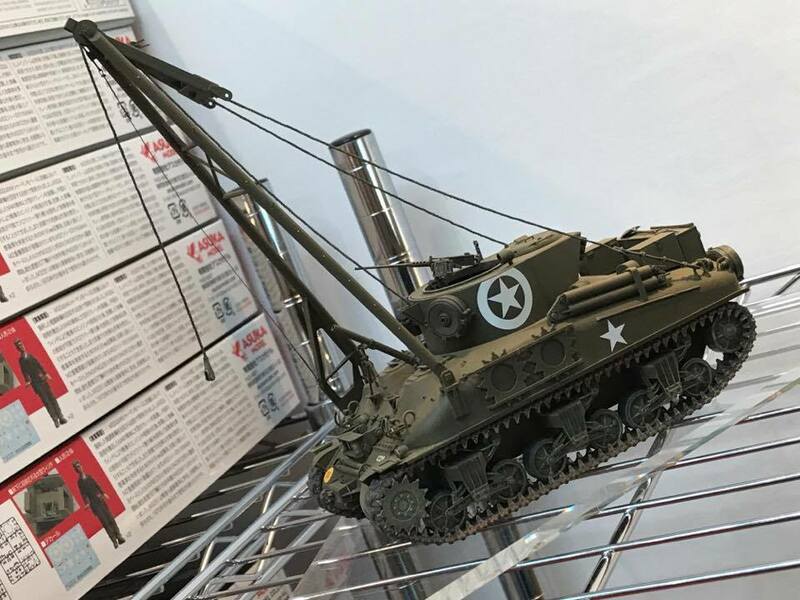 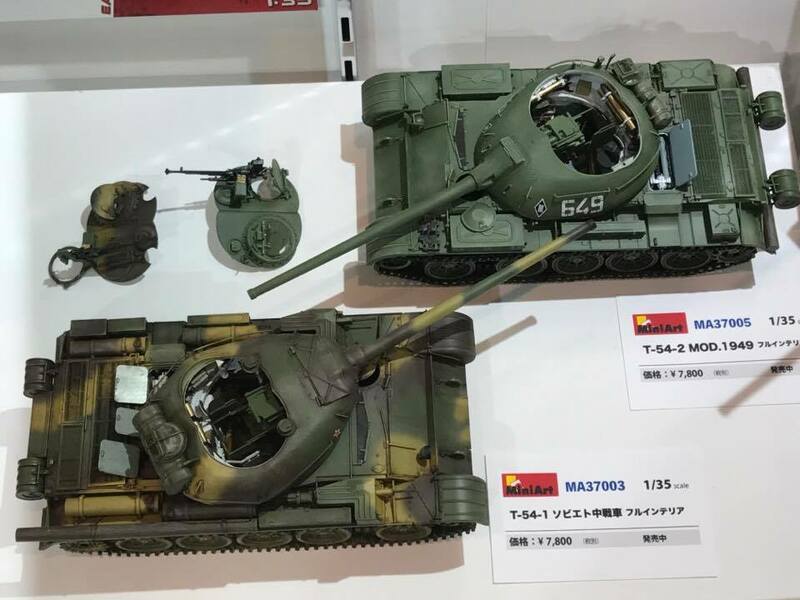 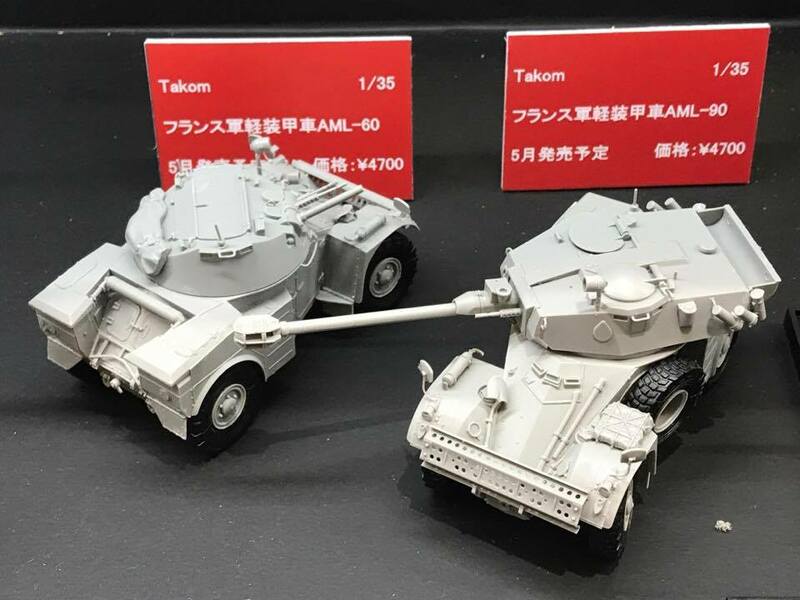 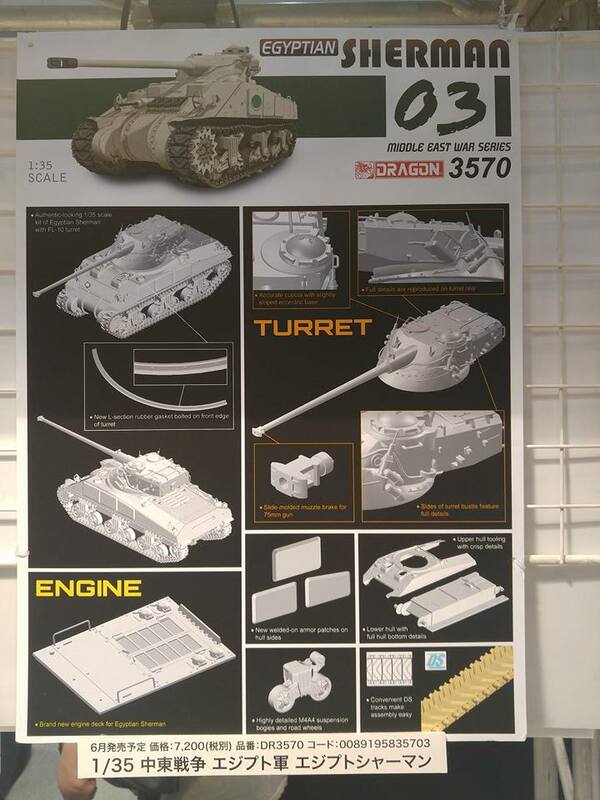 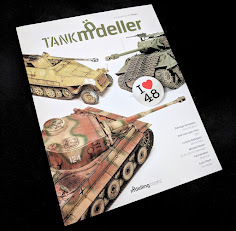 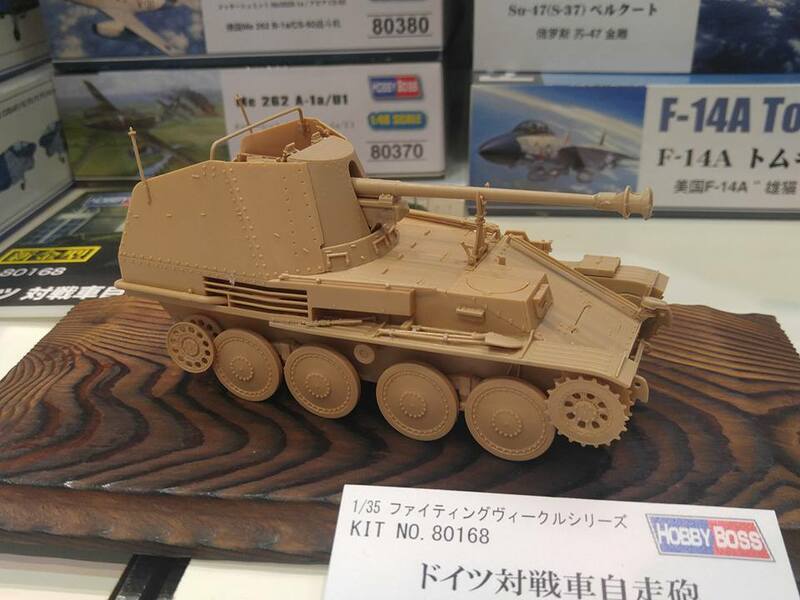 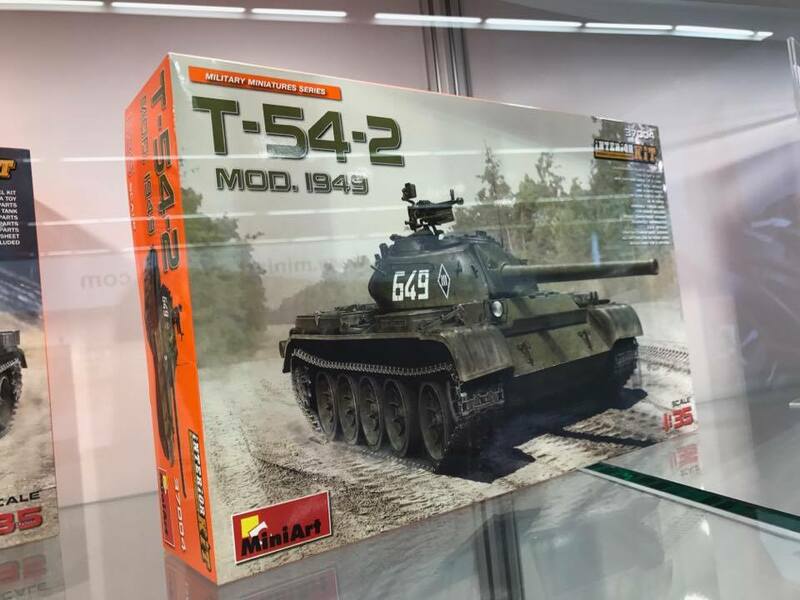 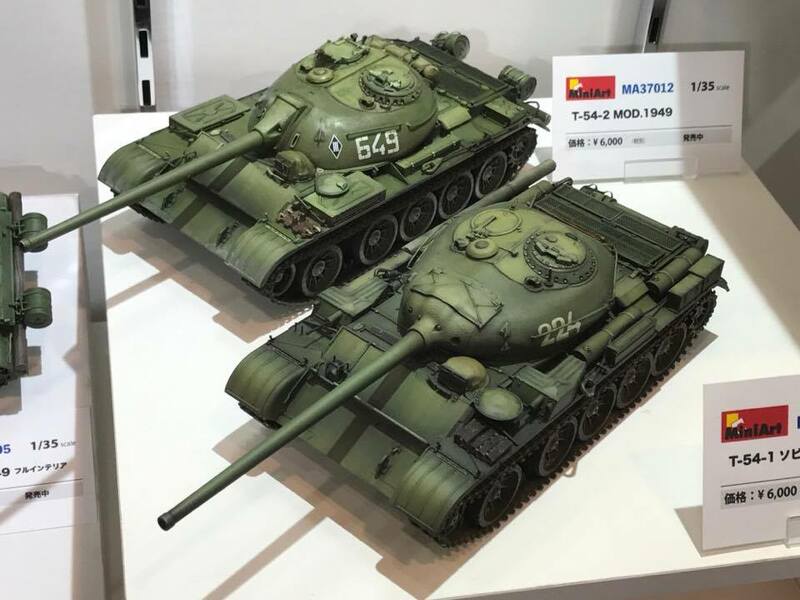 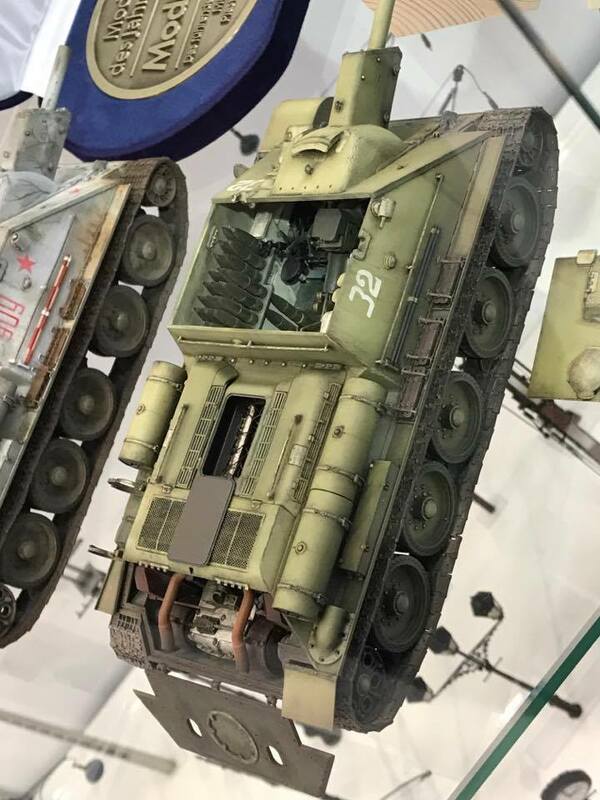 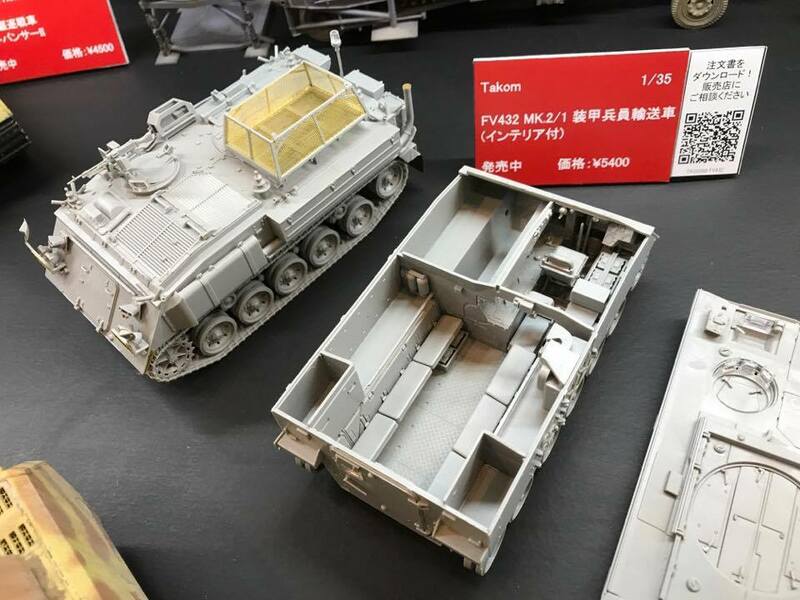 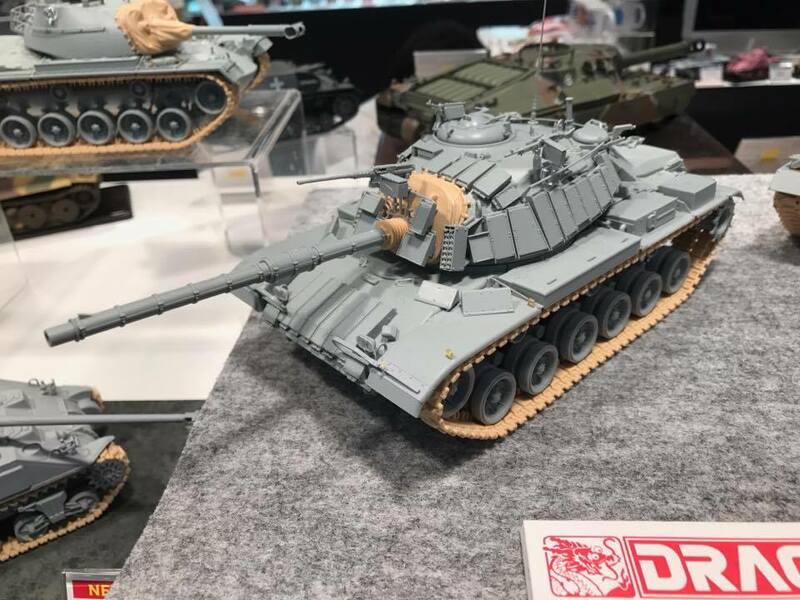 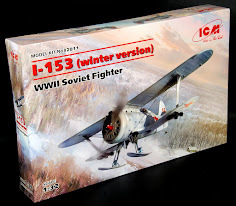 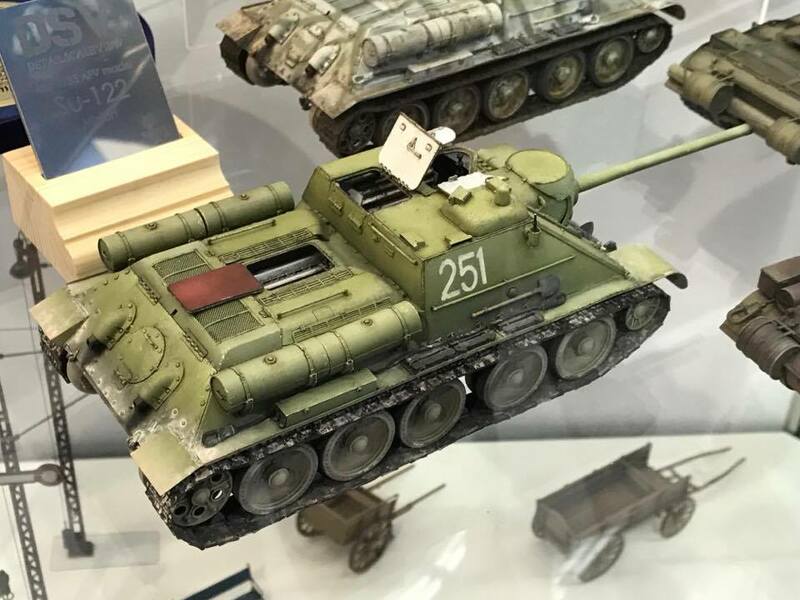 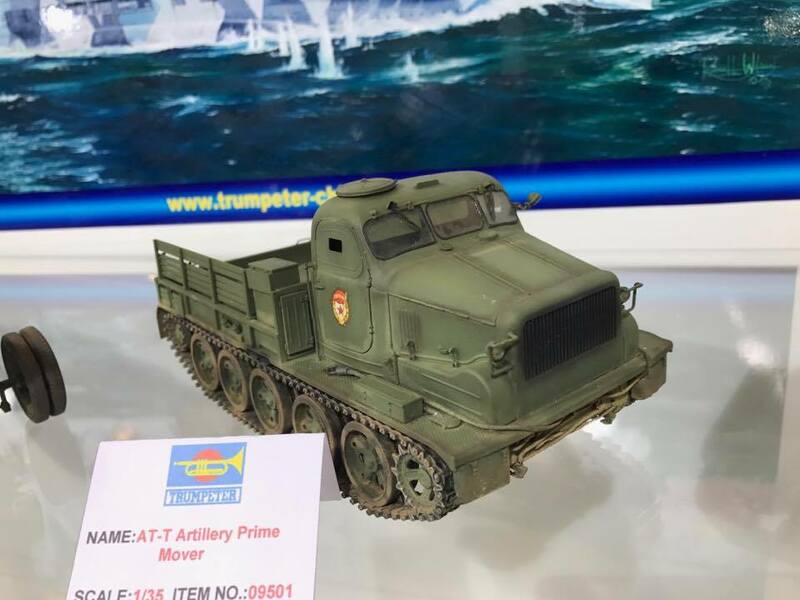 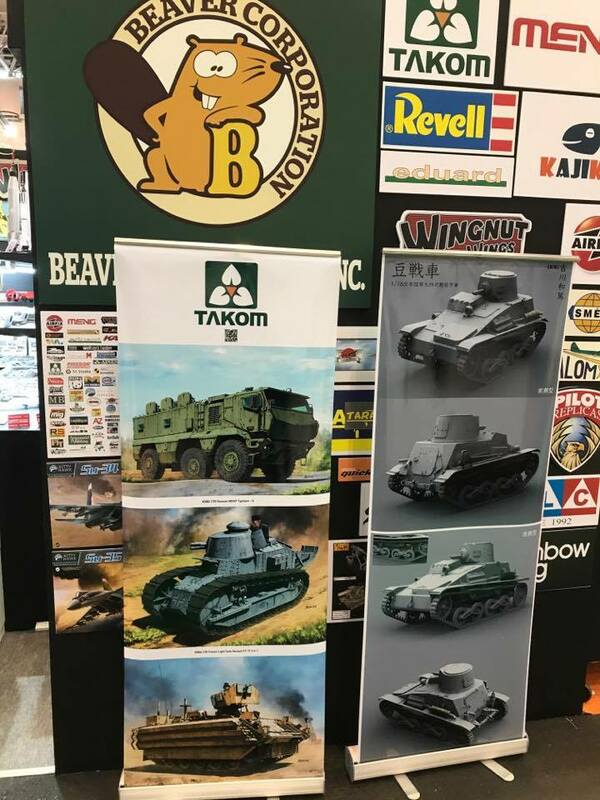 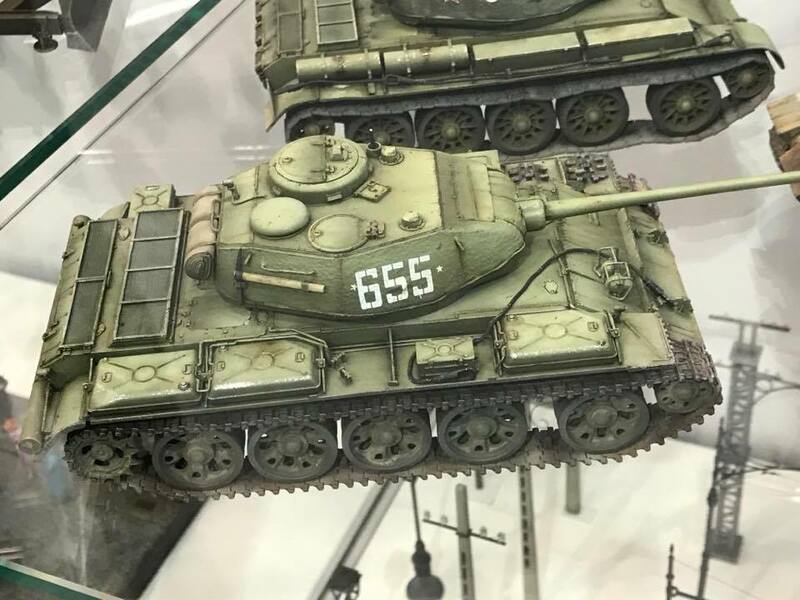 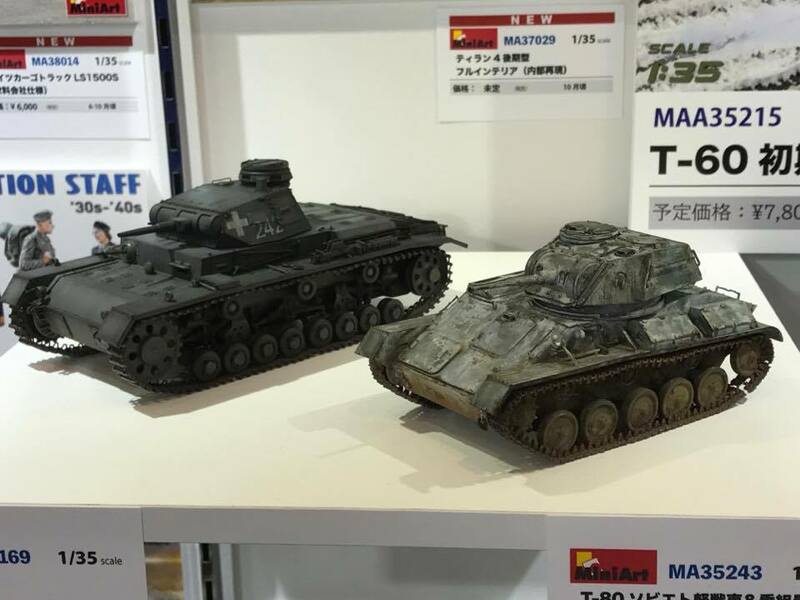 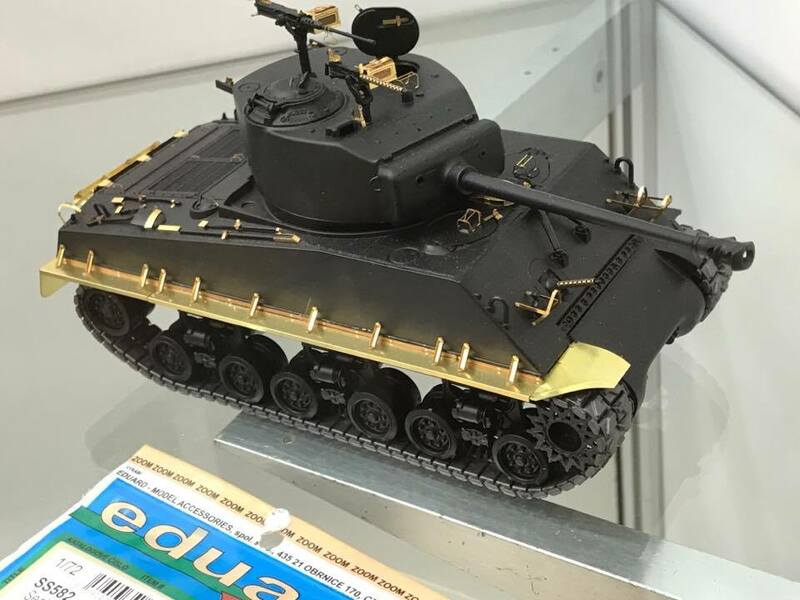 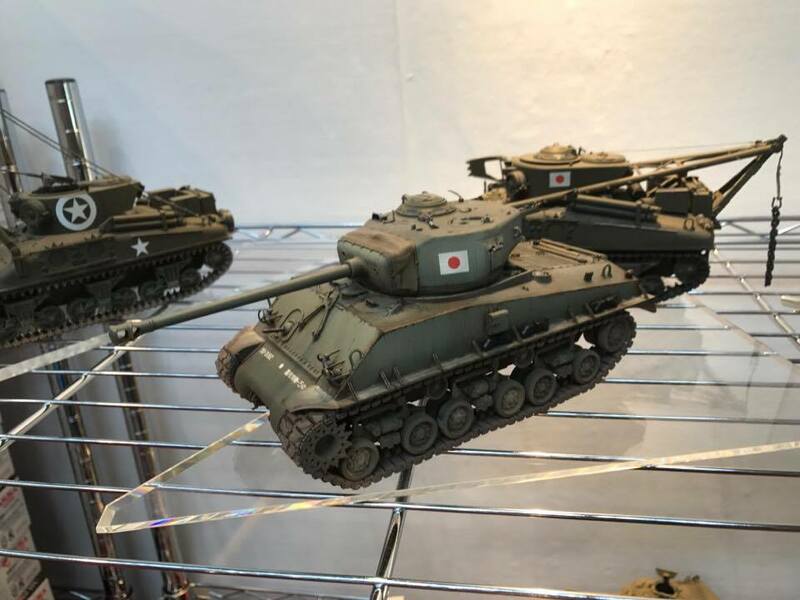 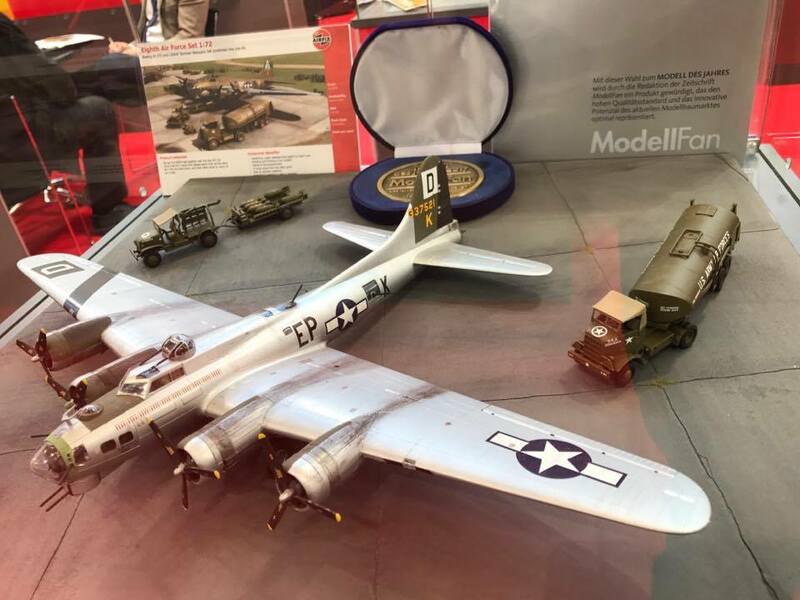 Takom's new M-47 series was a feature on the Beaver Hobby Stall, and these were the focus of many modellers as many countries have operated a Patton of one marque or another. 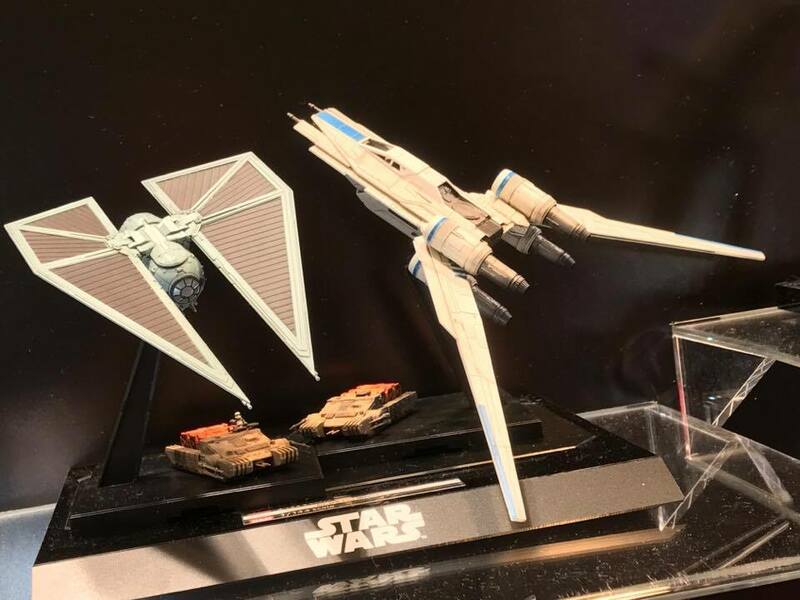 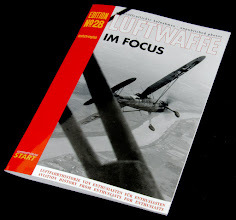 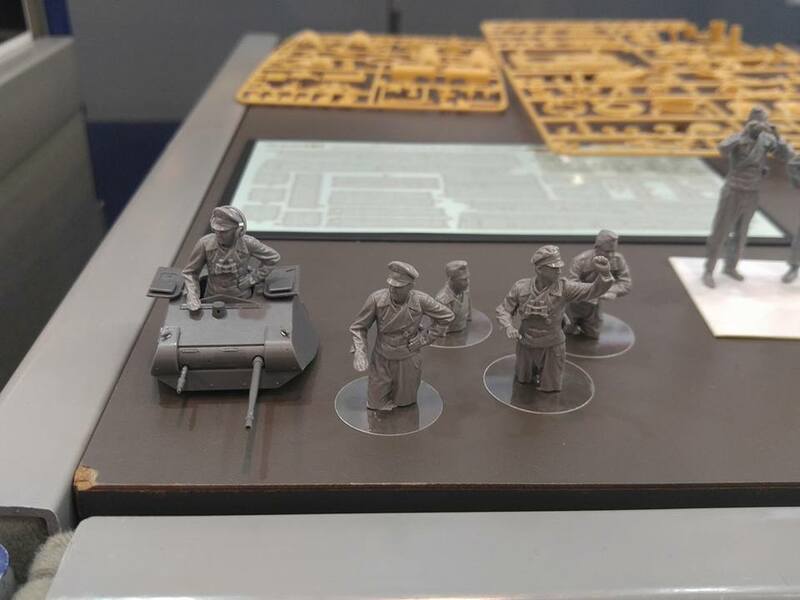 Another focus were the other new releases including some revelations - see anything of interest here folks? 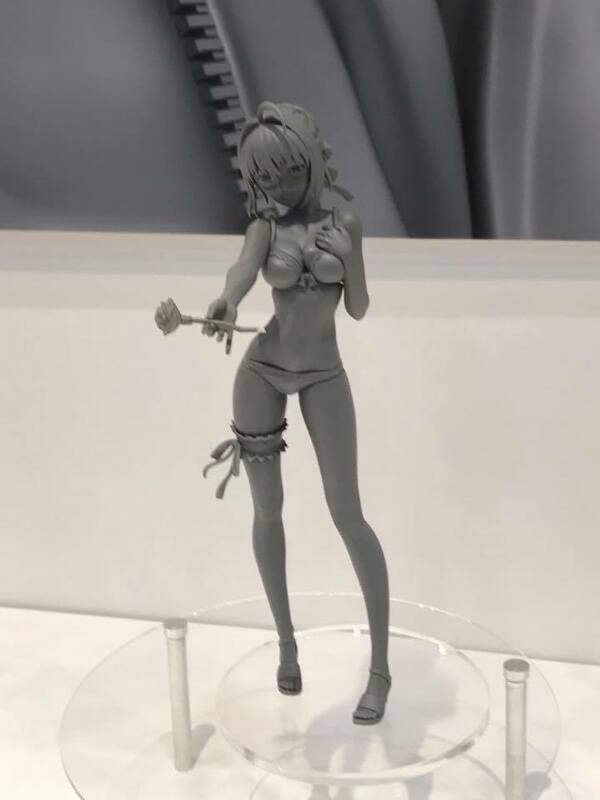 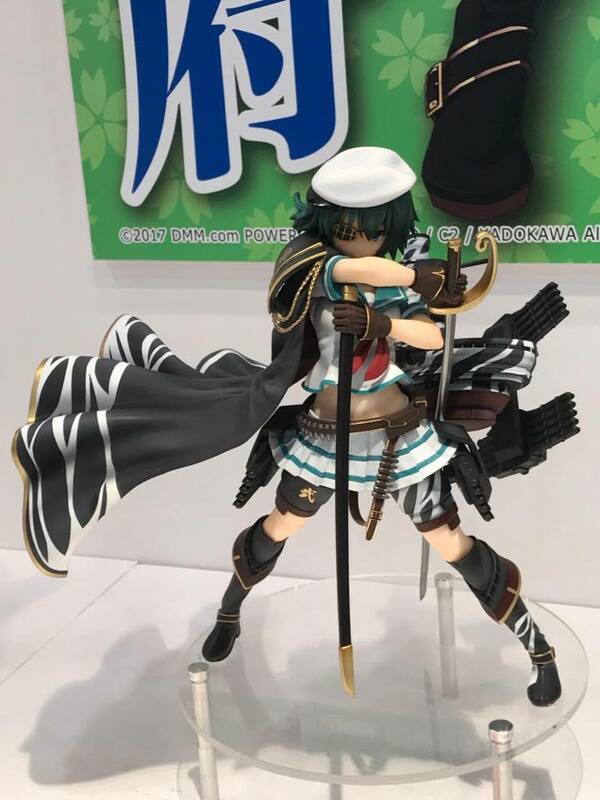 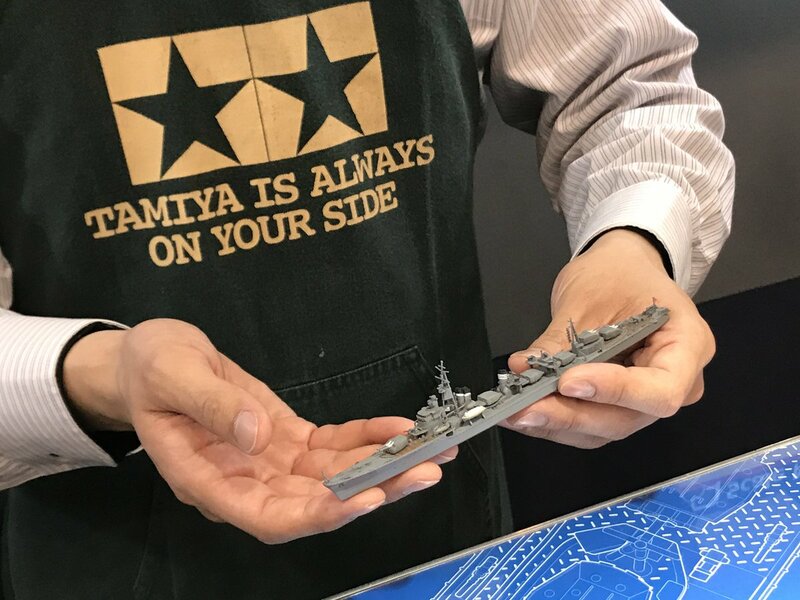 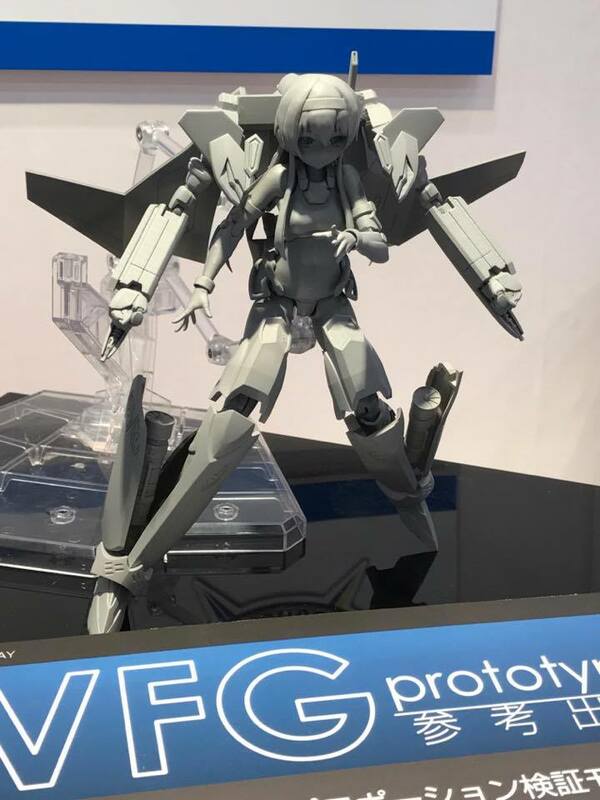 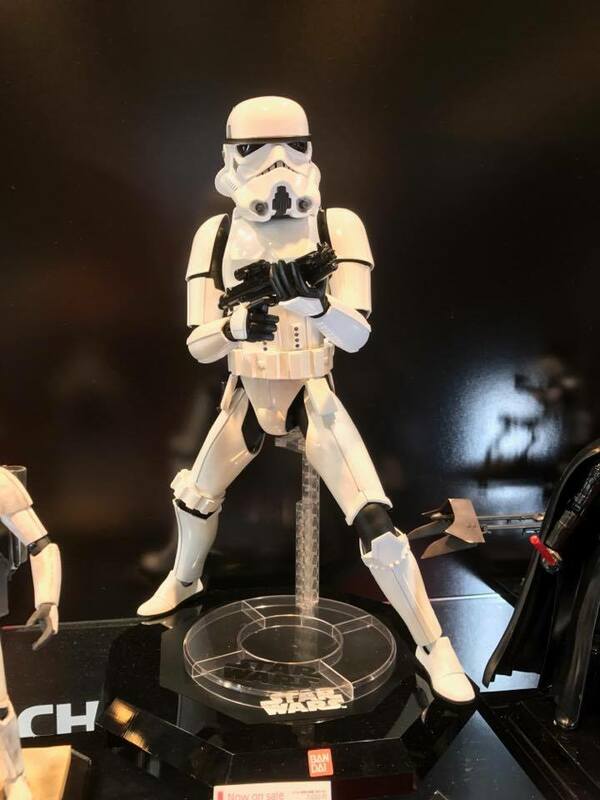 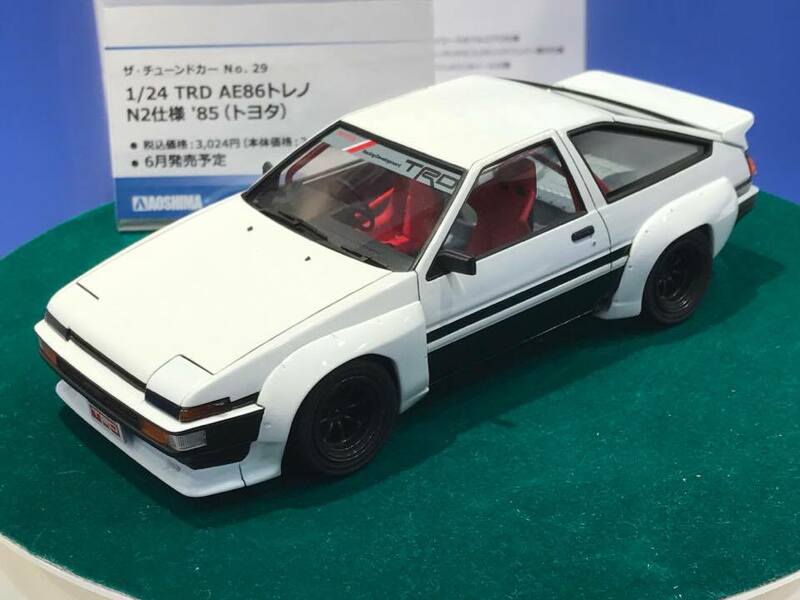 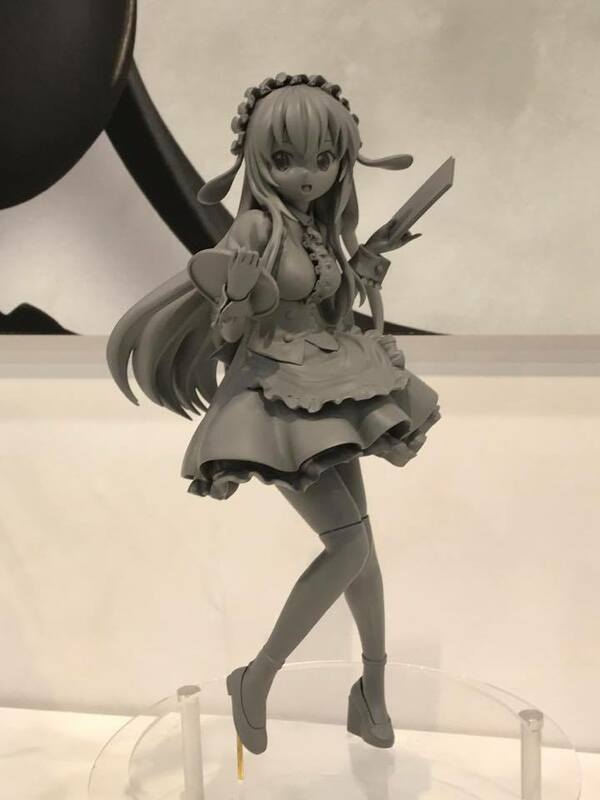 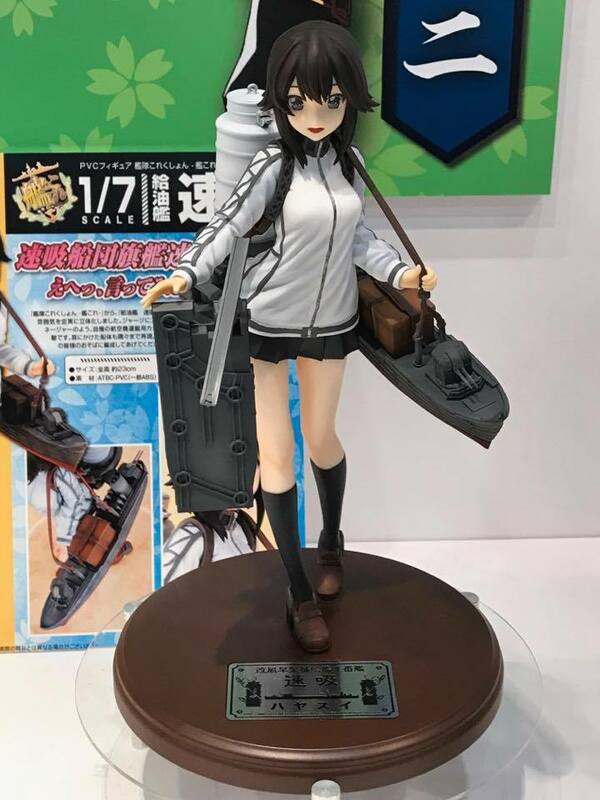 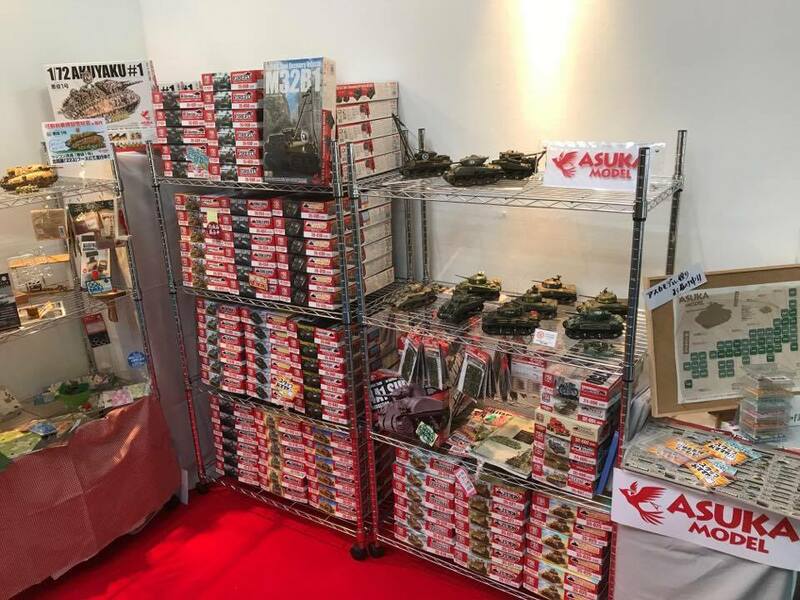 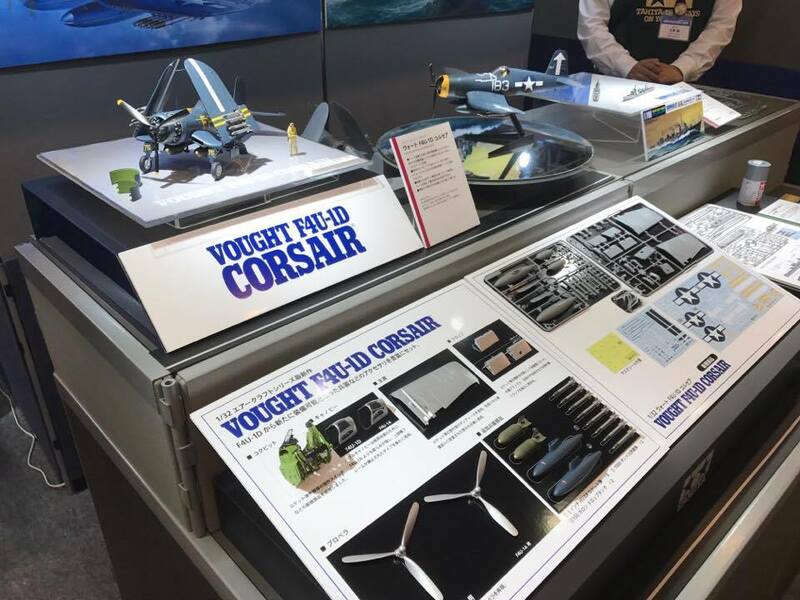 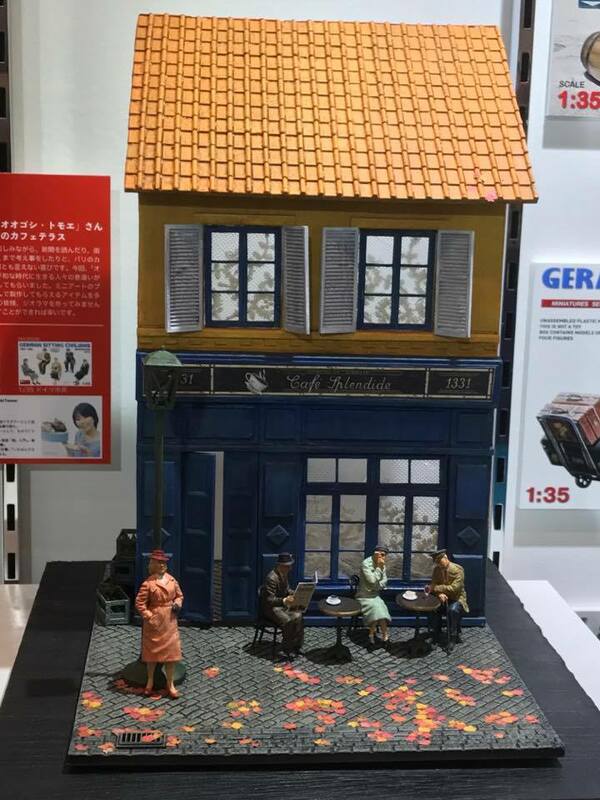 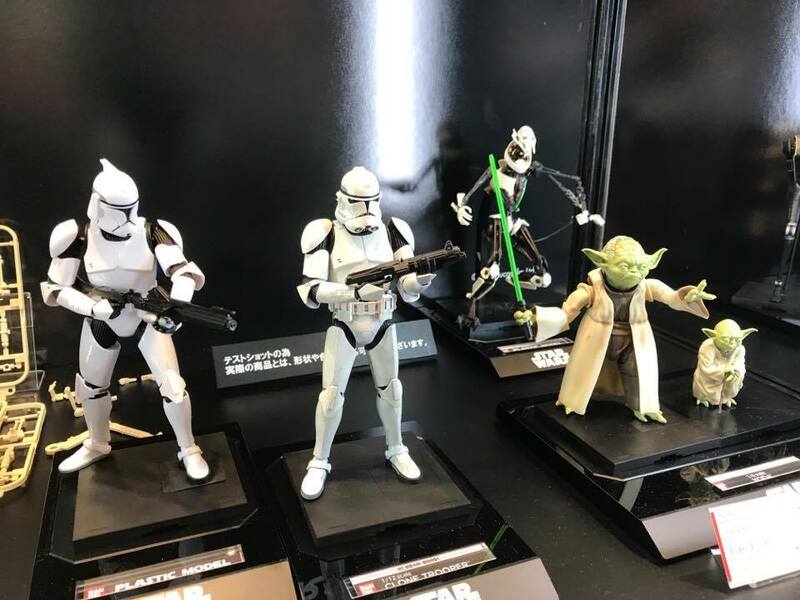 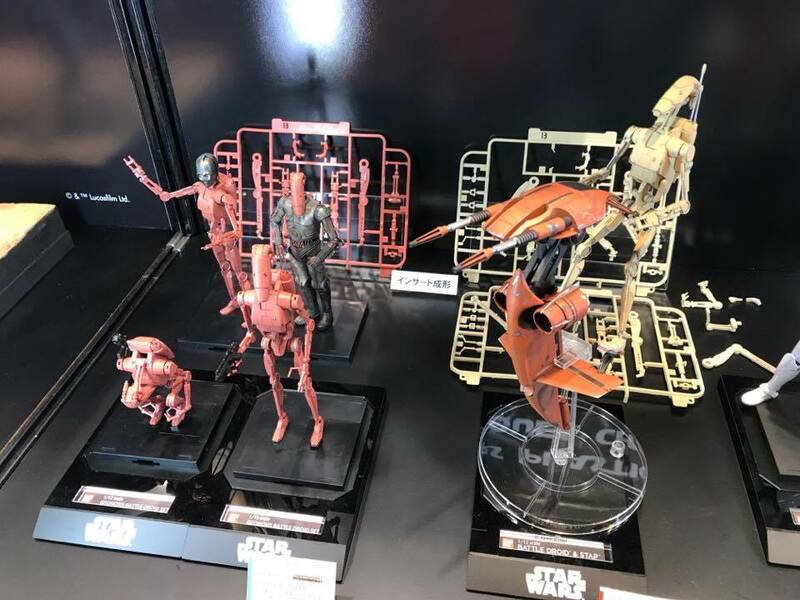 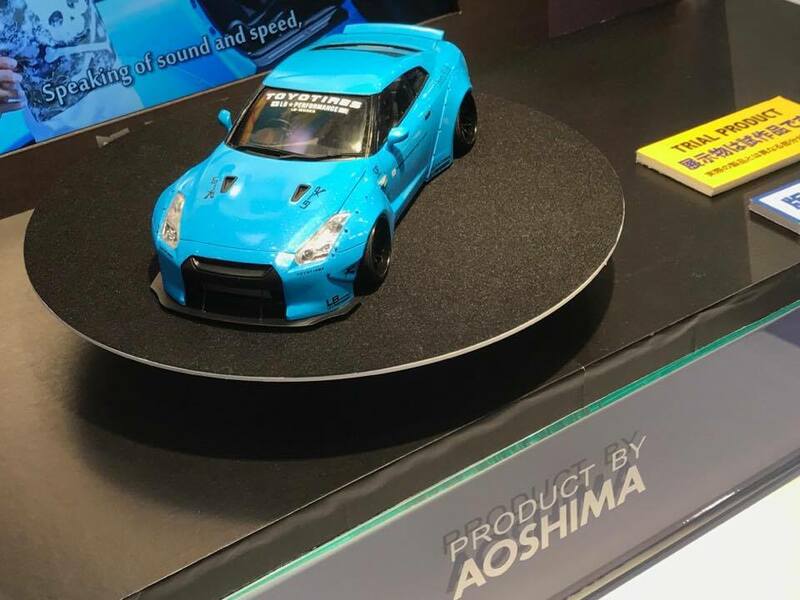 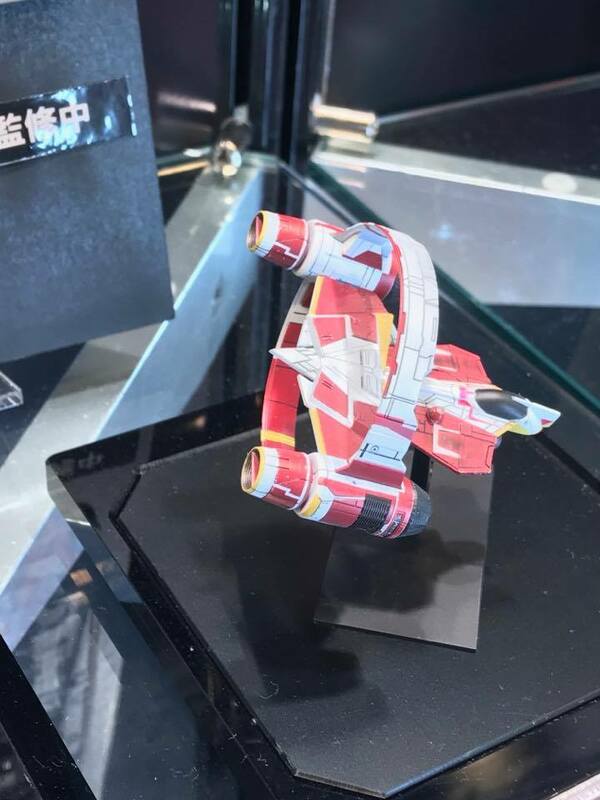 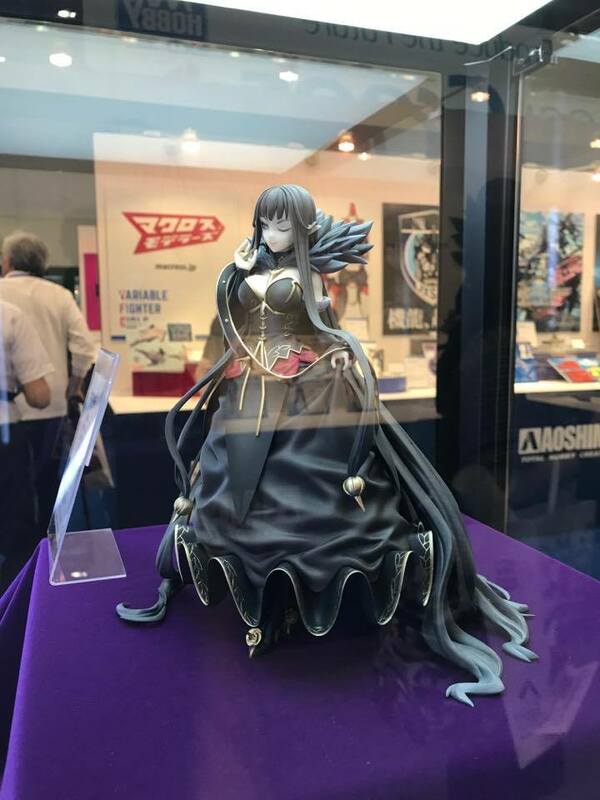 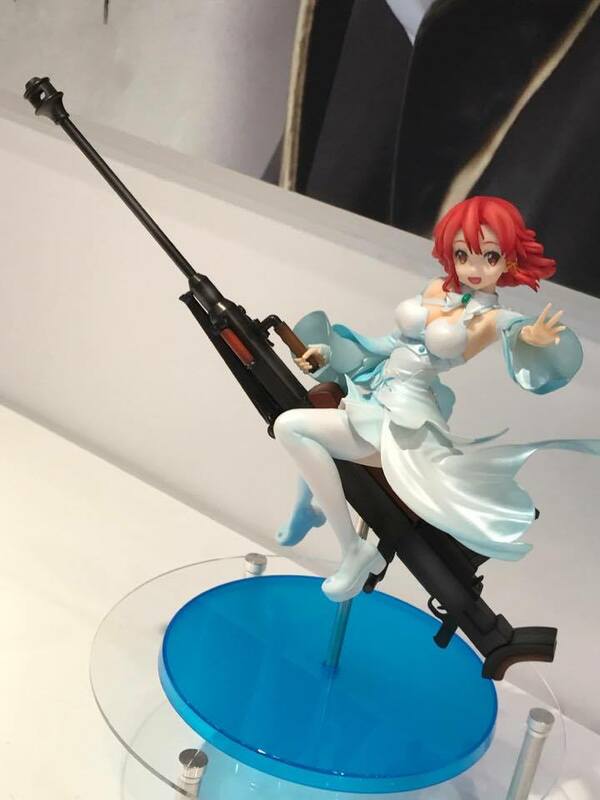 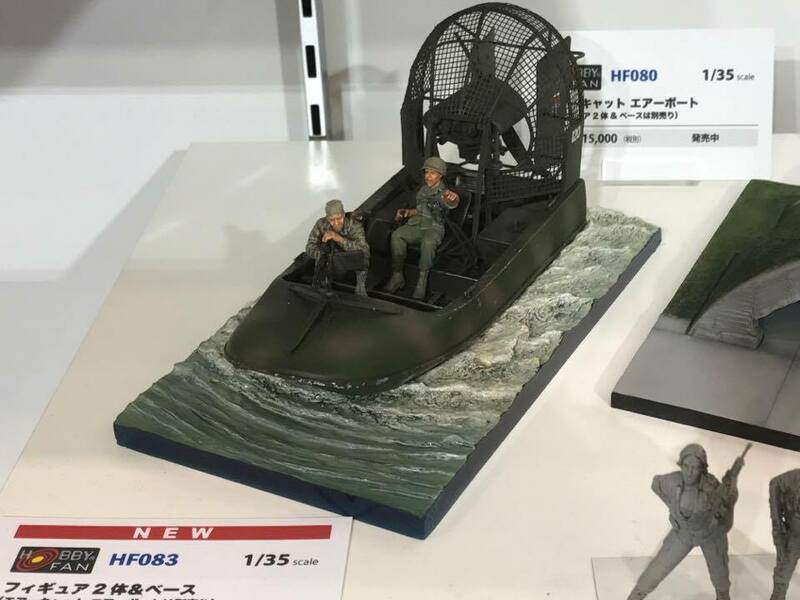 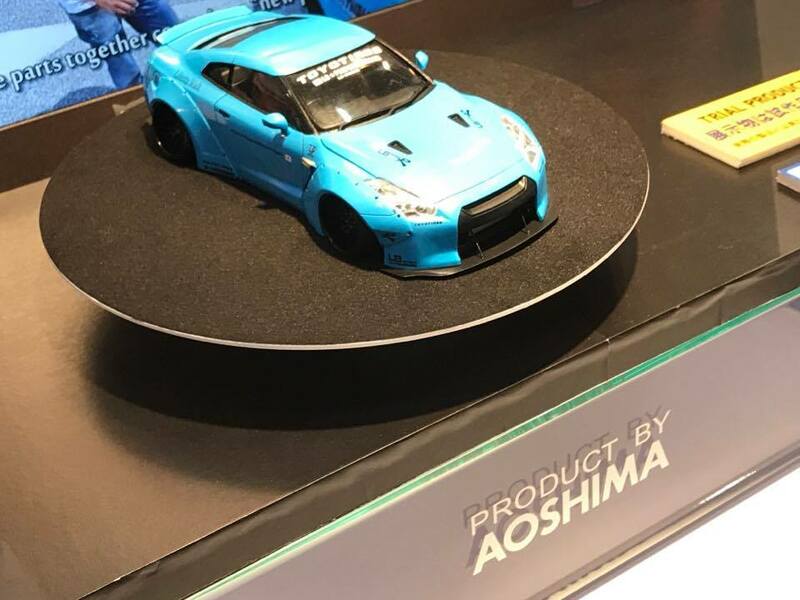 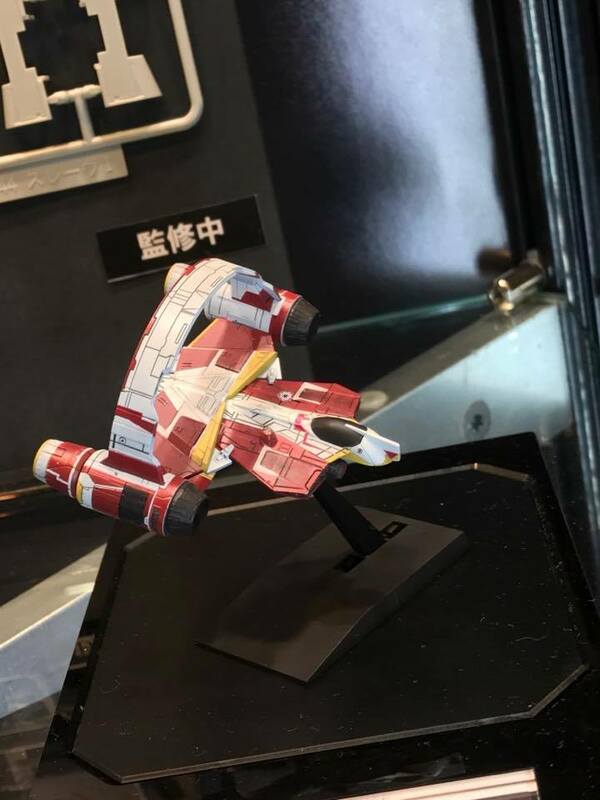 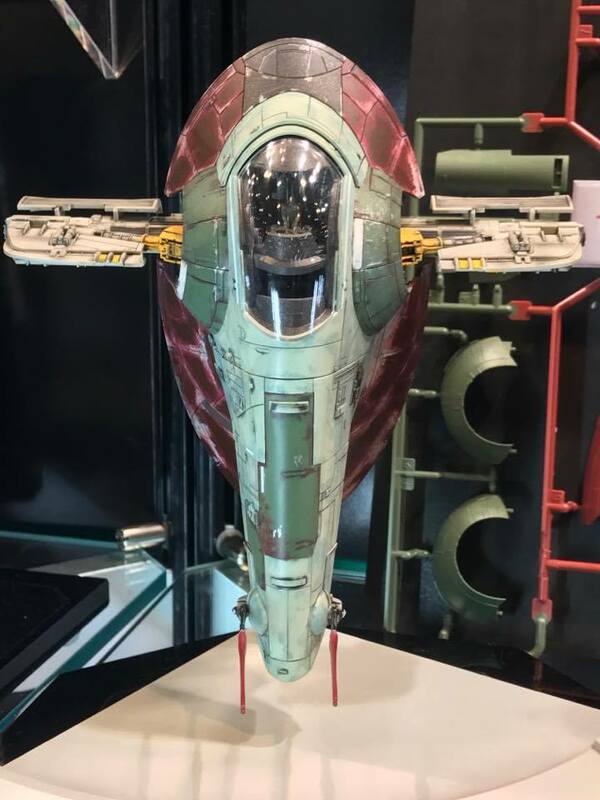 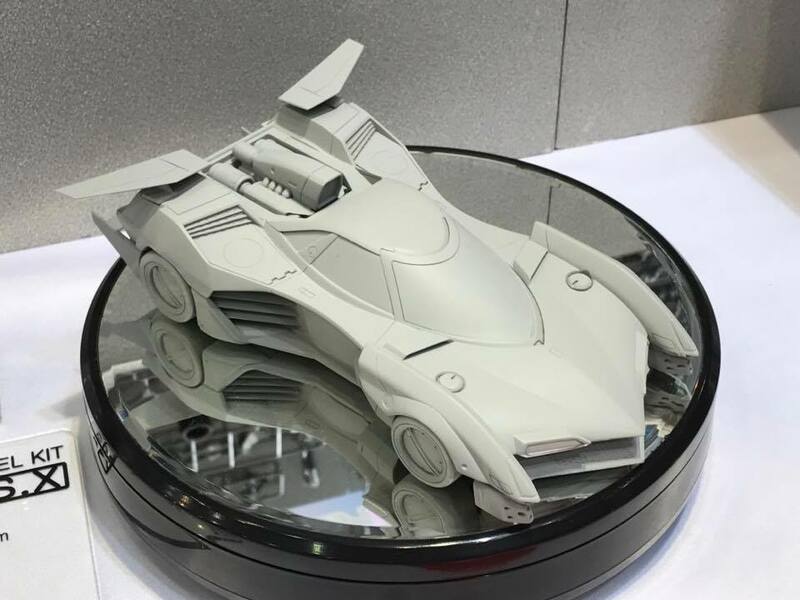 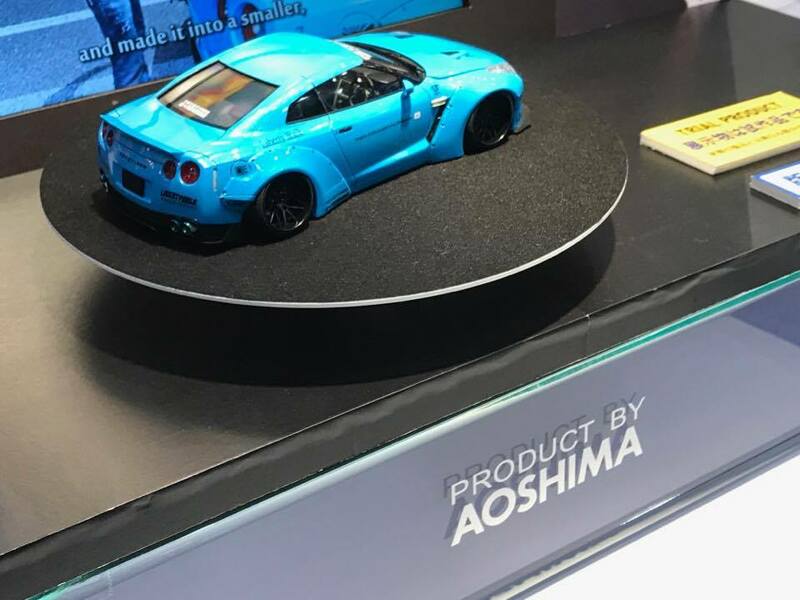 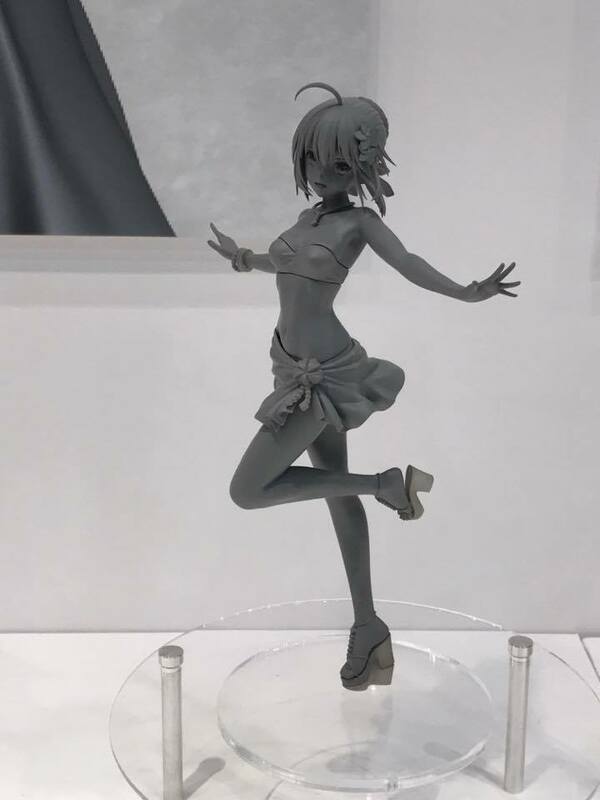 Hobbyboss in doyusha booth. 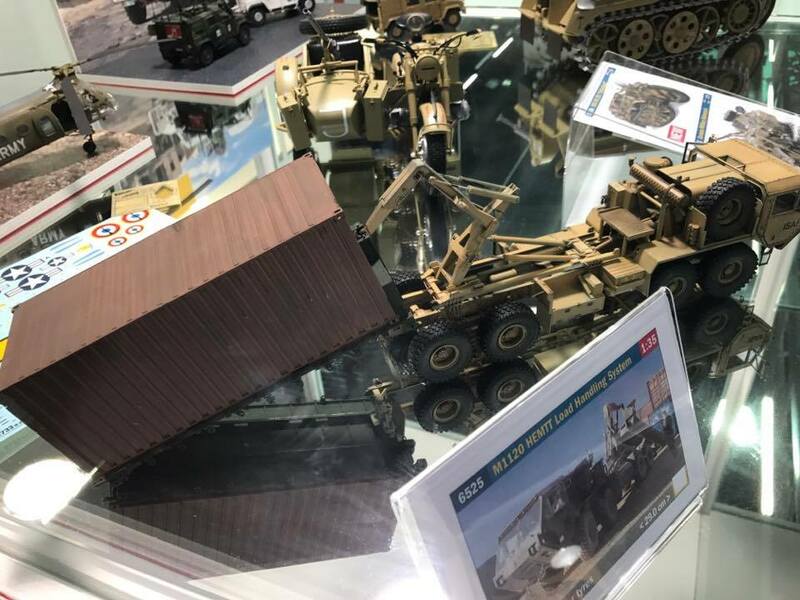 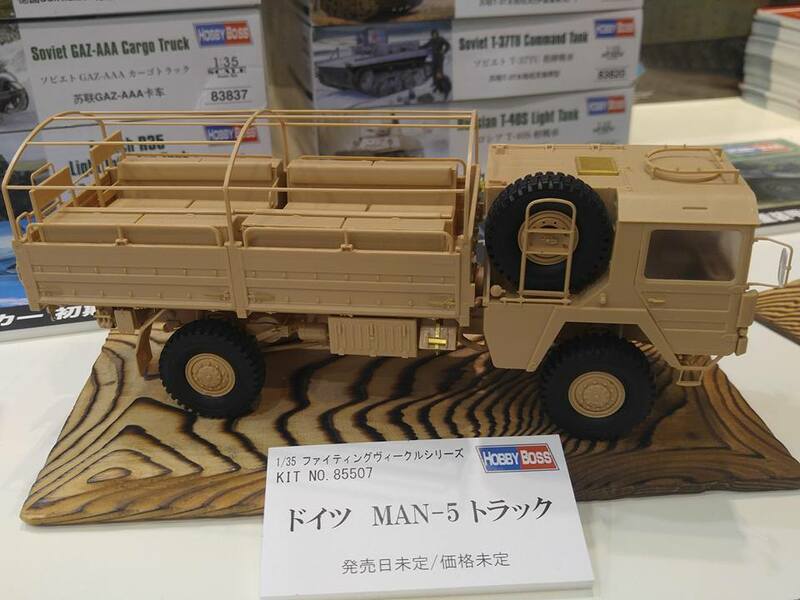 Hobbyboss's new German MAN trucks look nice and tough even in scale. 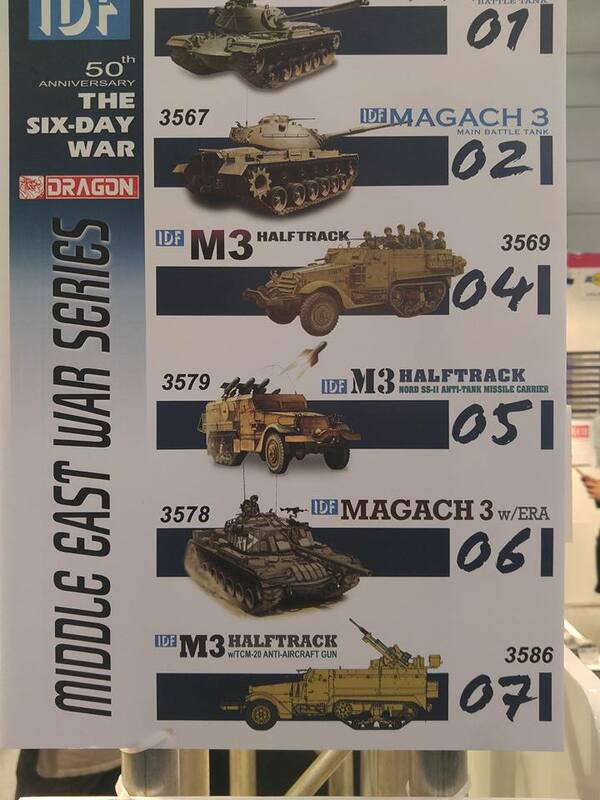 Dragons new releases this year seem to be centred on the Middle East's conflicts from the 70's onwards. 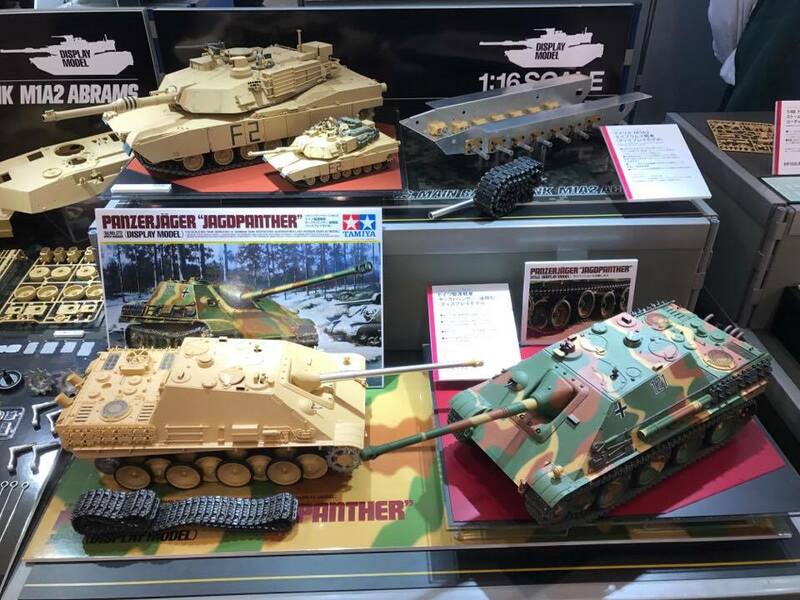 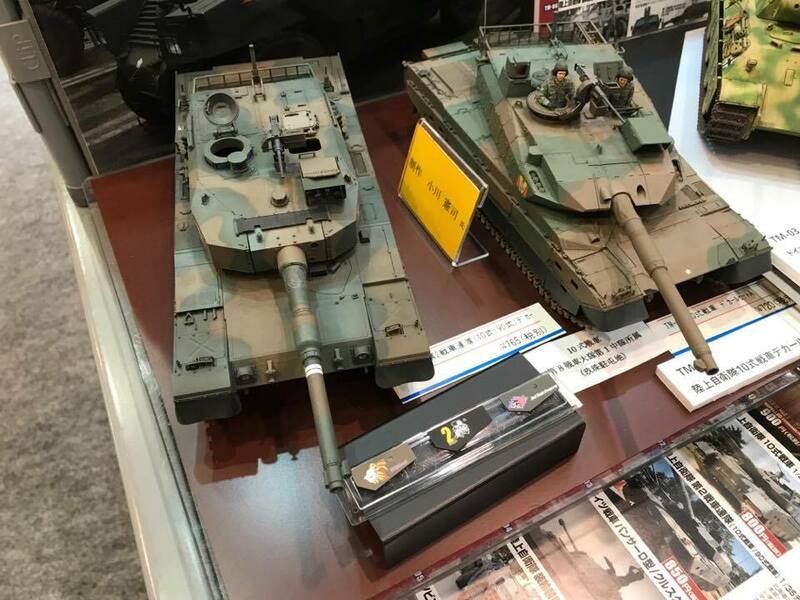 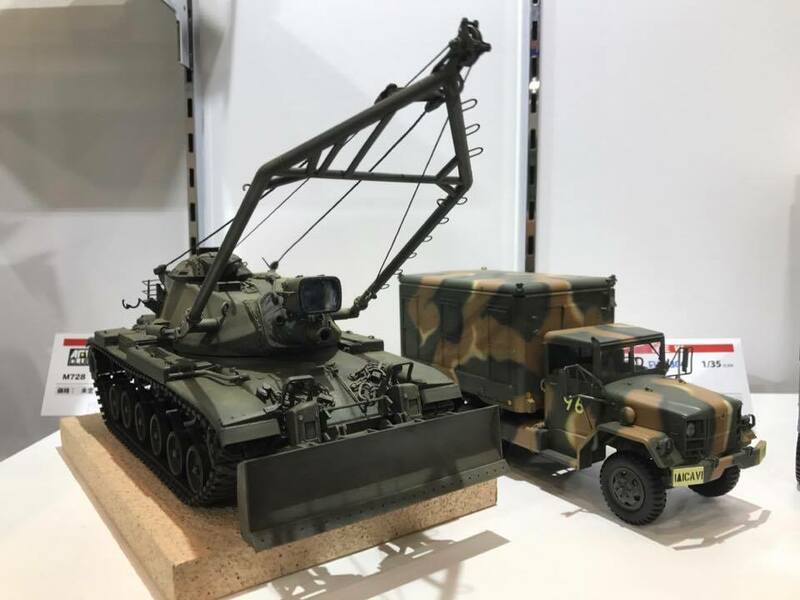 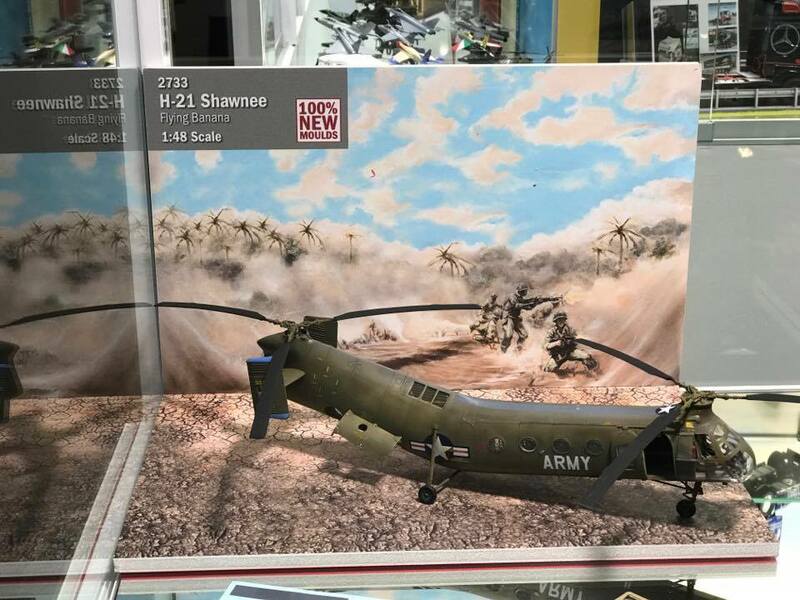 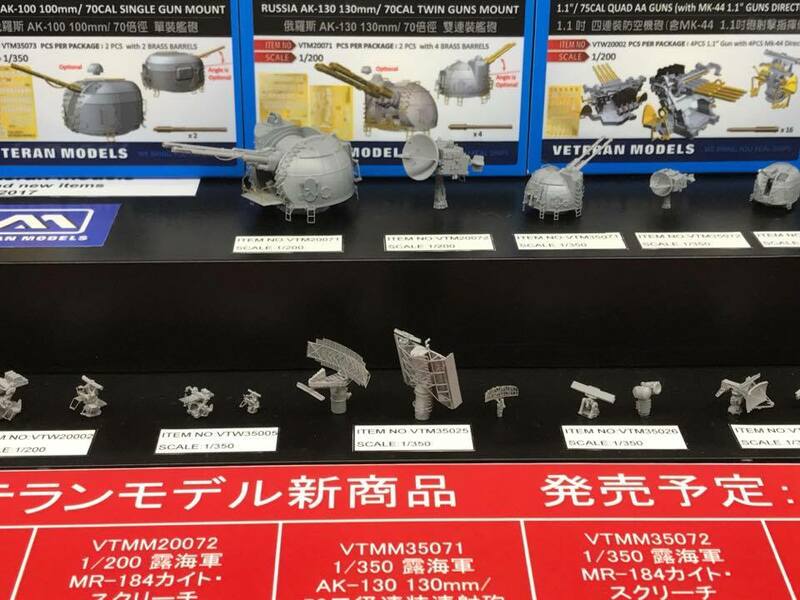 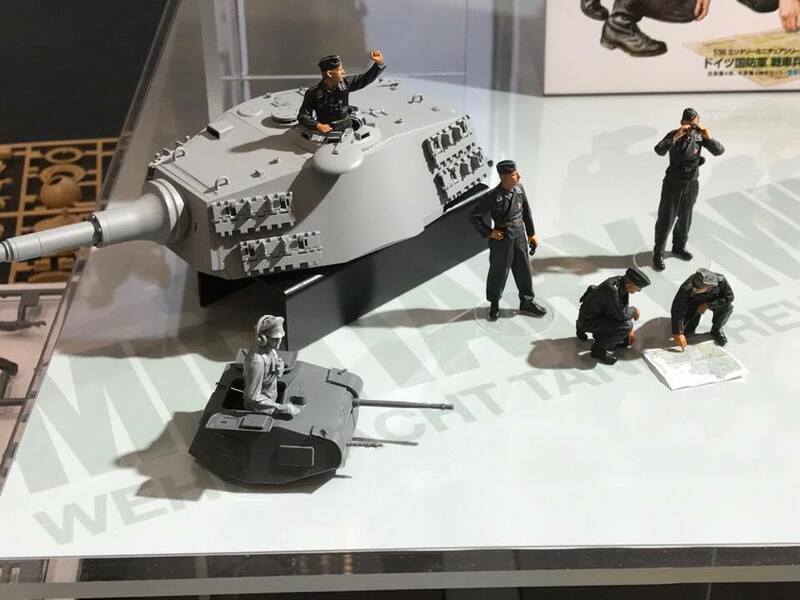 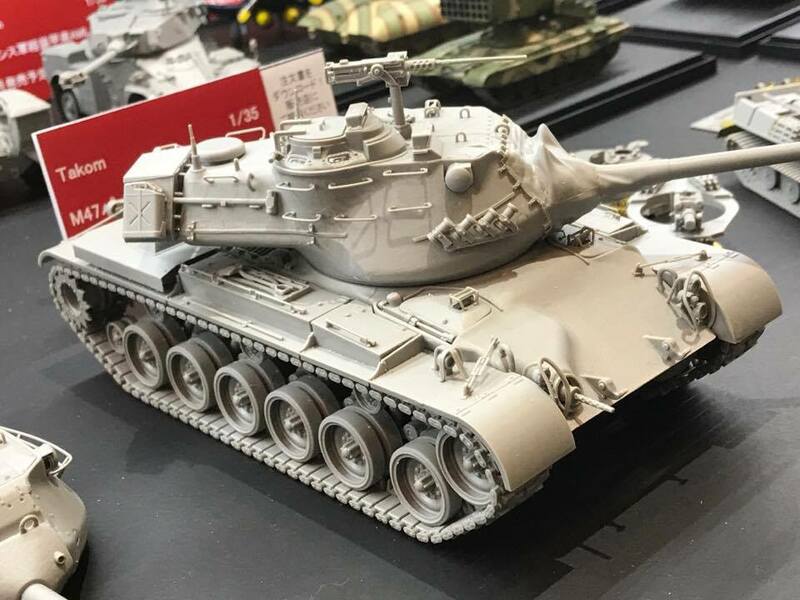 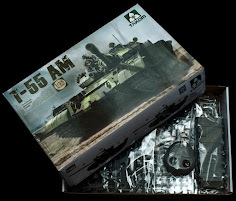 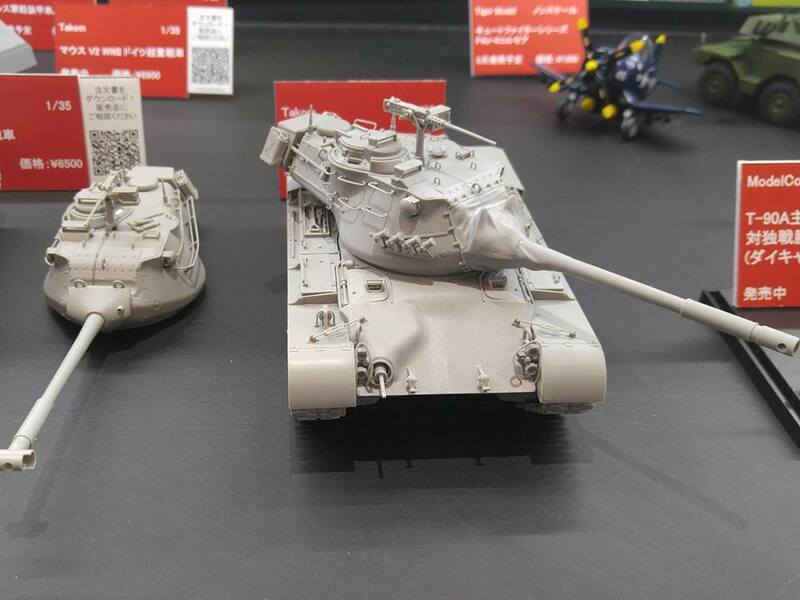 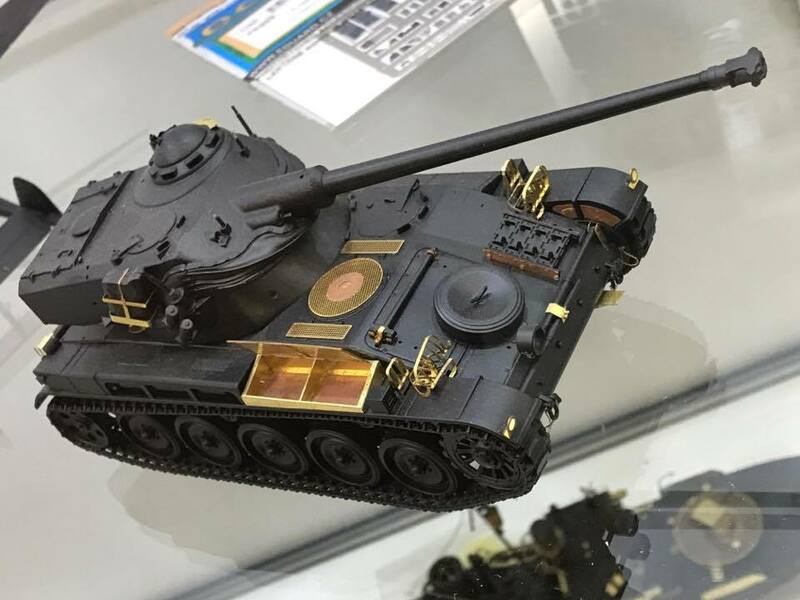 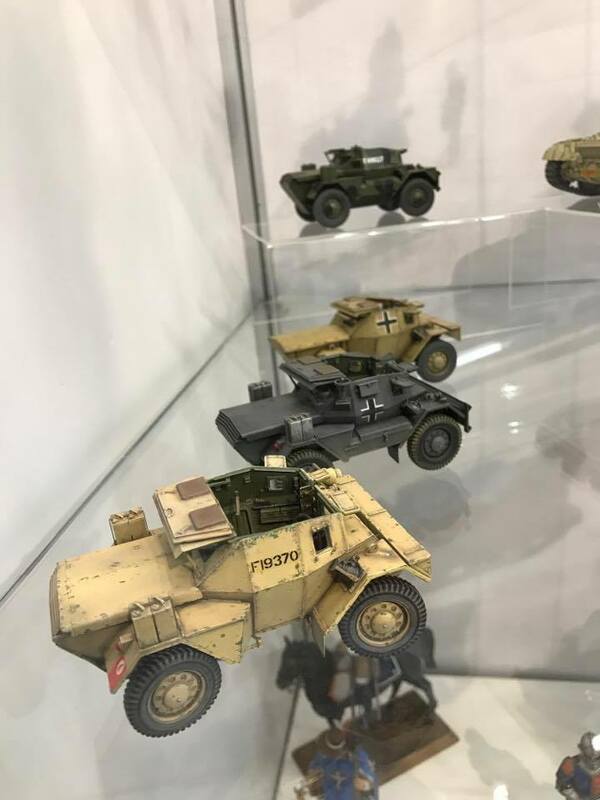 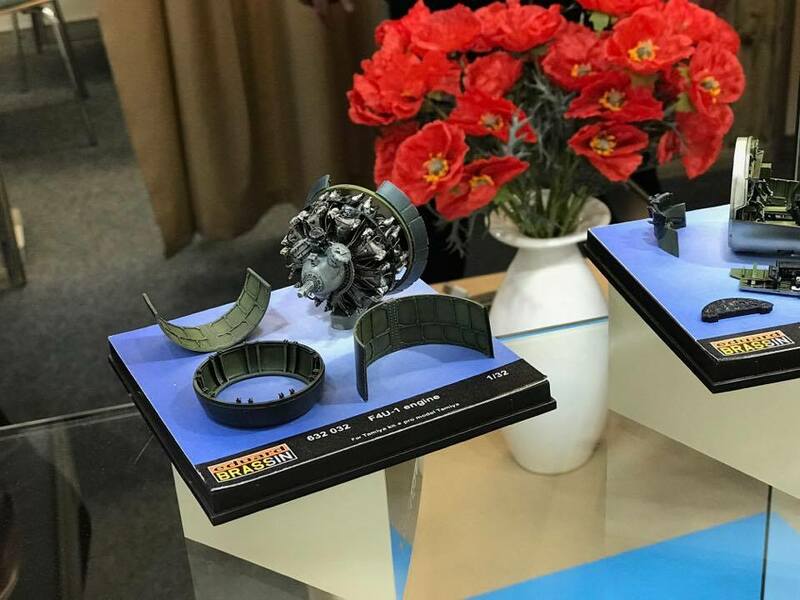 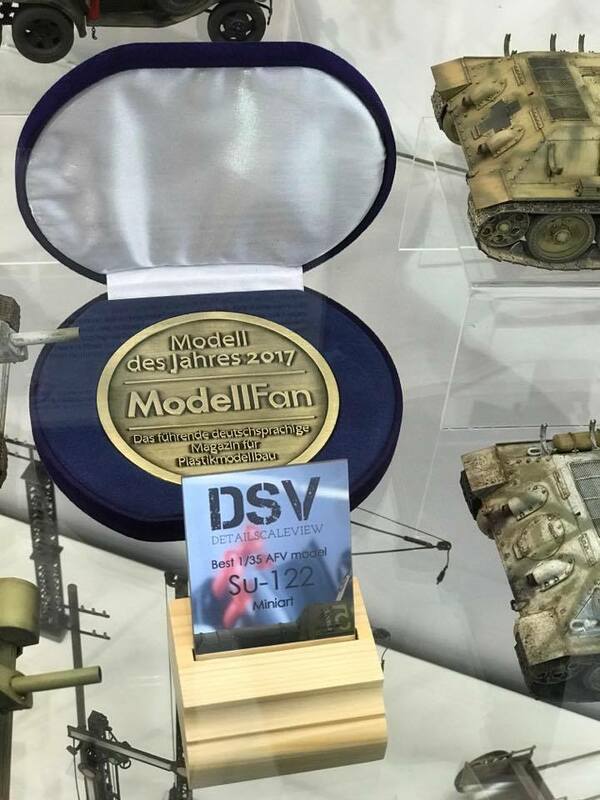 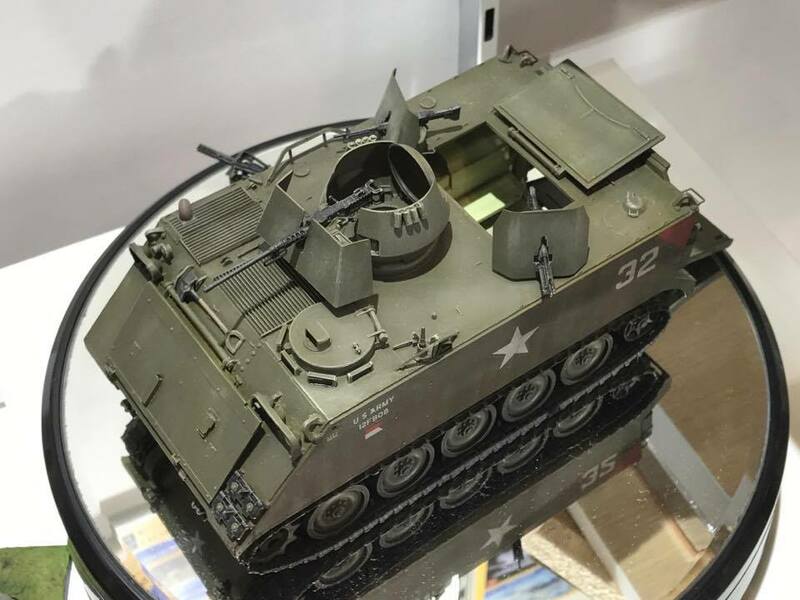 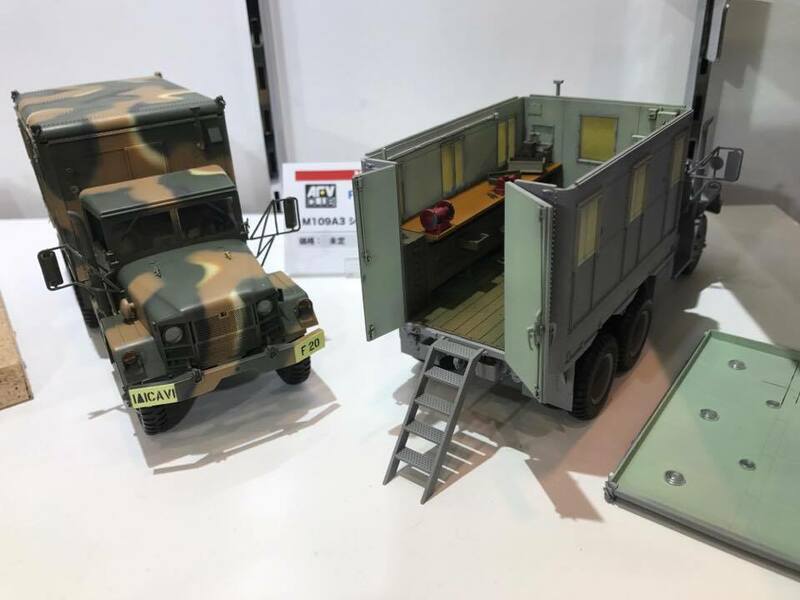 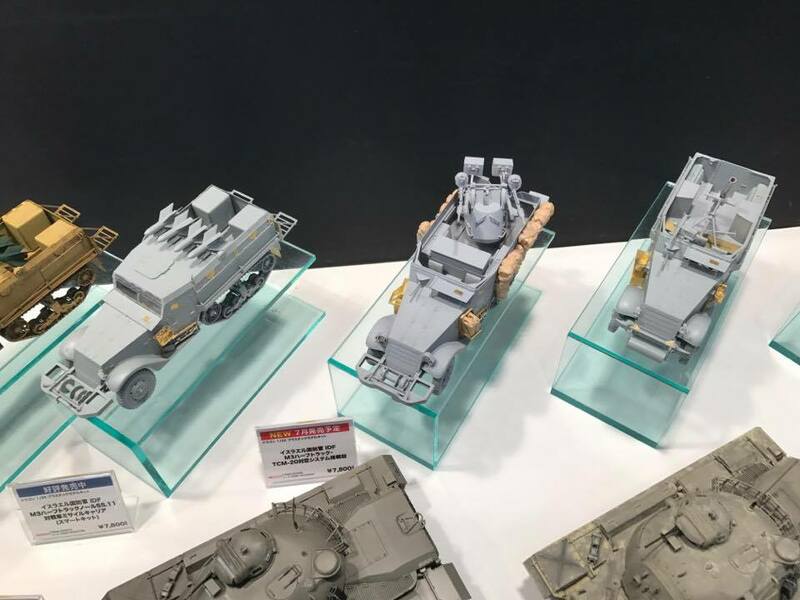 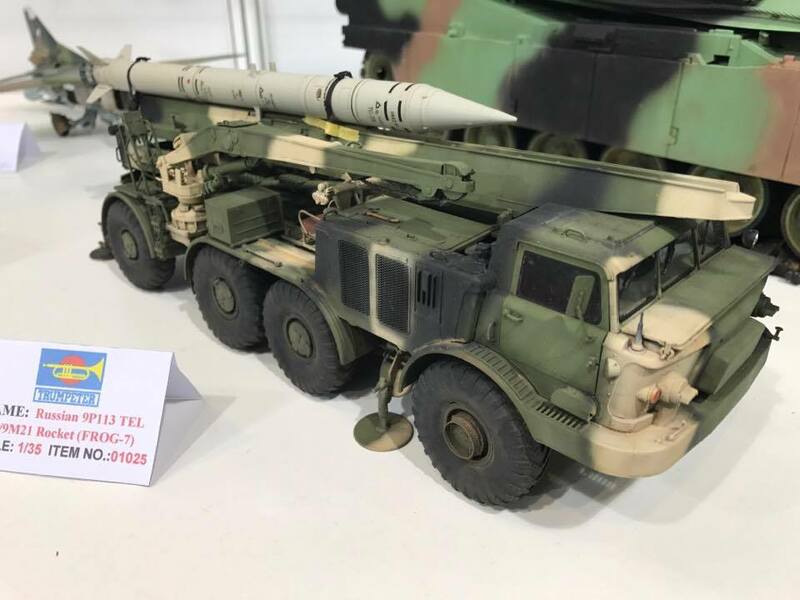 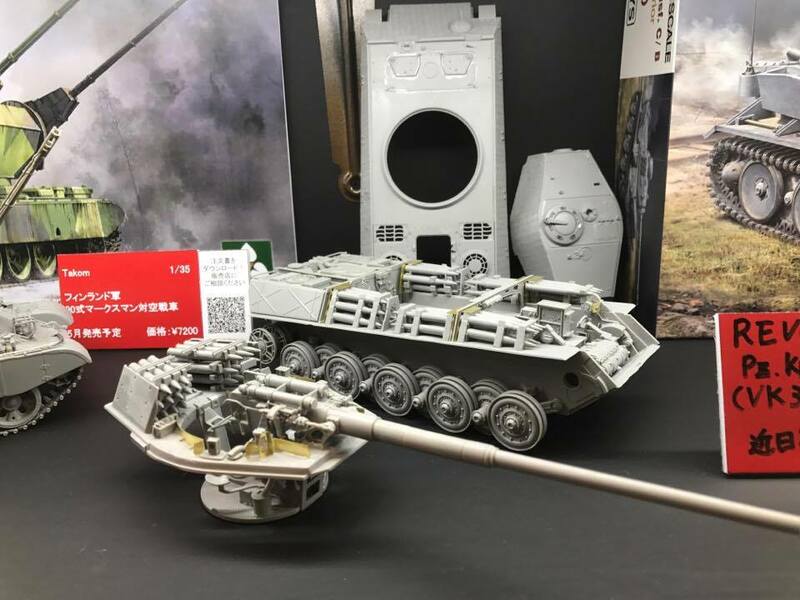 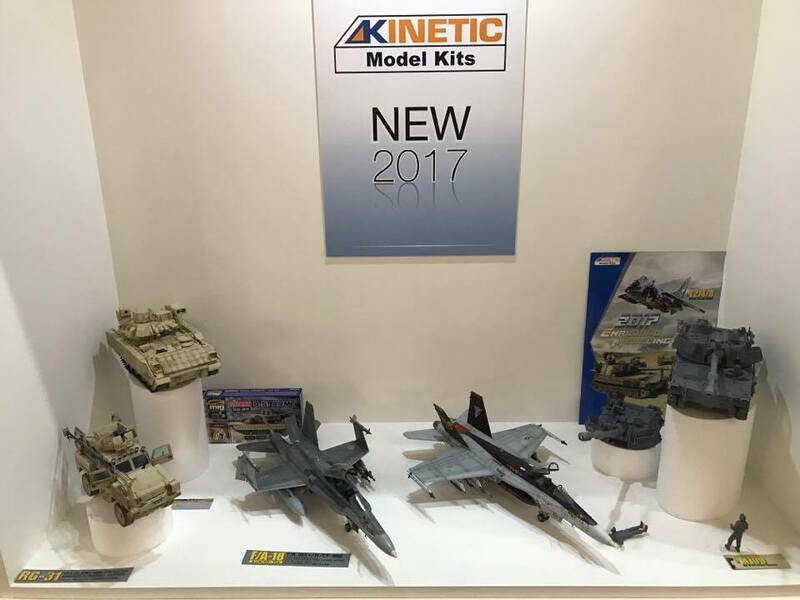 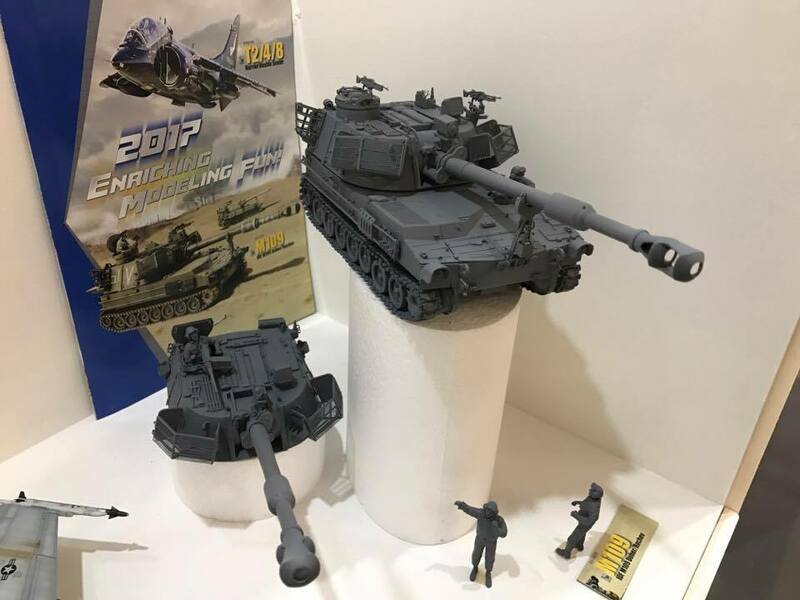 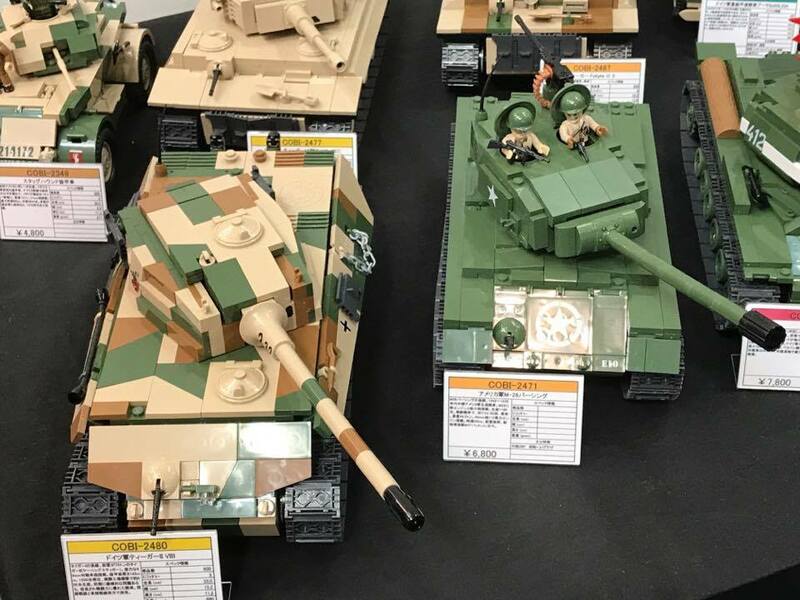 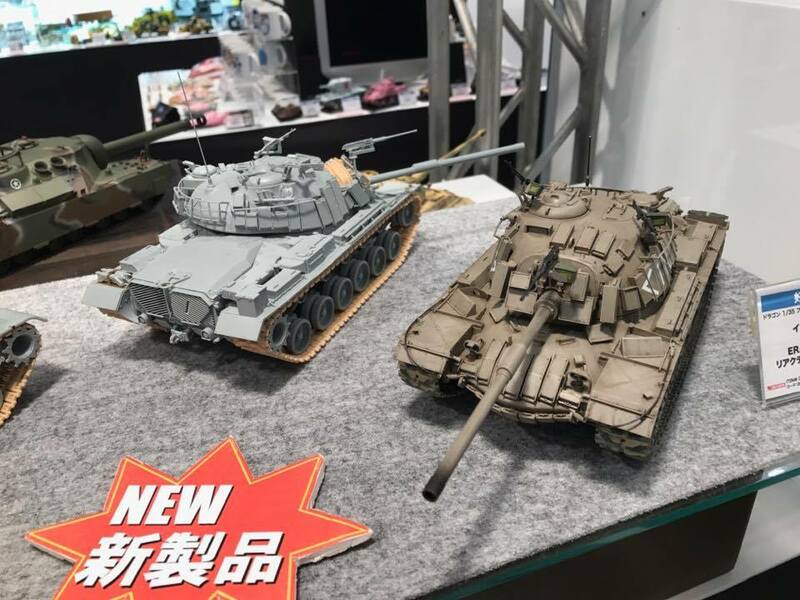 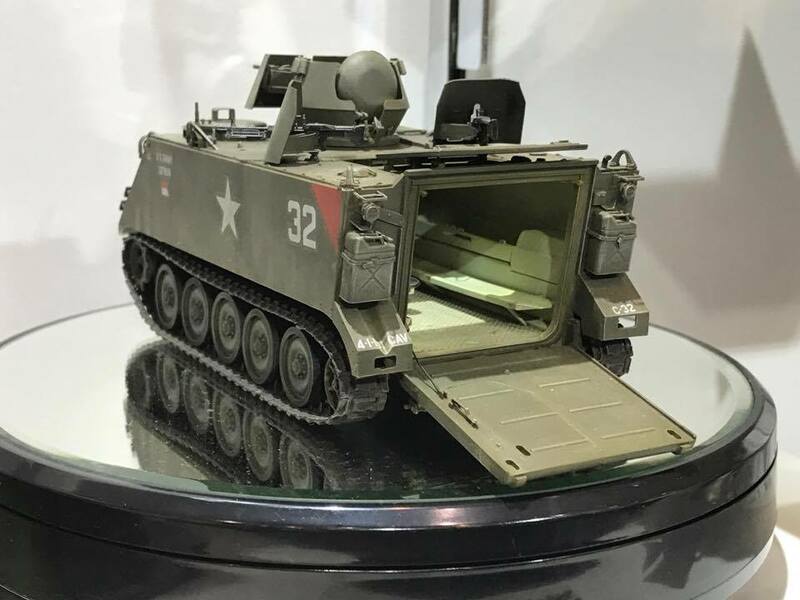 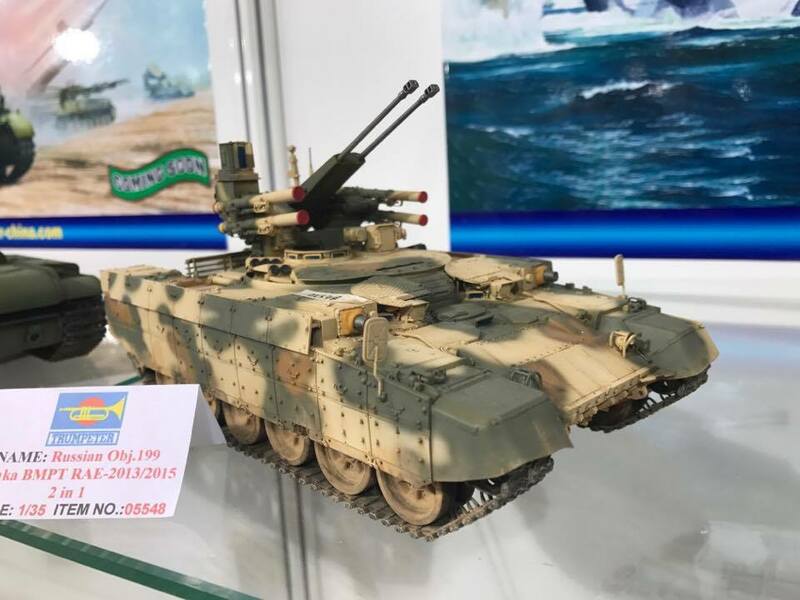 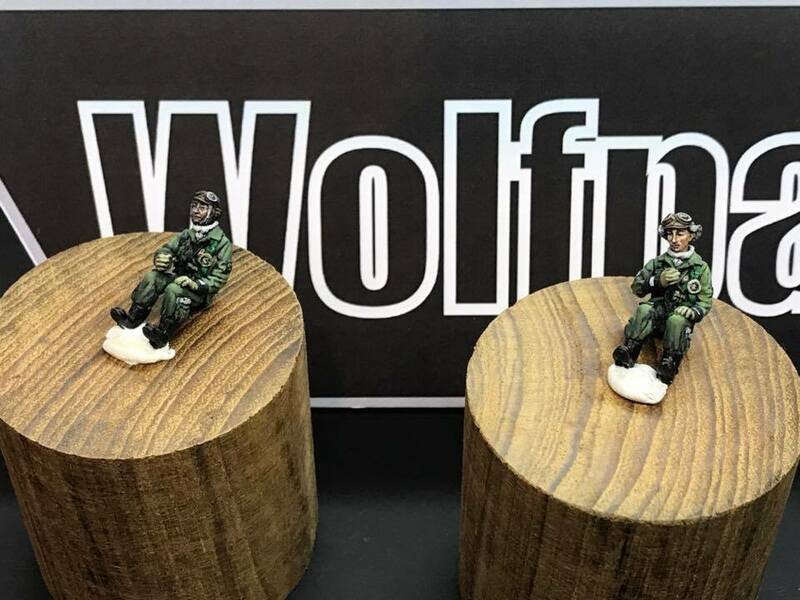 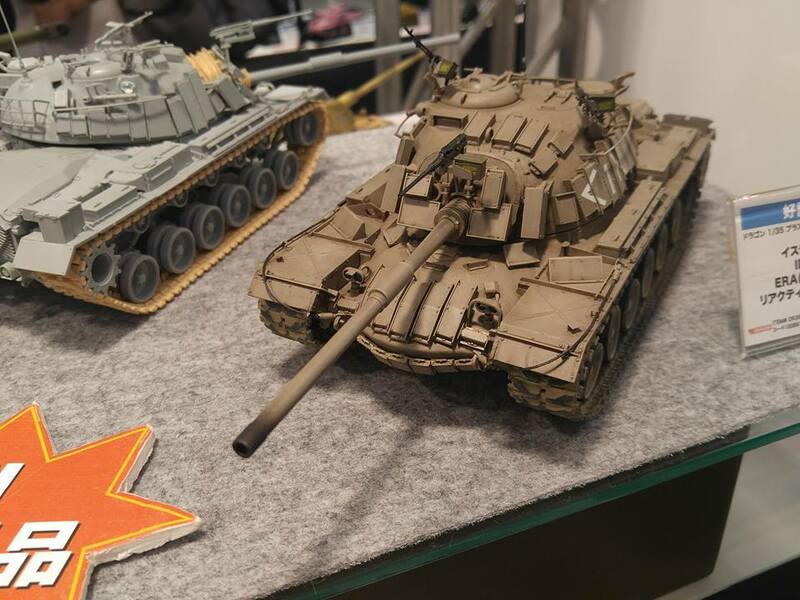 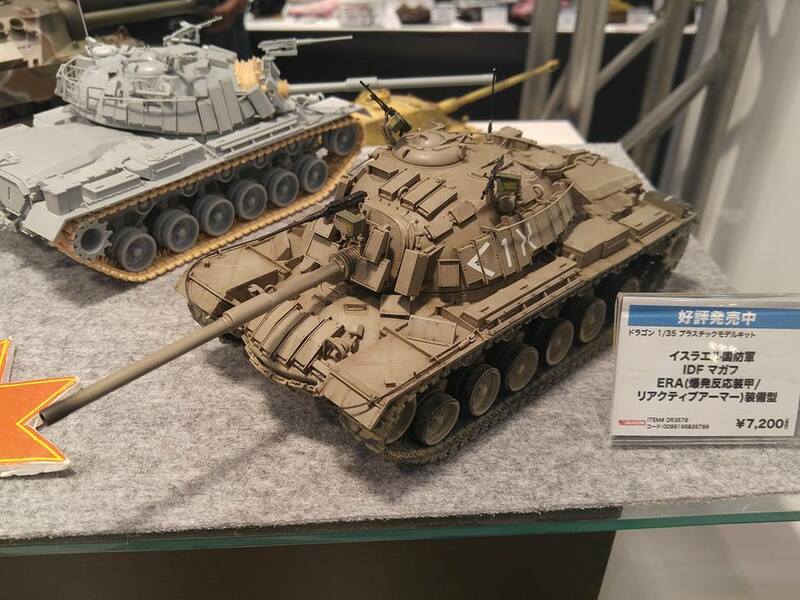 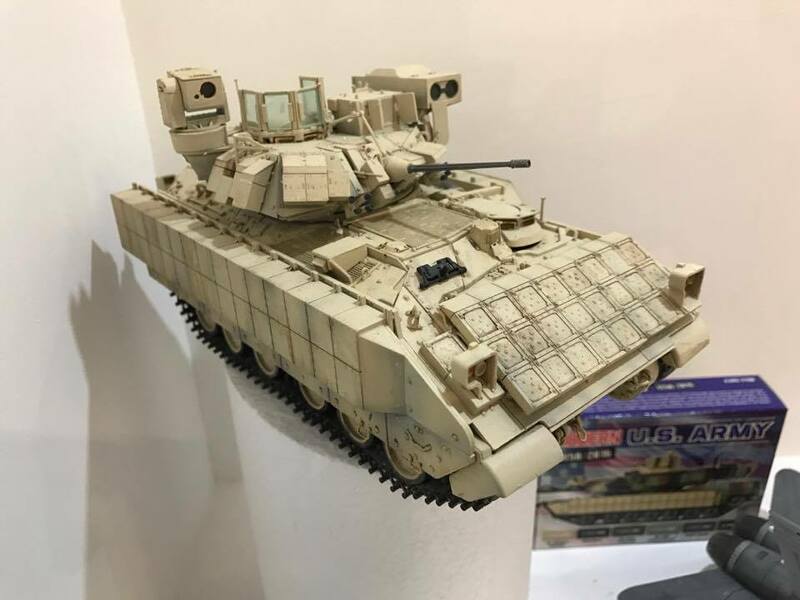 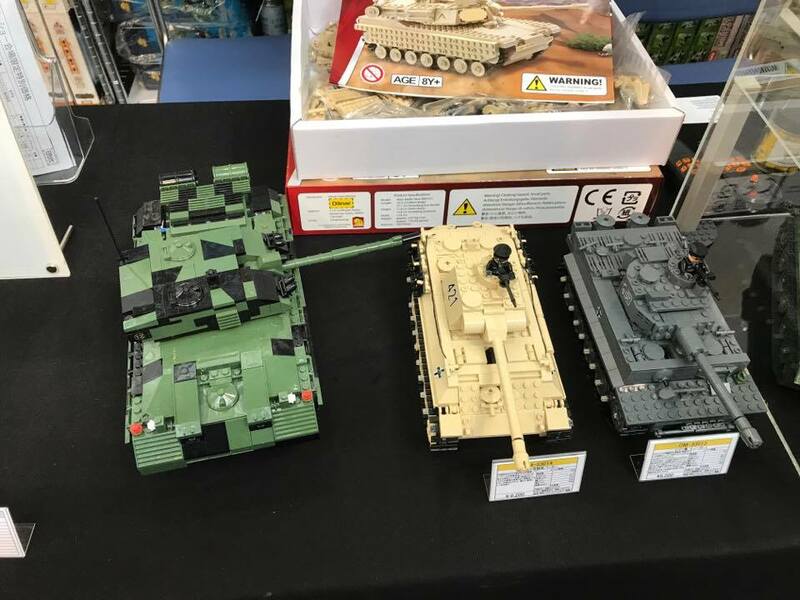 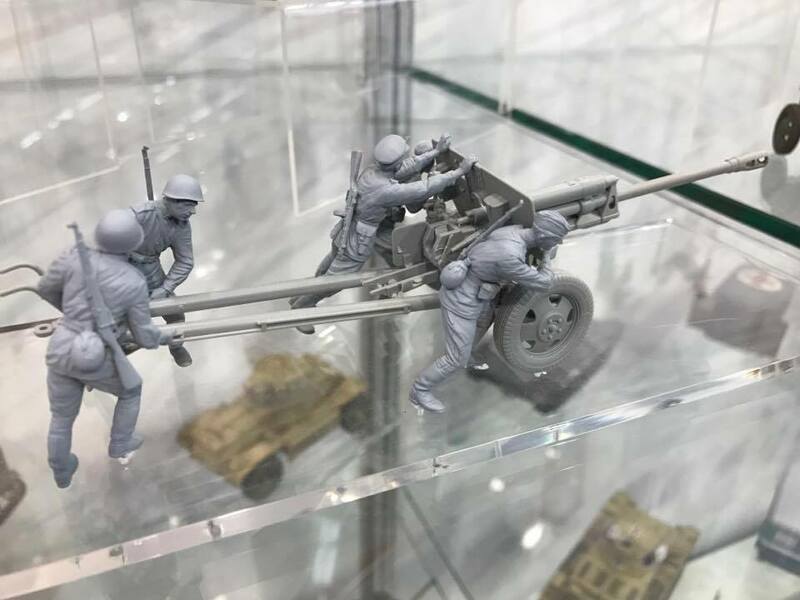 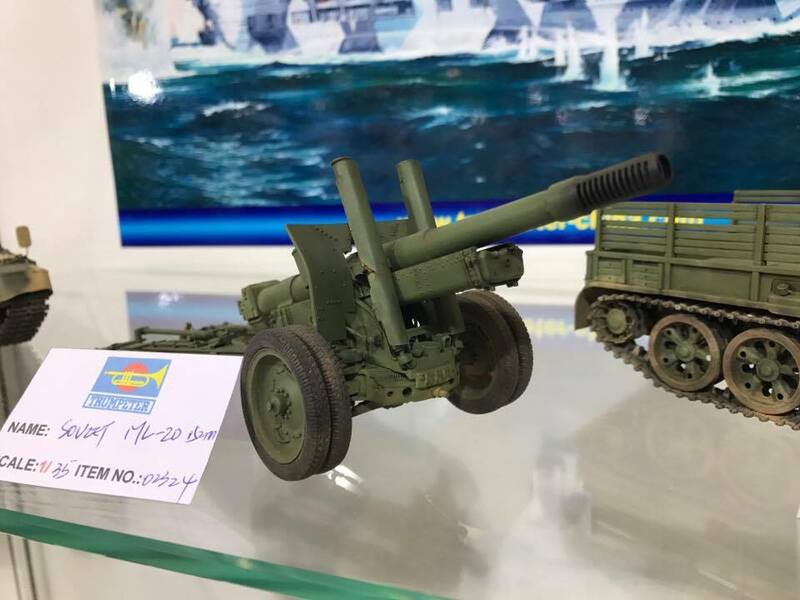 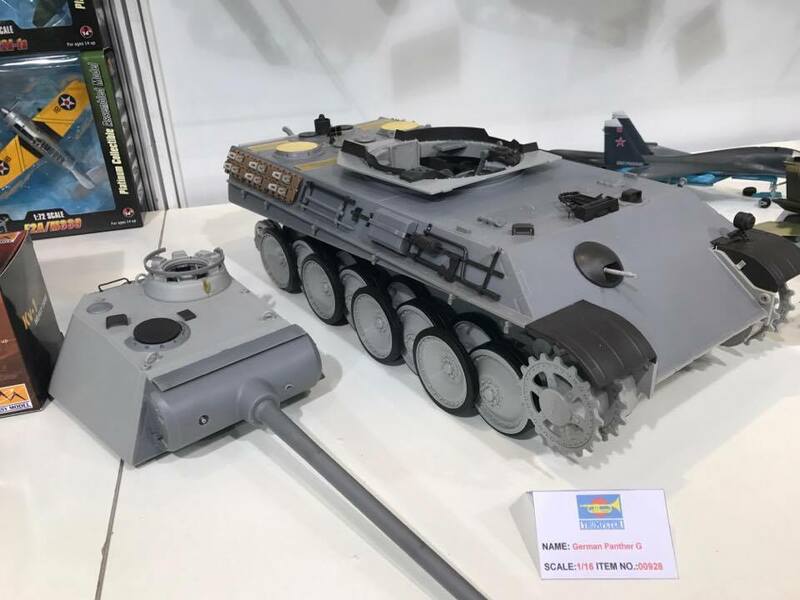 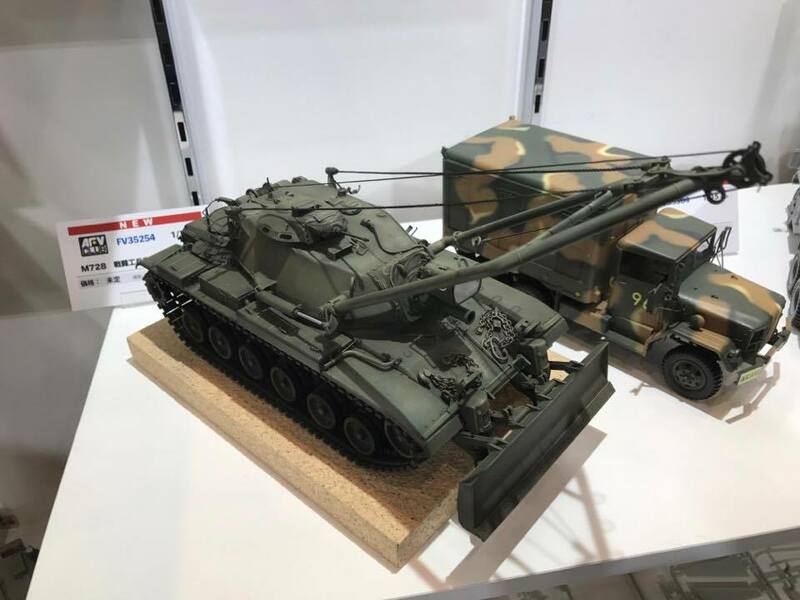 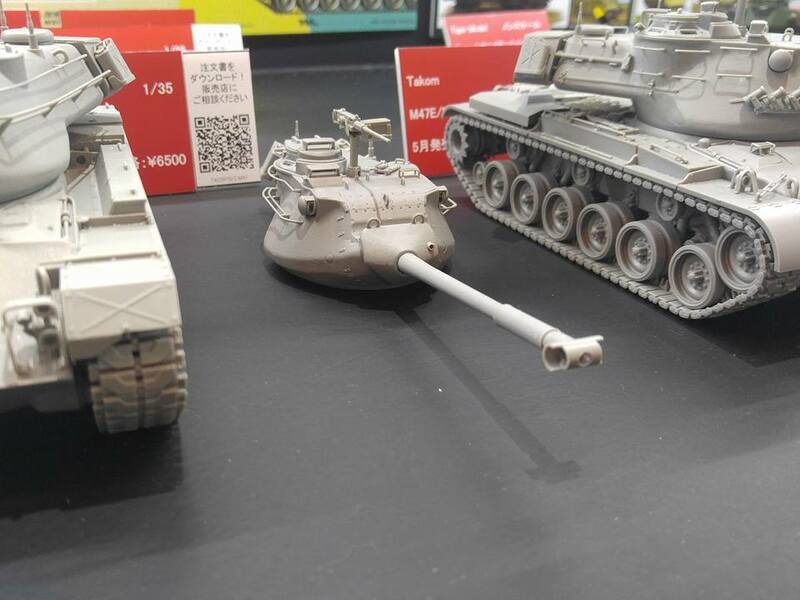 AFV club's new releases included an IDF New M109 Doher, resin idf soldier kit, a US M728 and a M113 from the Vietnam war era. 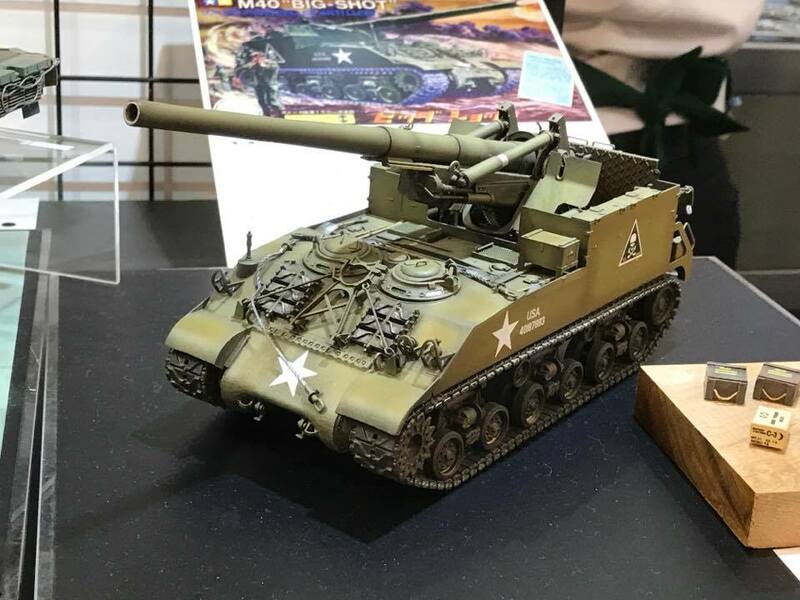 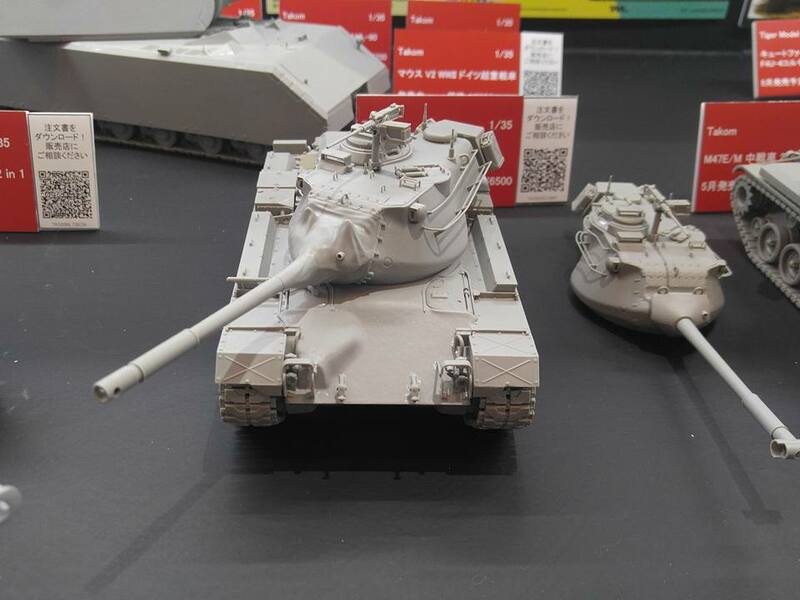 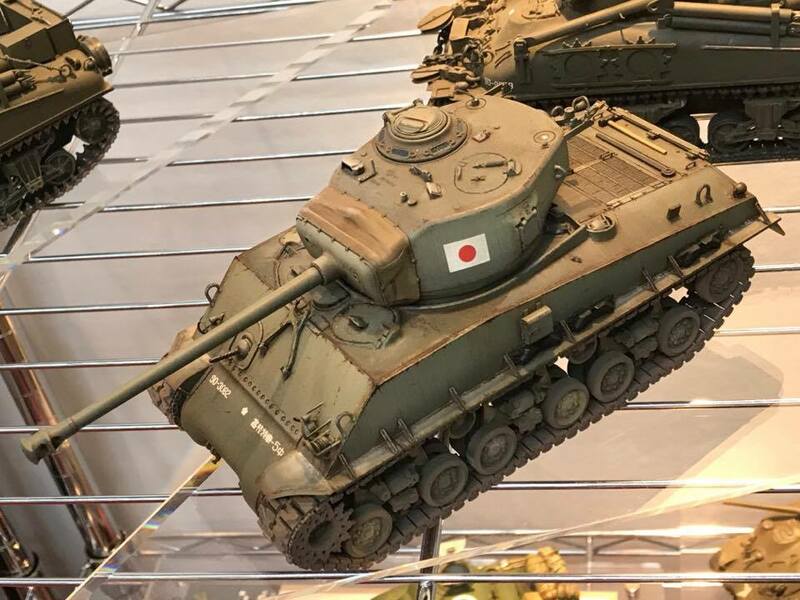 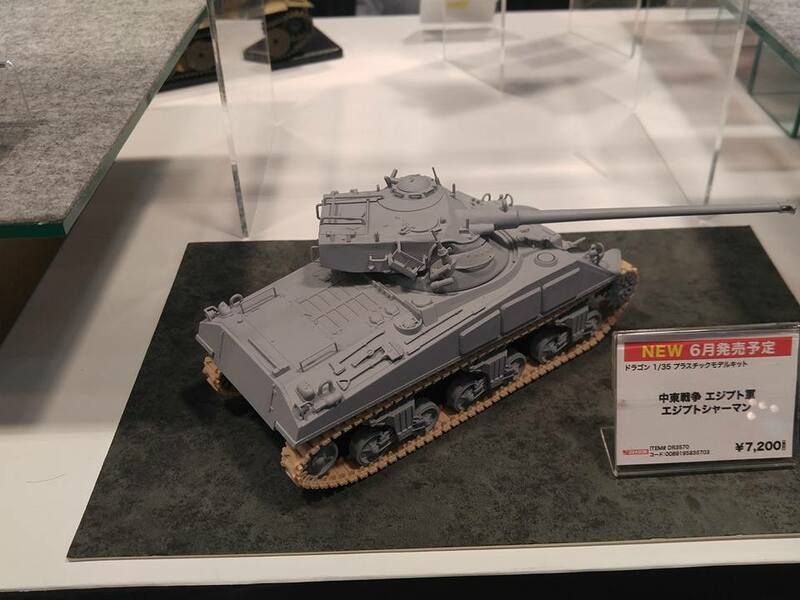 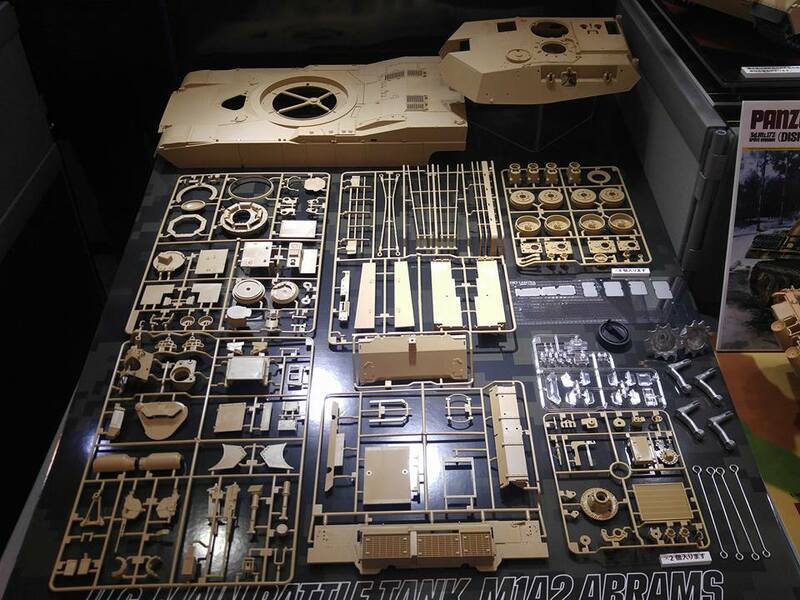 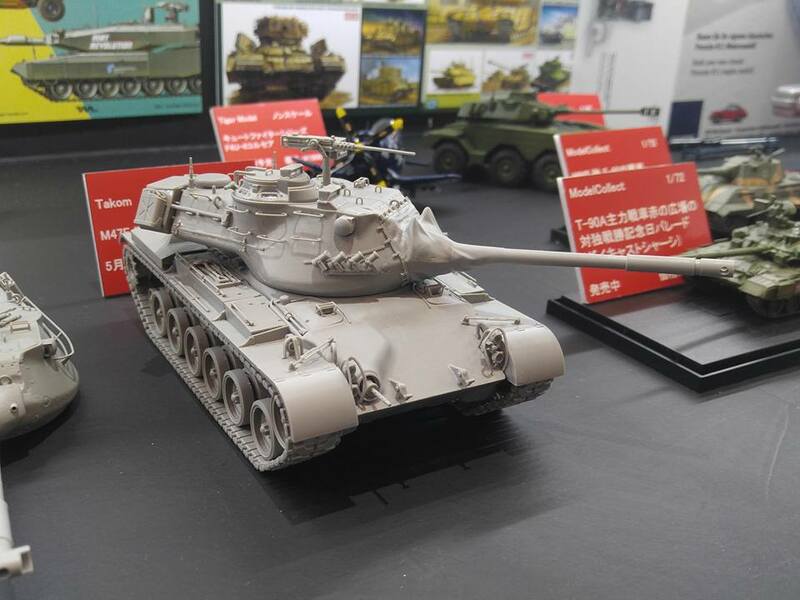 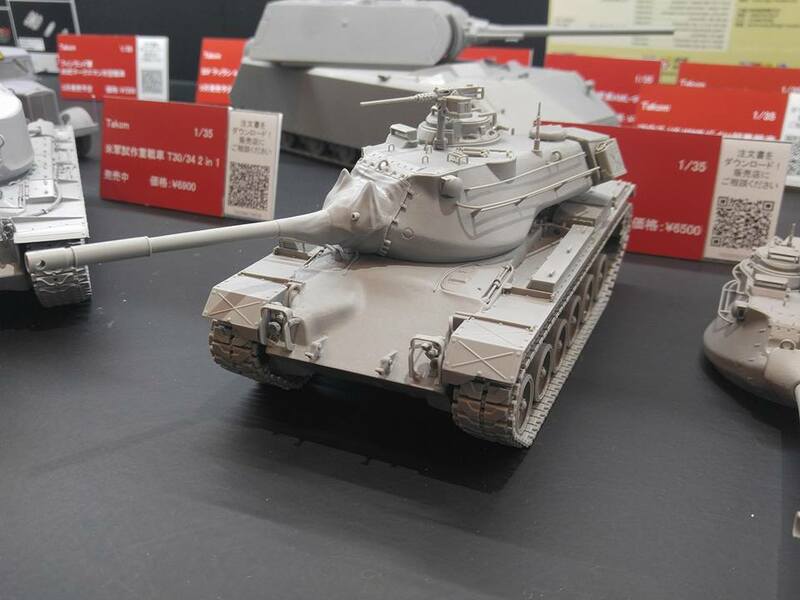 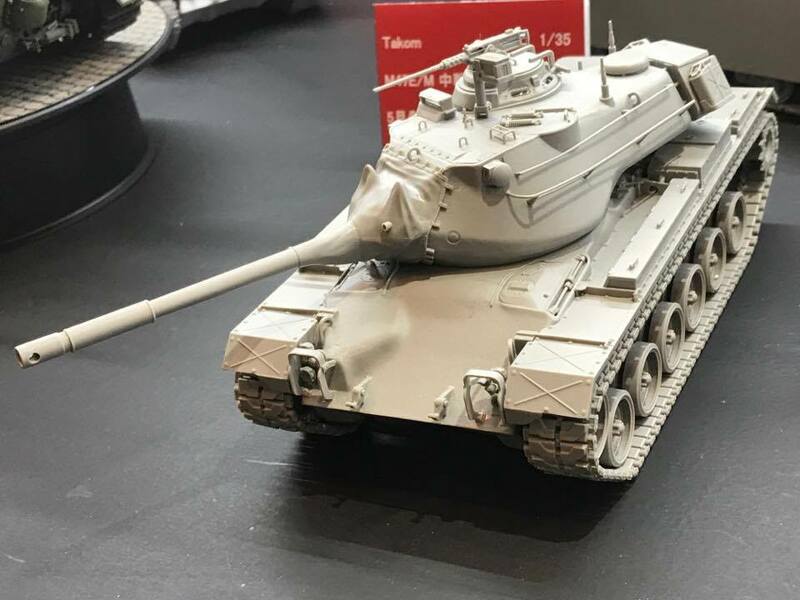 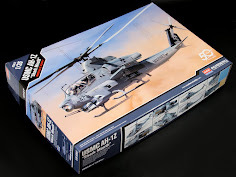 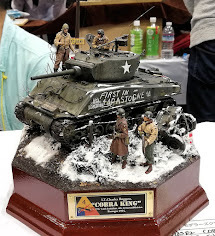 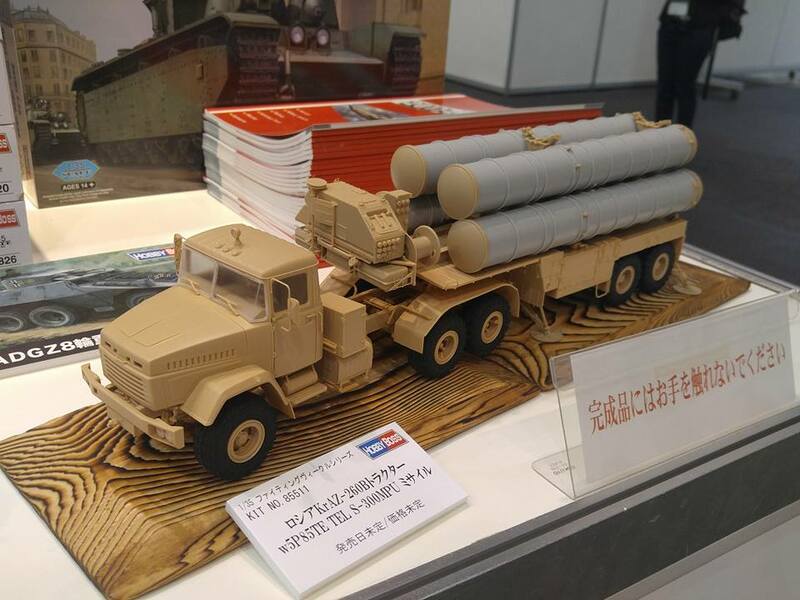 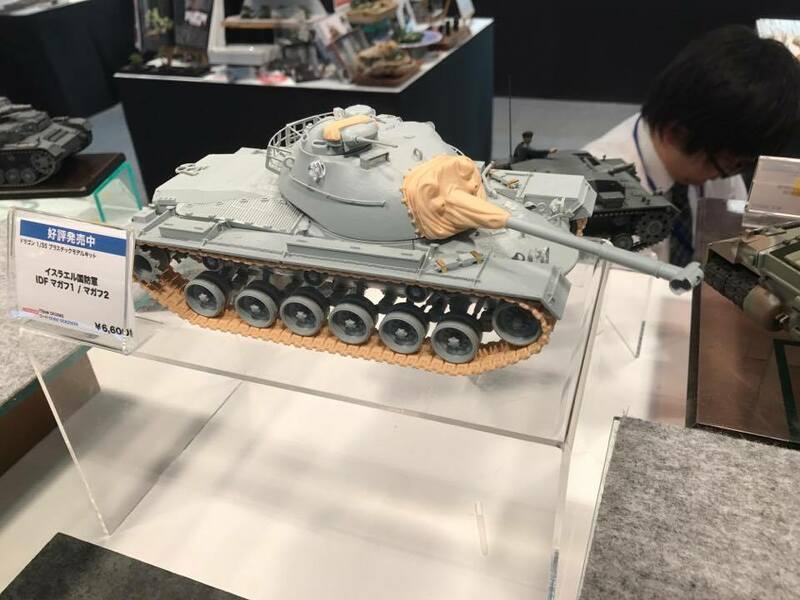 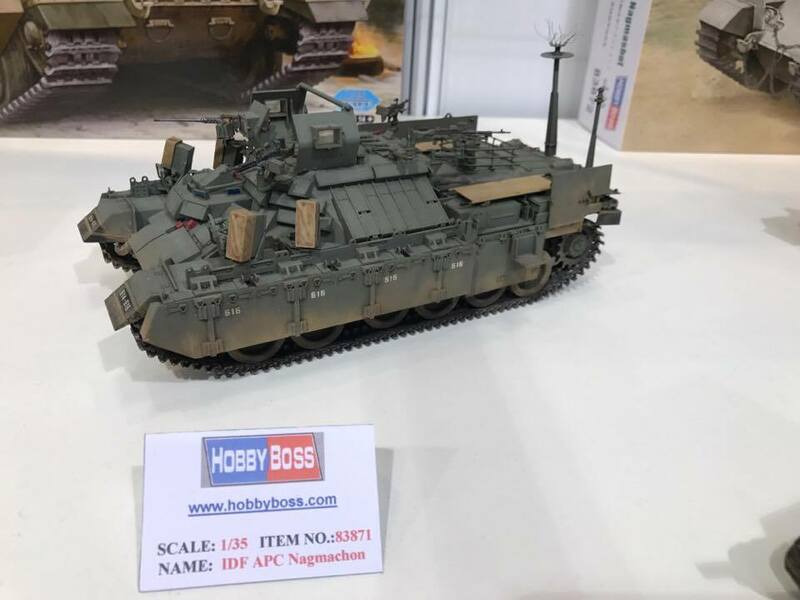 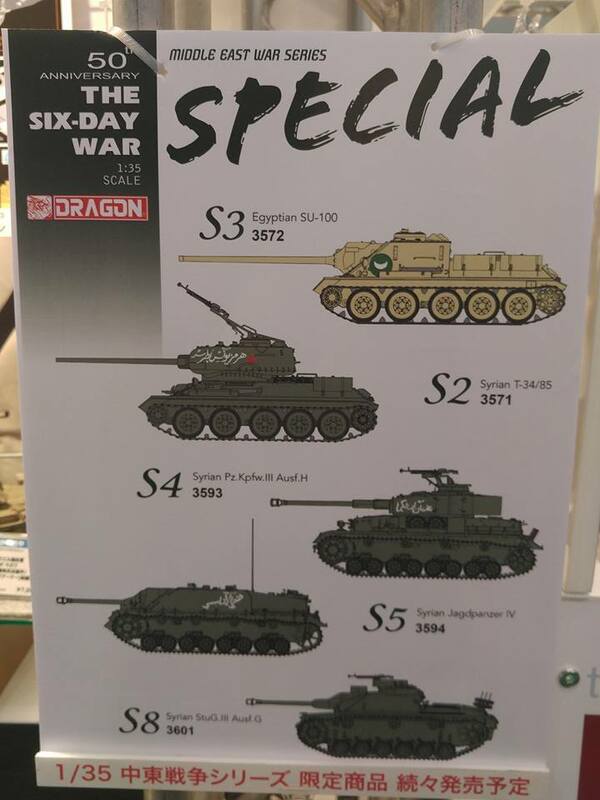 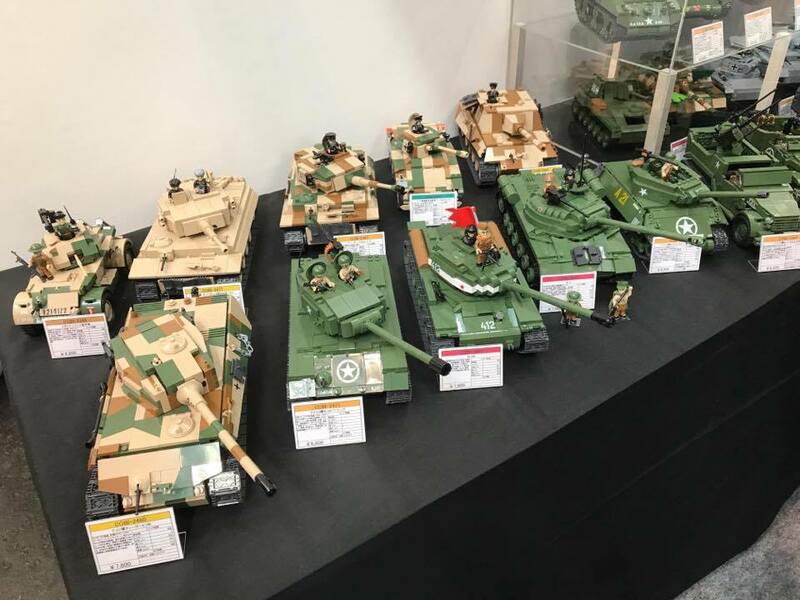 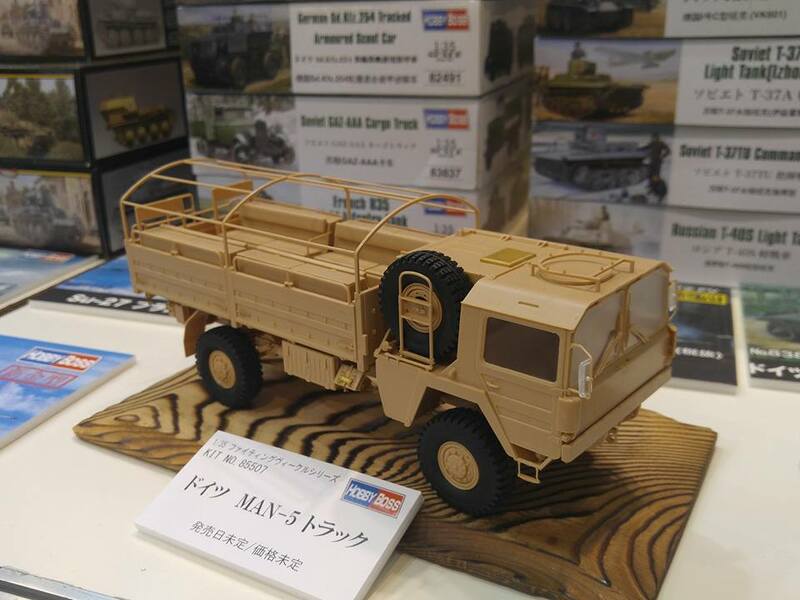 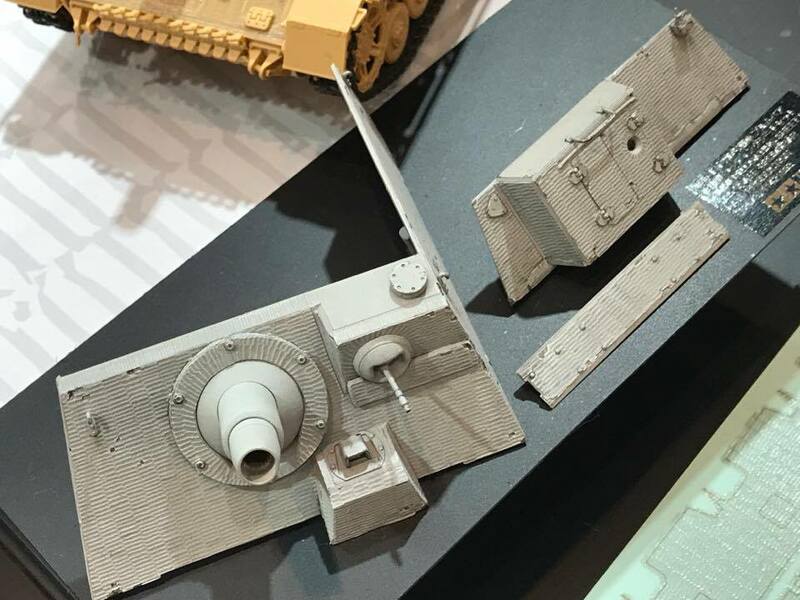 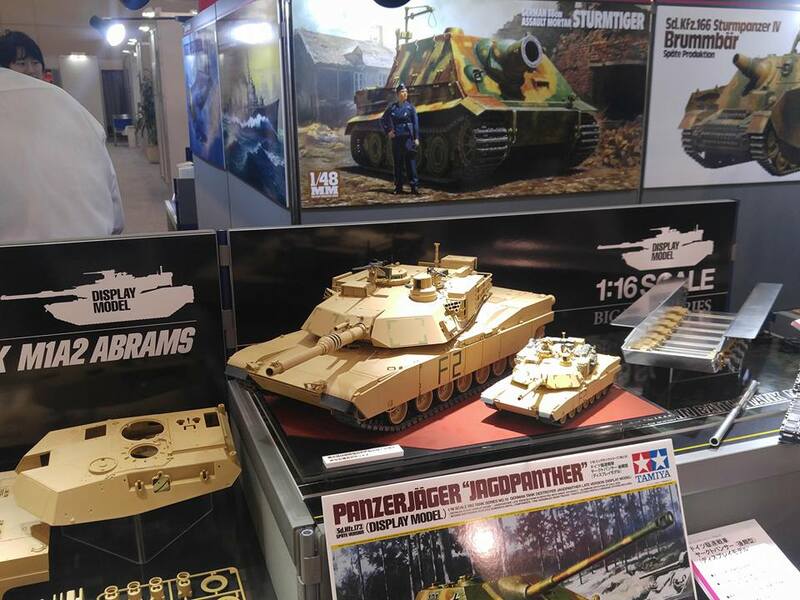 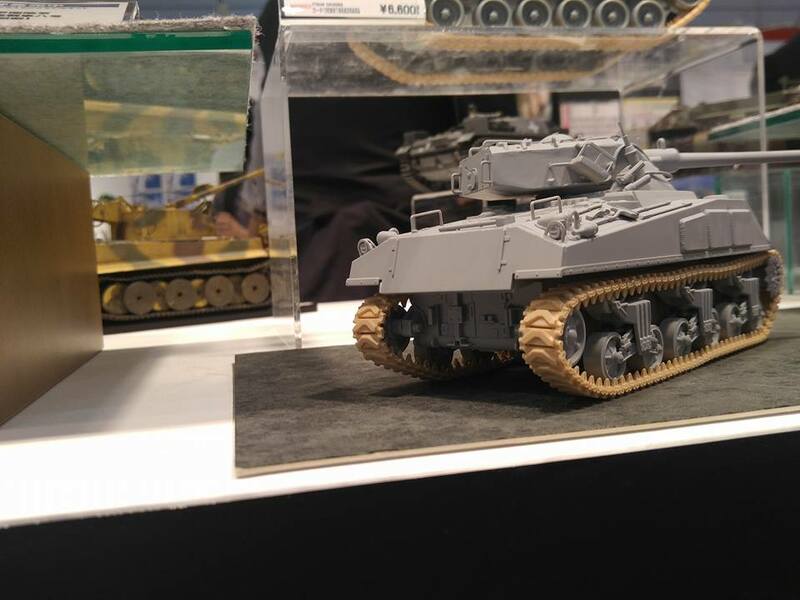 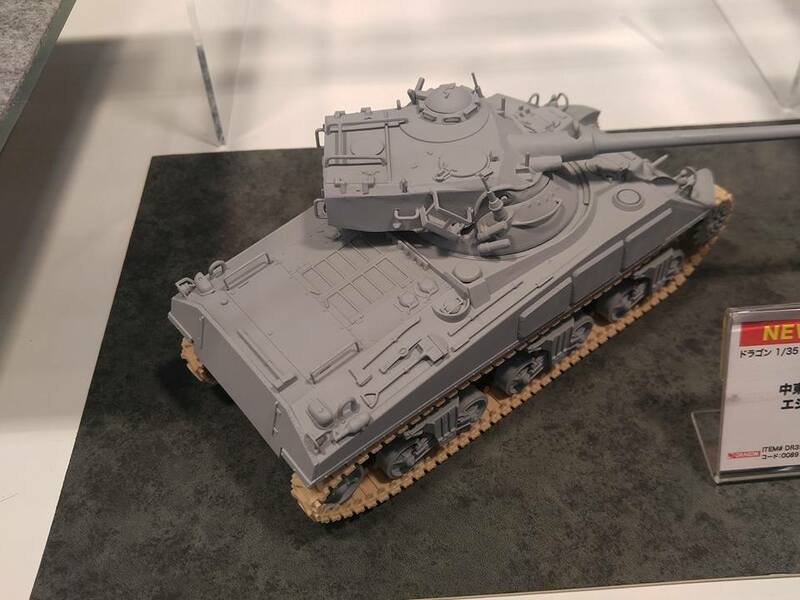 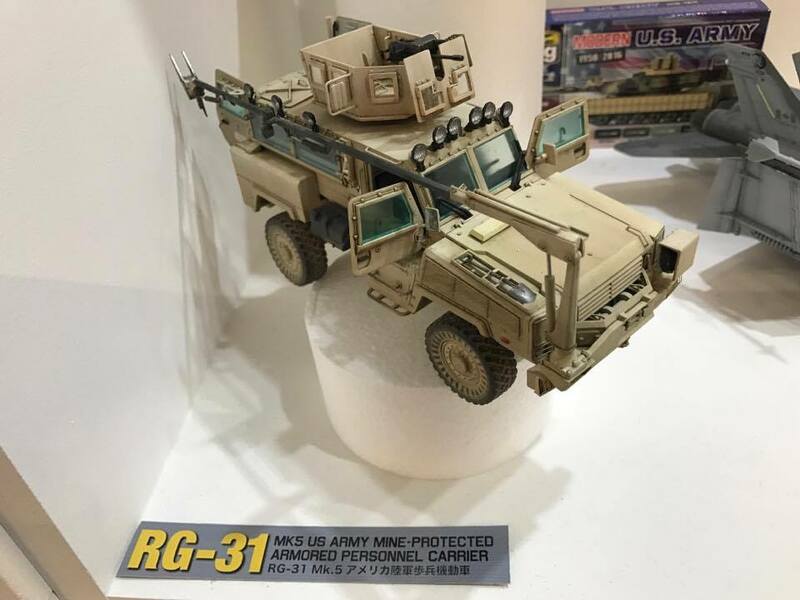 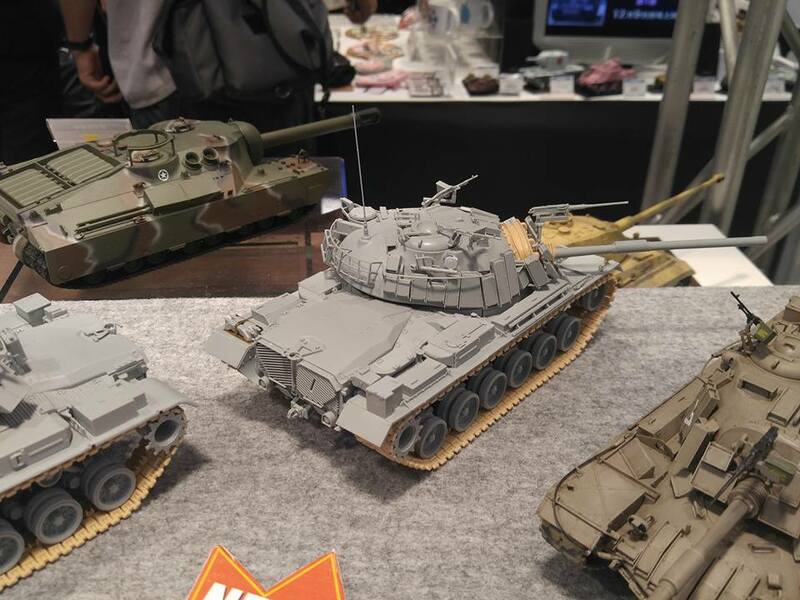 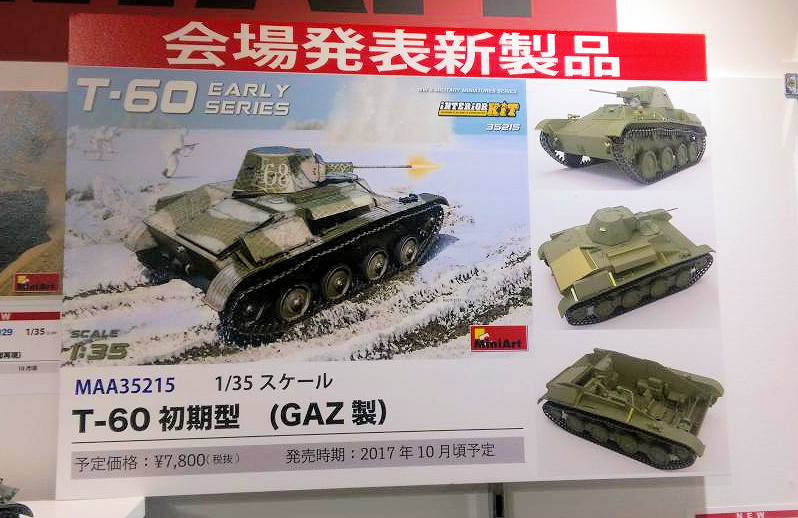 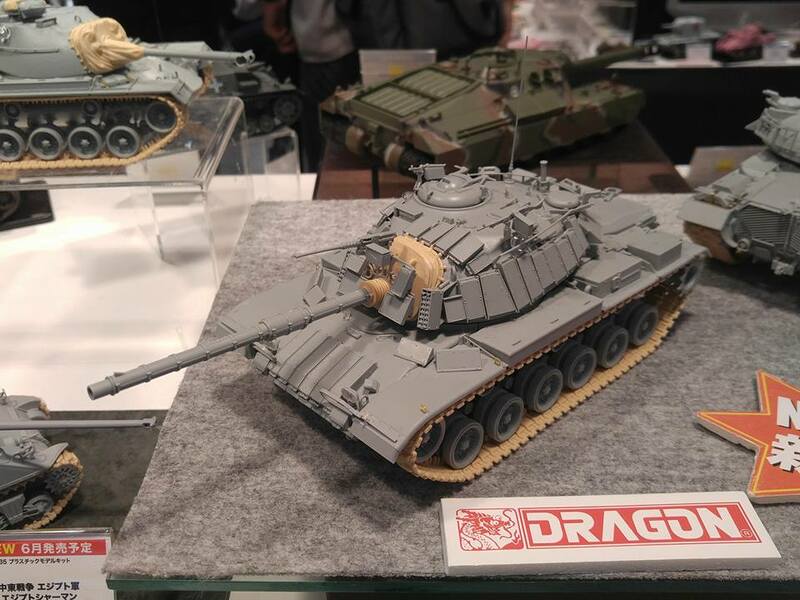 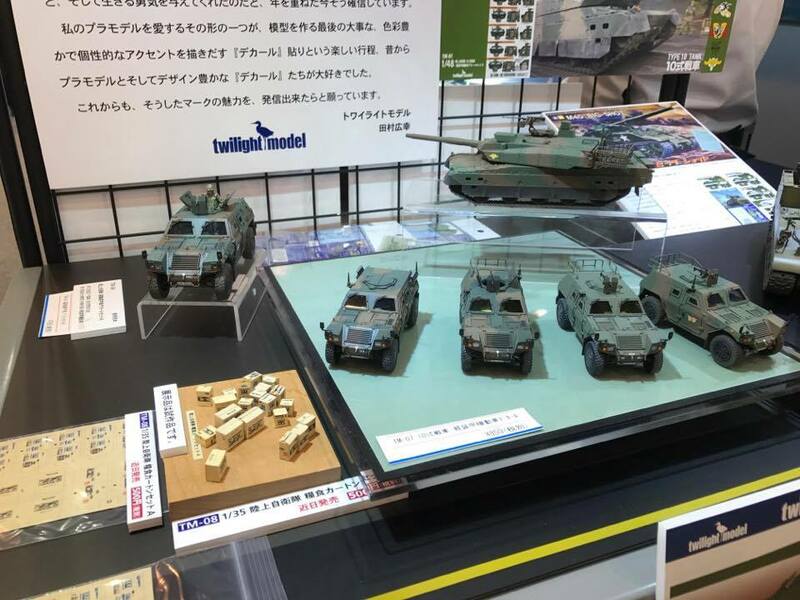 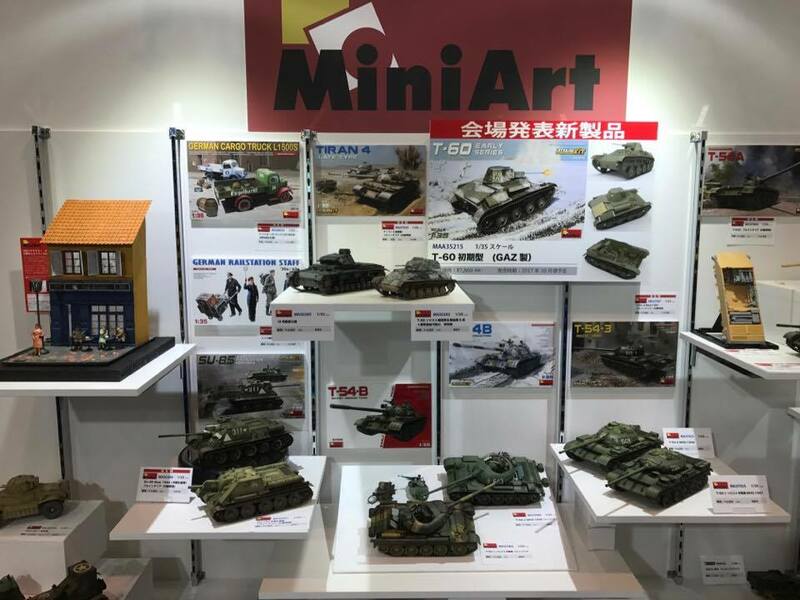 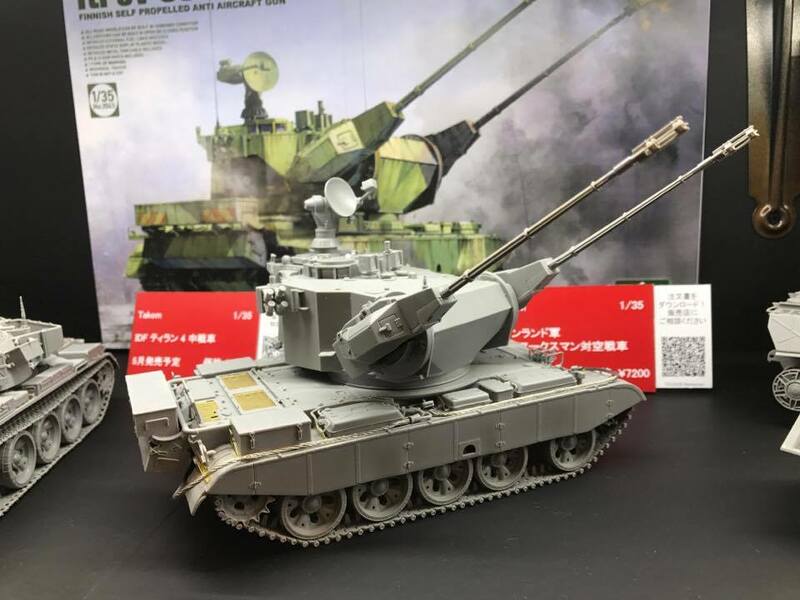 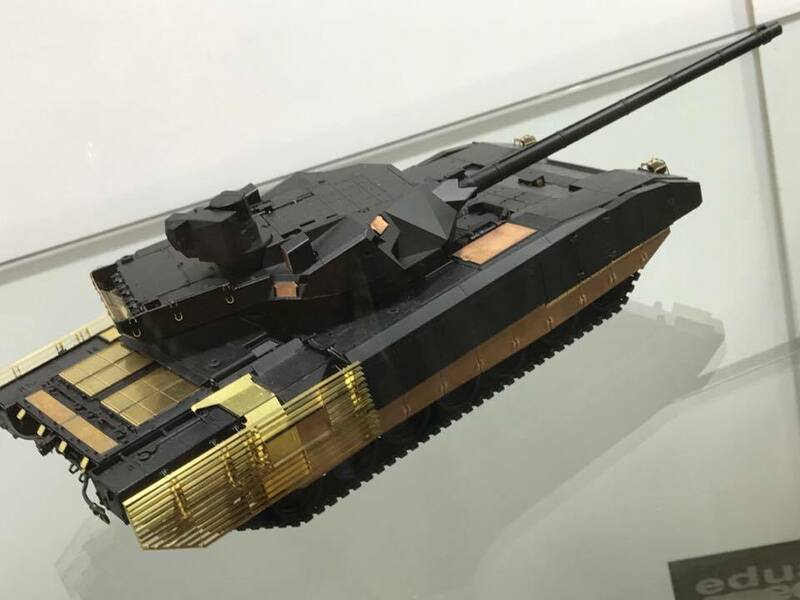 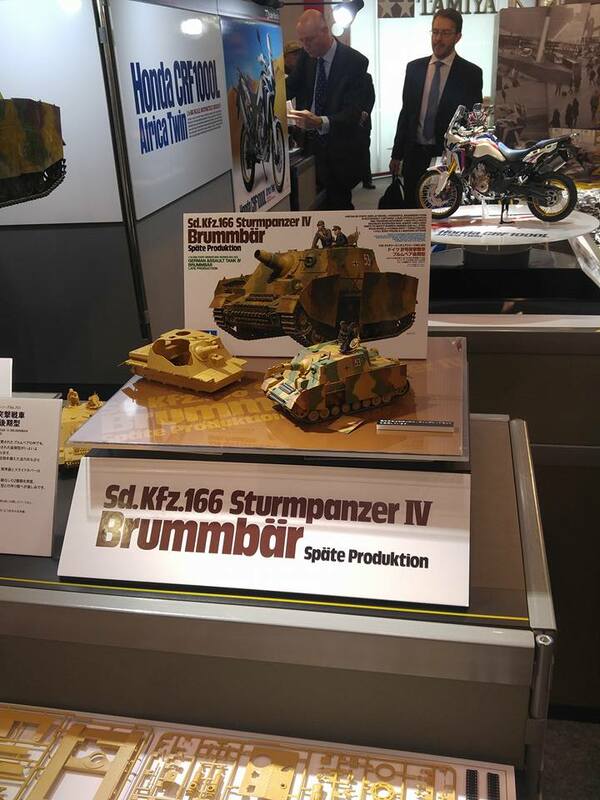 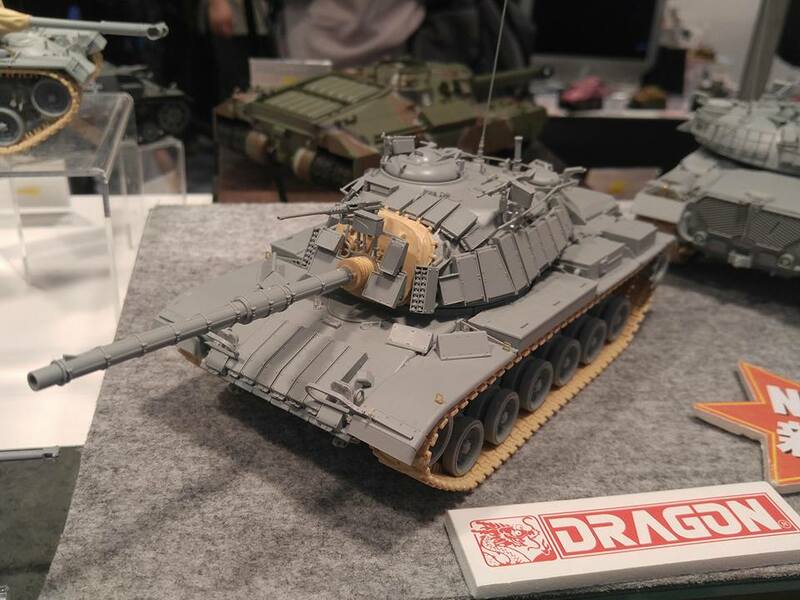 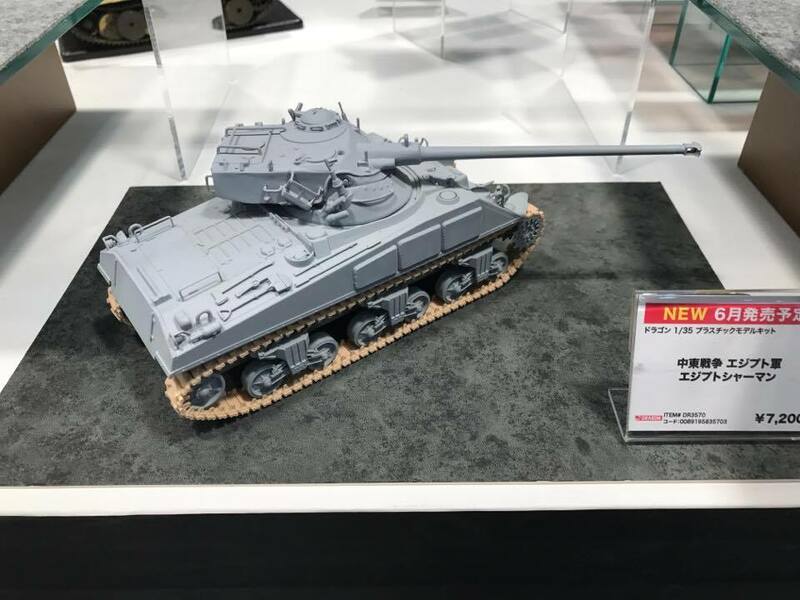 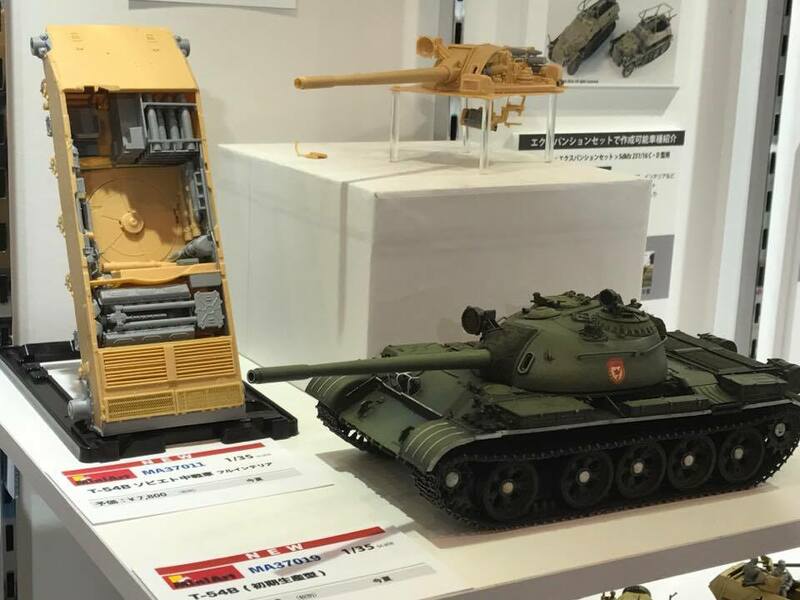 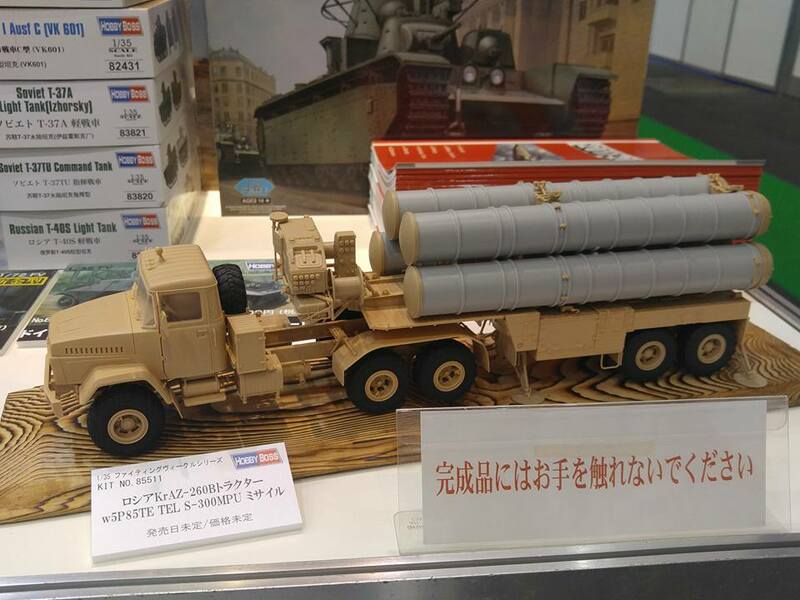 Tamiya booth - for us the 1/16 M1A2 tank from tamiya was a BIG surprise. 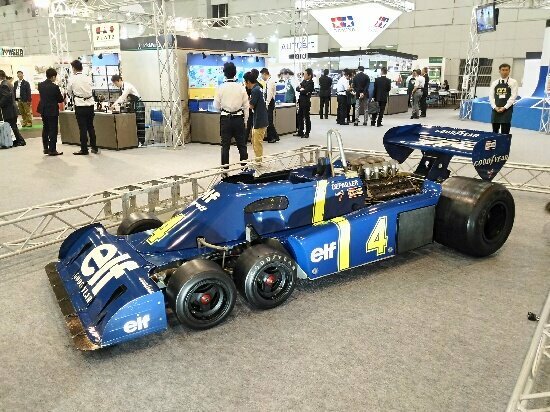 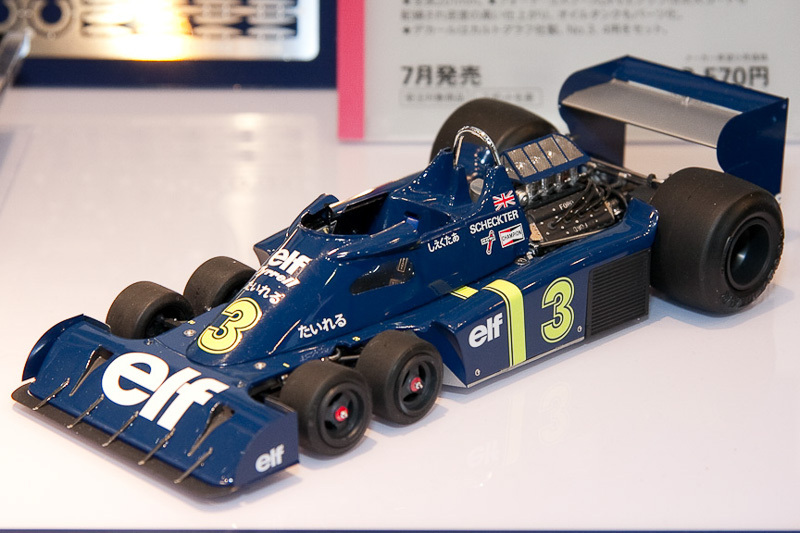 1/20 "Tyrell P34 1976 Japan GP". 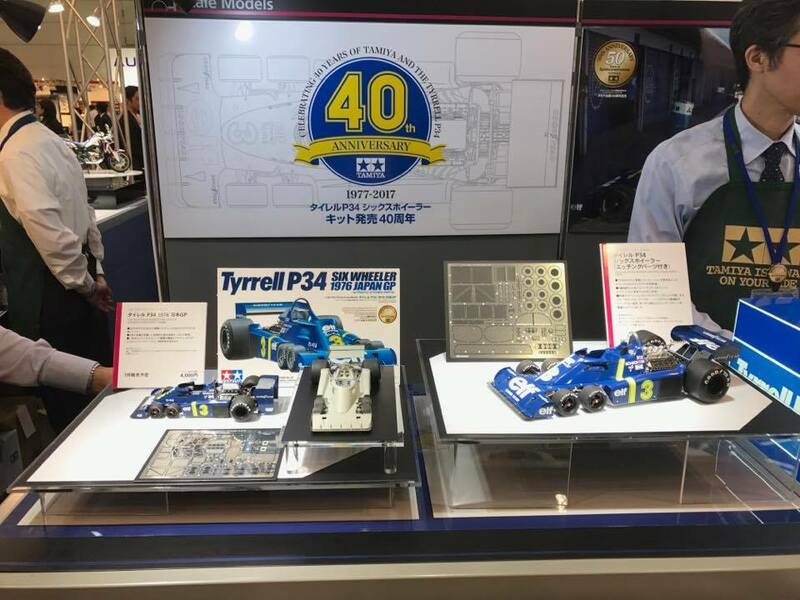 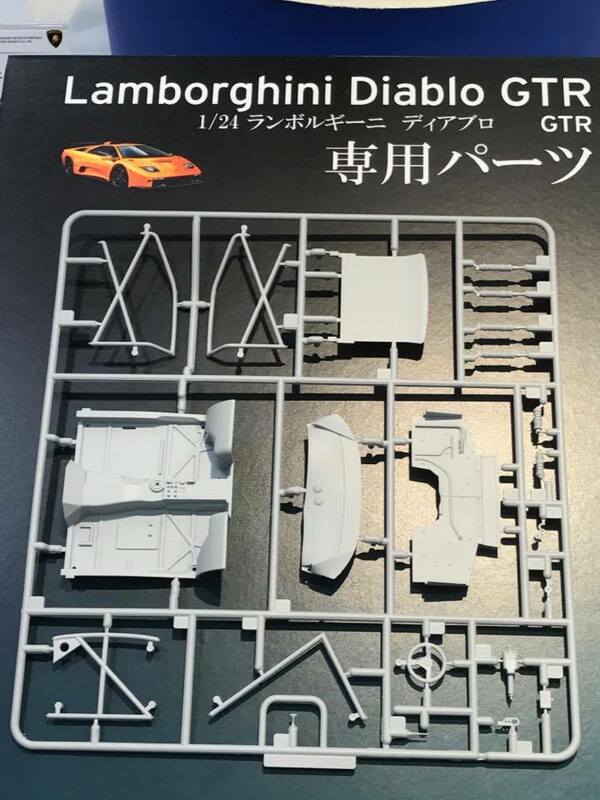 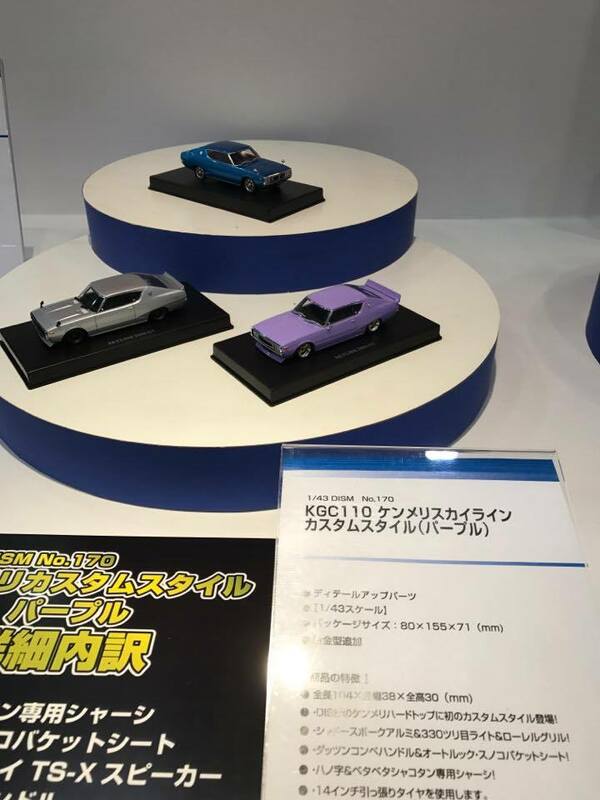 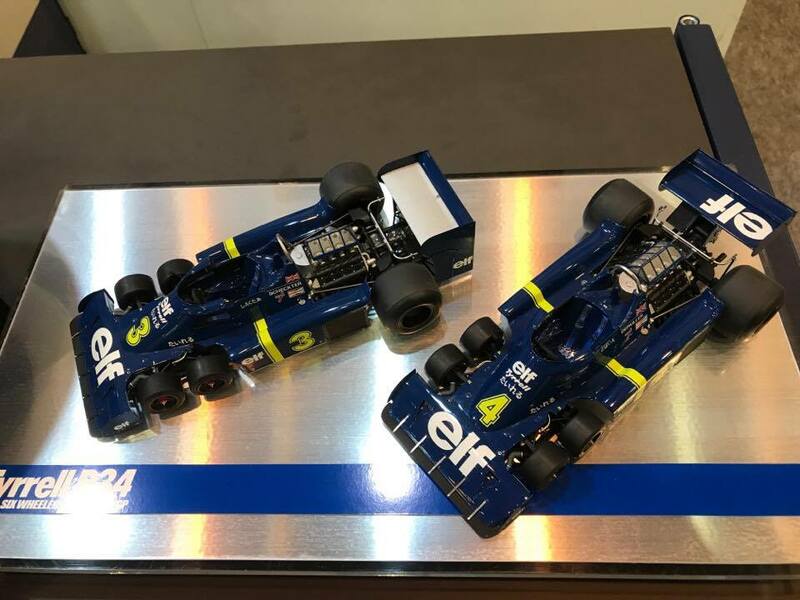 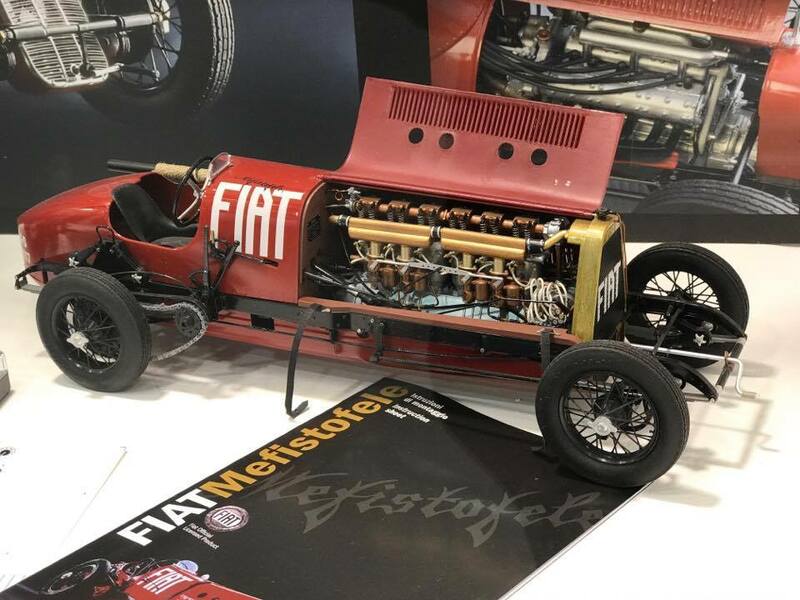 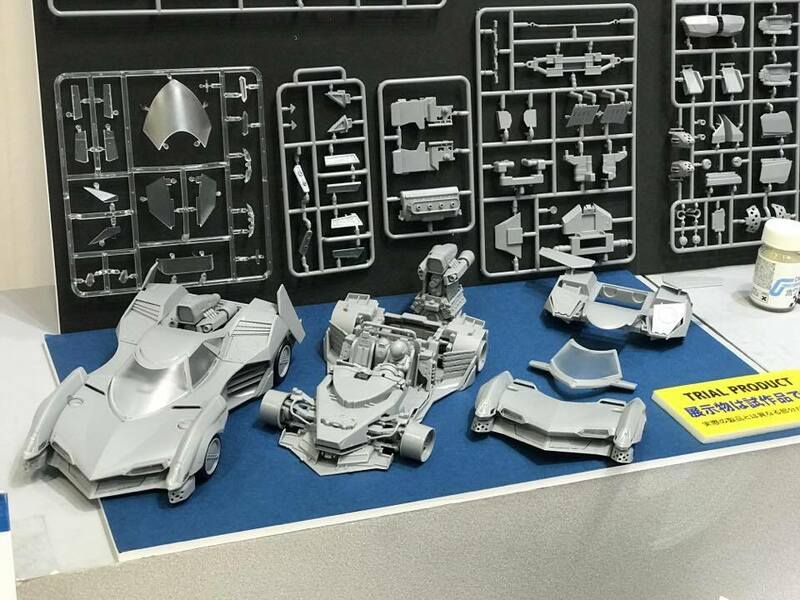 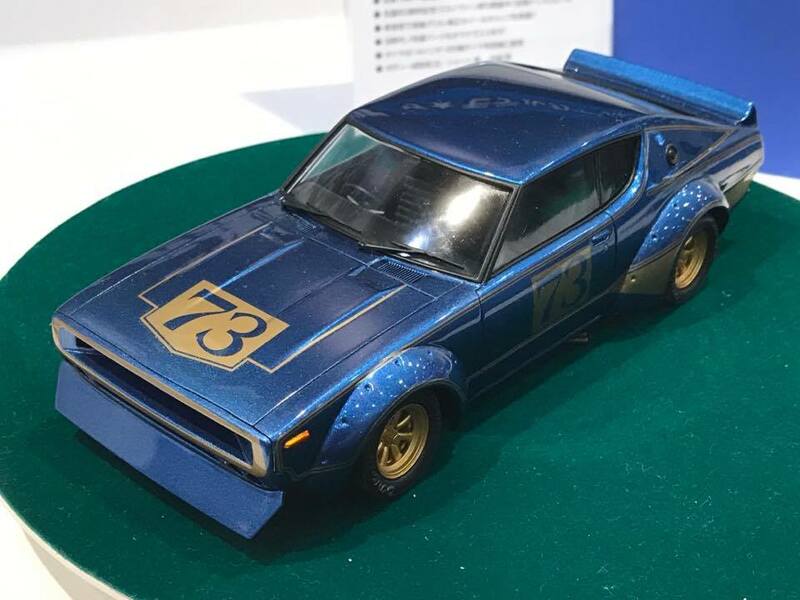 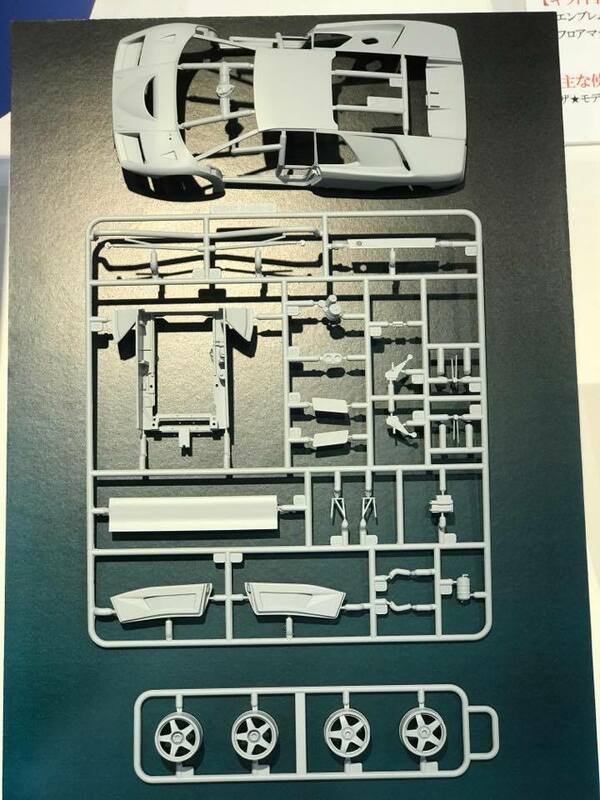 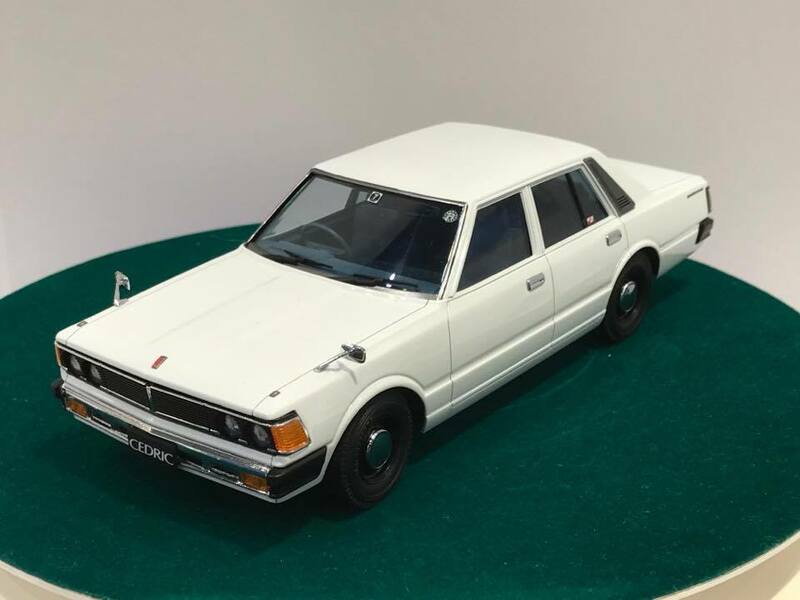 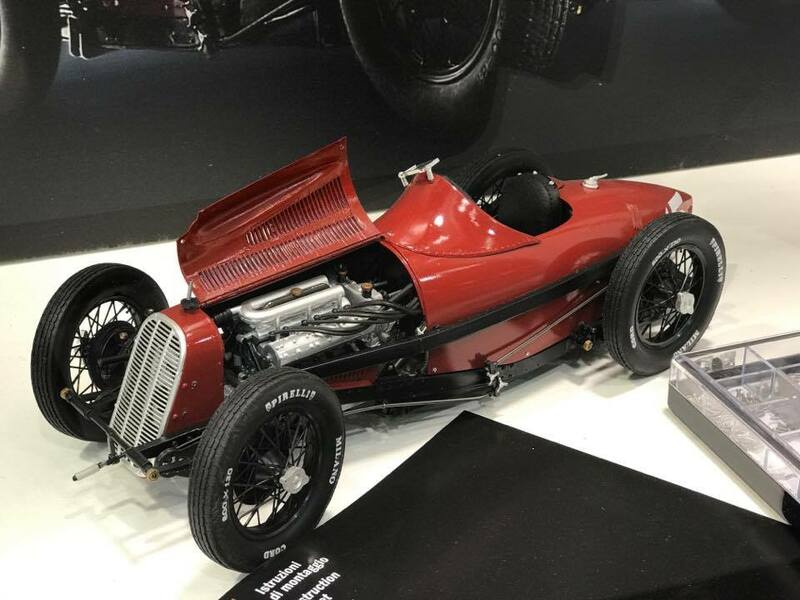 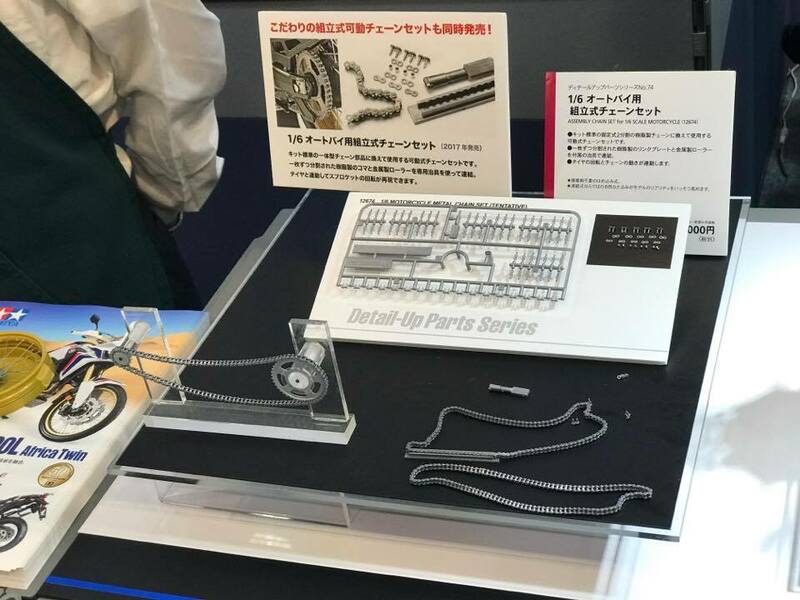 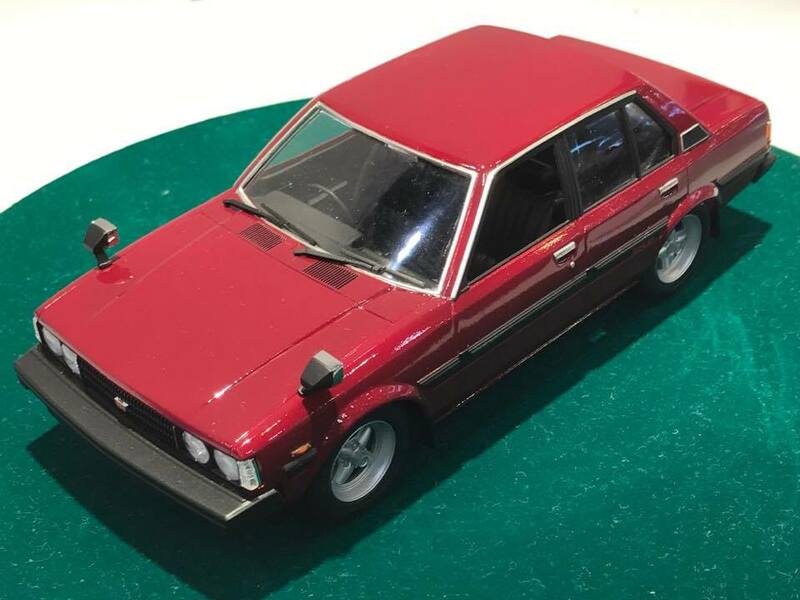 We are reworking the machine that went through F1 Japan Grand Prix in 1976 - this is a re-issued kit and many will make it into an RC car we would think. 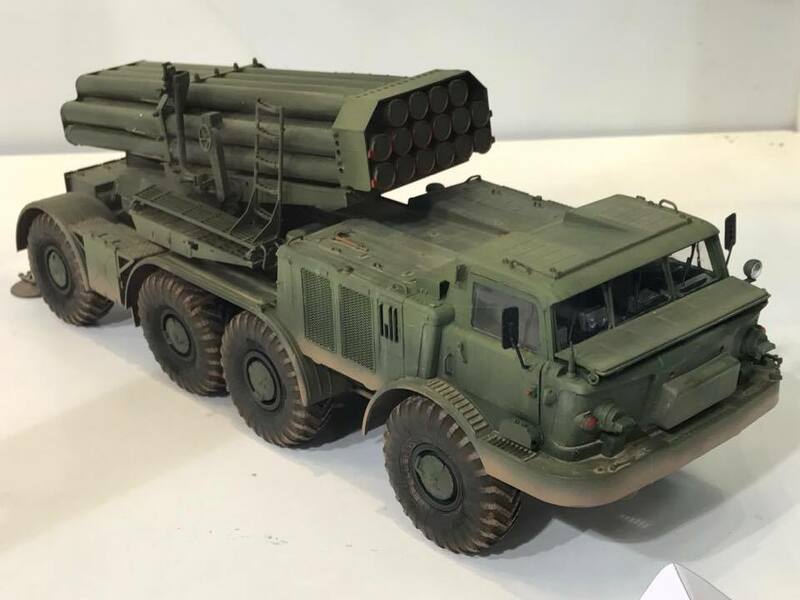 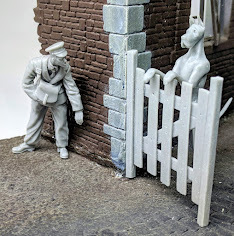 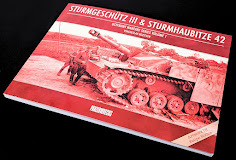 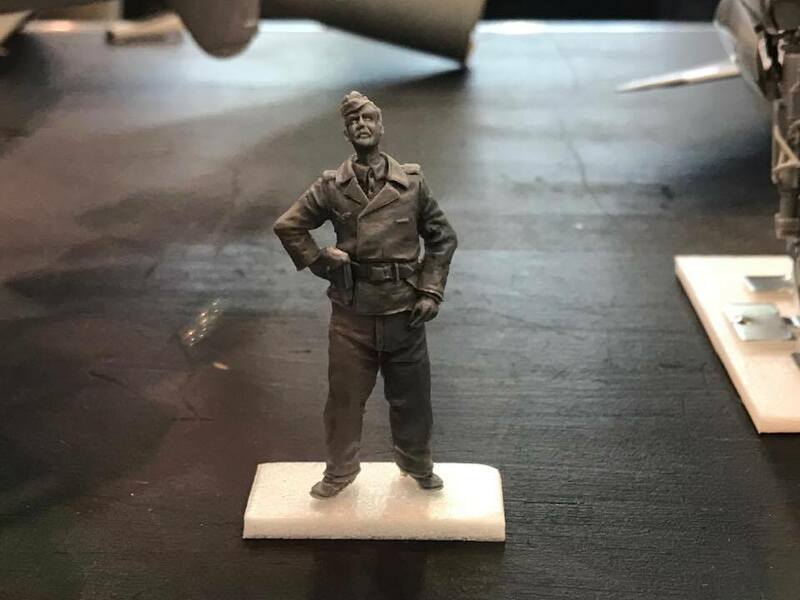 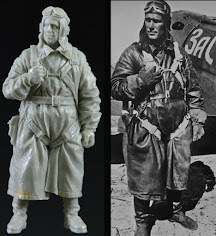 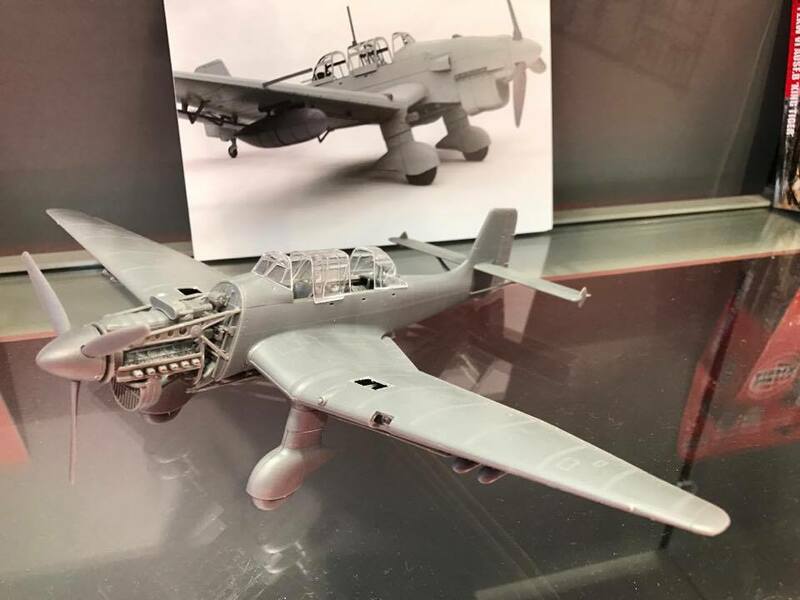 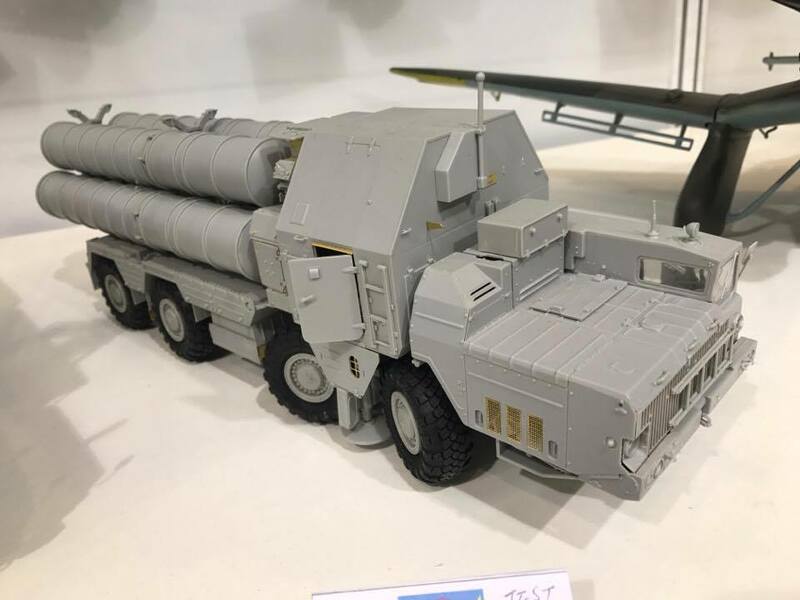 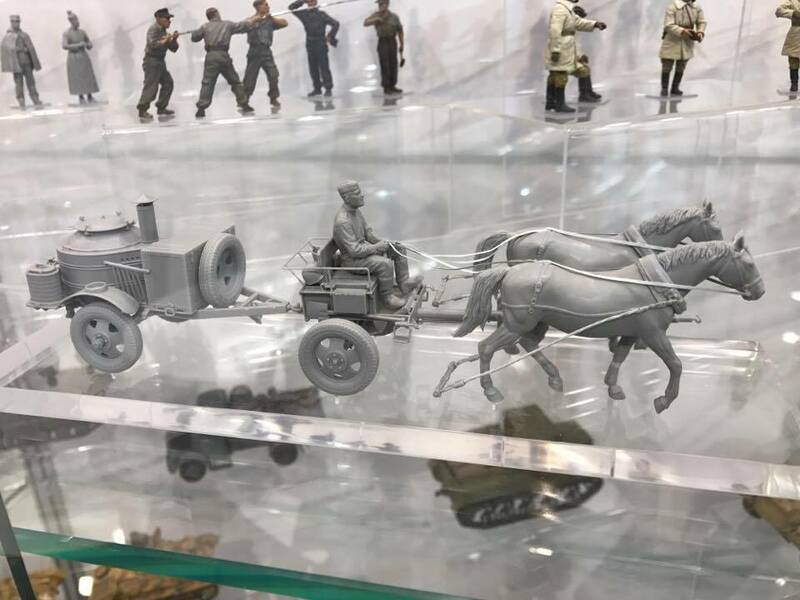 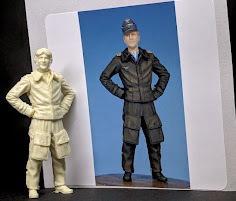 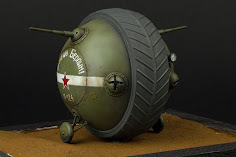 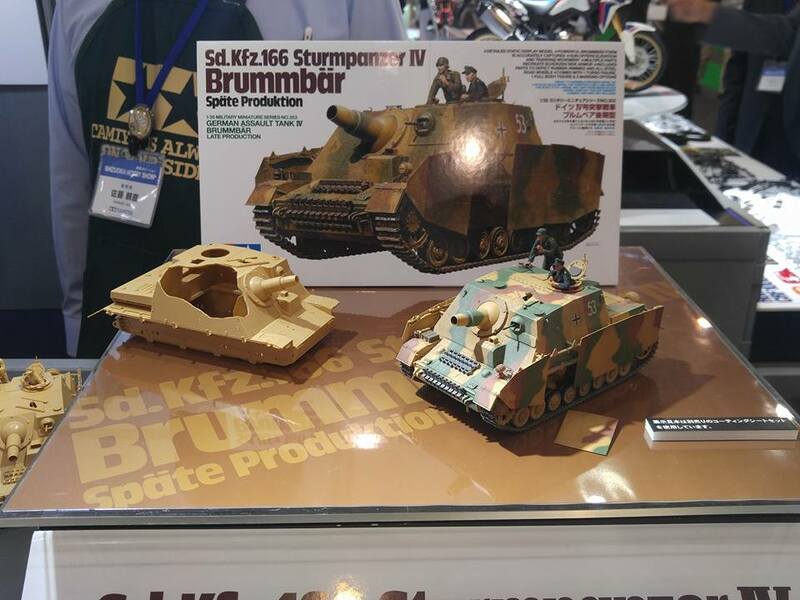 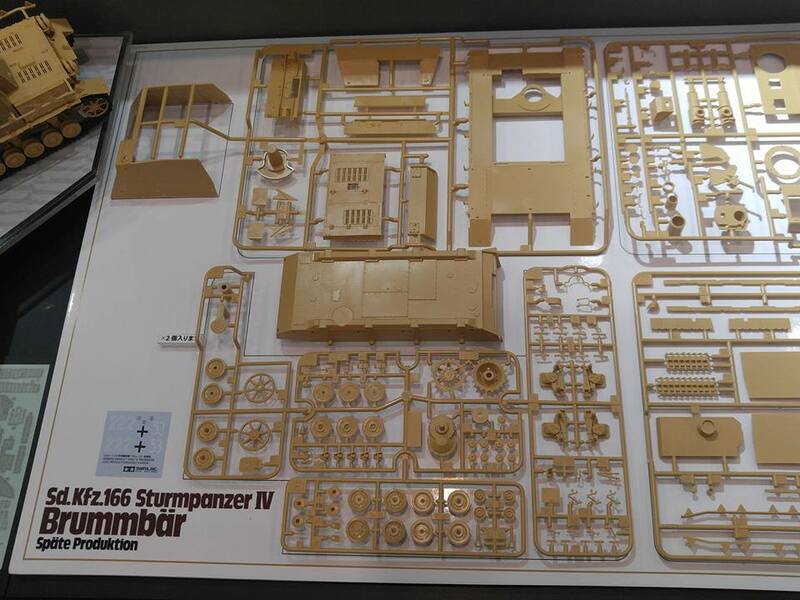 the new 1/35 New Brummbar late type(series 4) looks like a very nice - the Zimmerit looks effective, doesn't it? 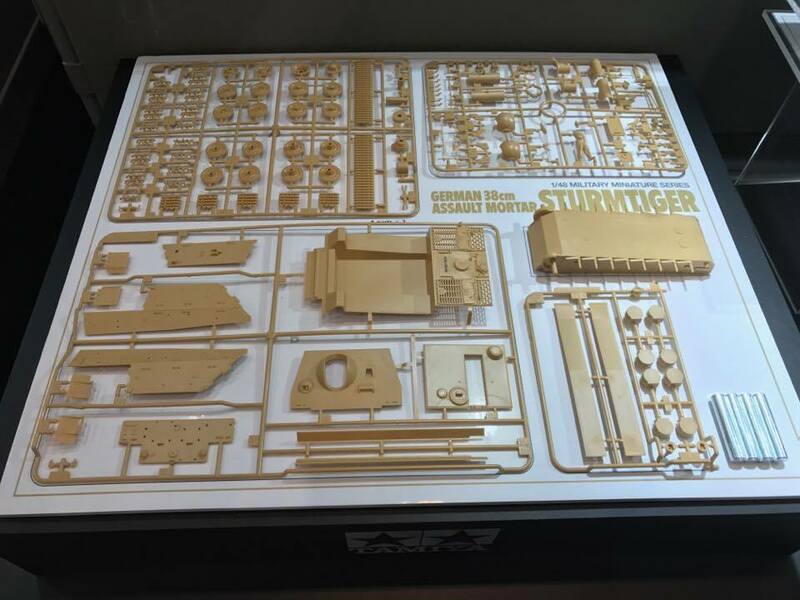 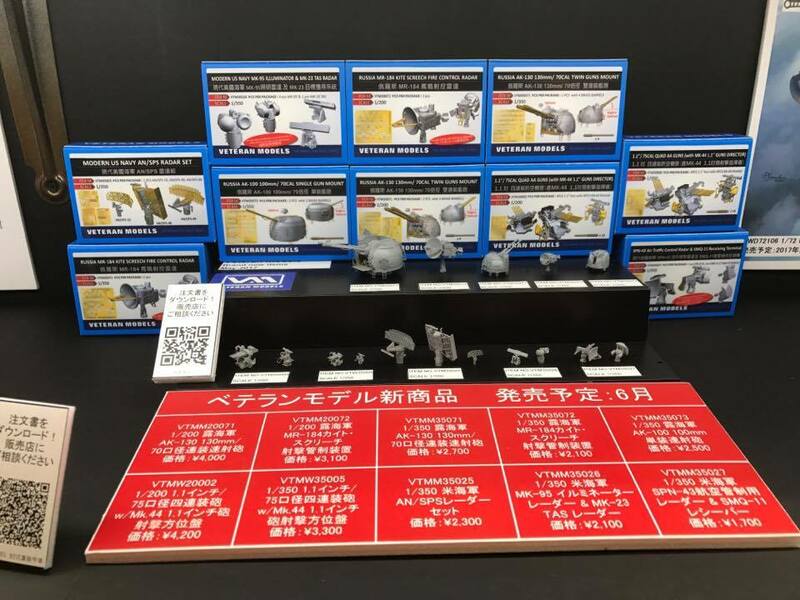 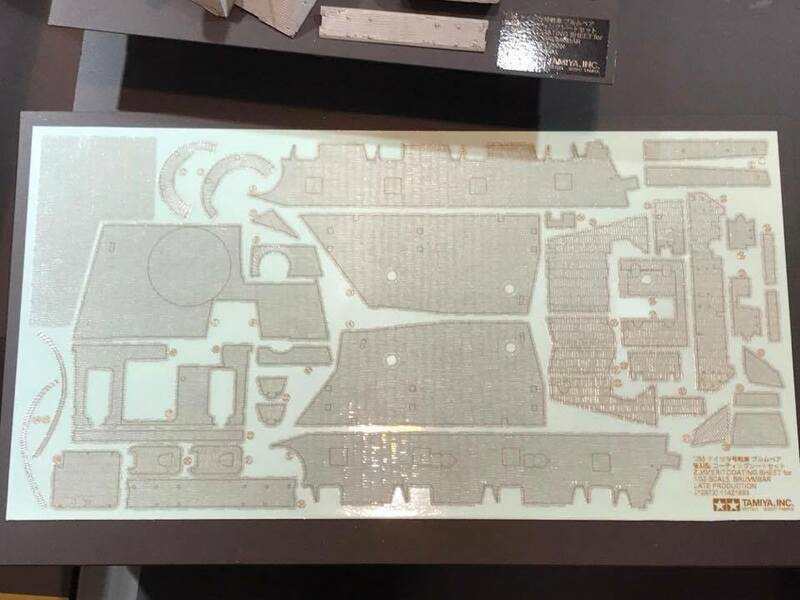 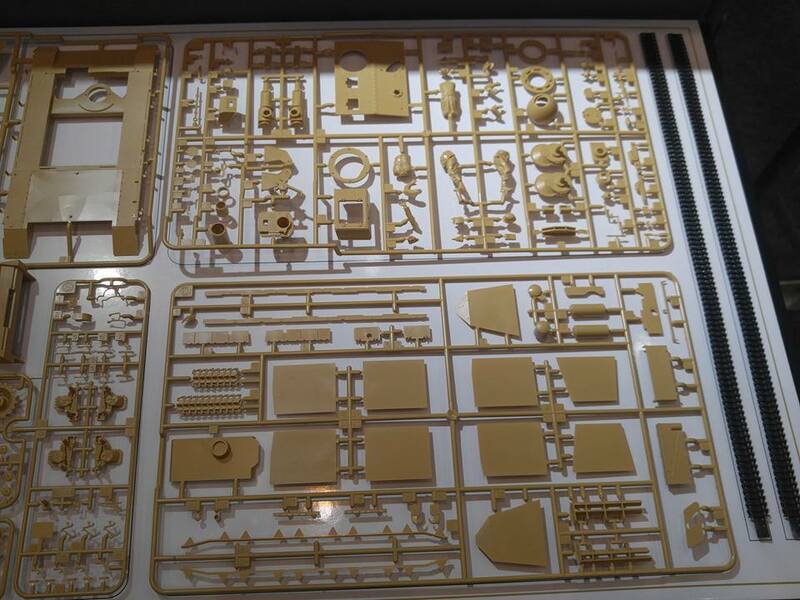 Fine Molds 1/700 Close-In Weapon System for Modern Ships is sure to be a useful kit for many modern warship modellers! 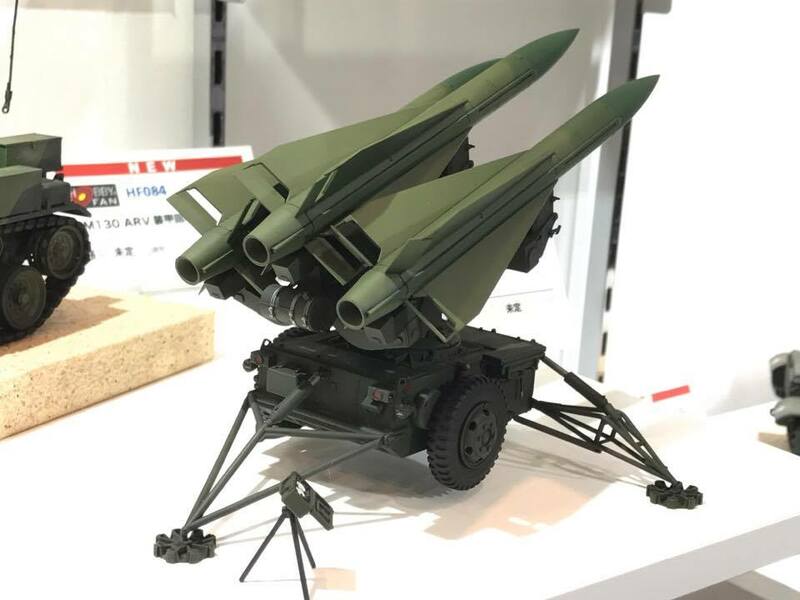 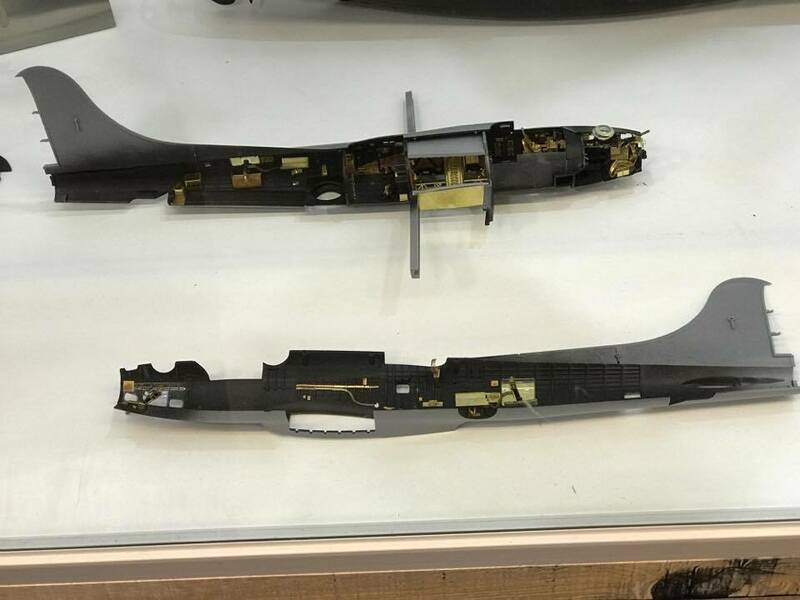 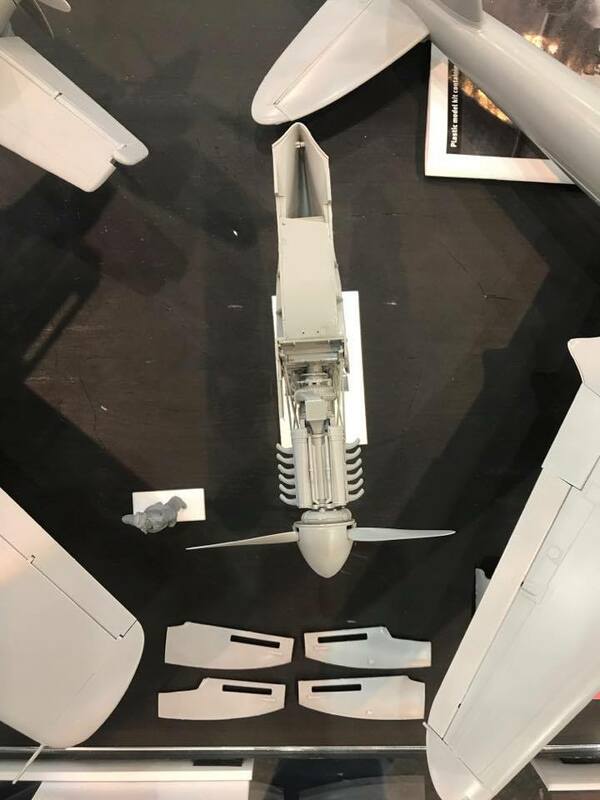 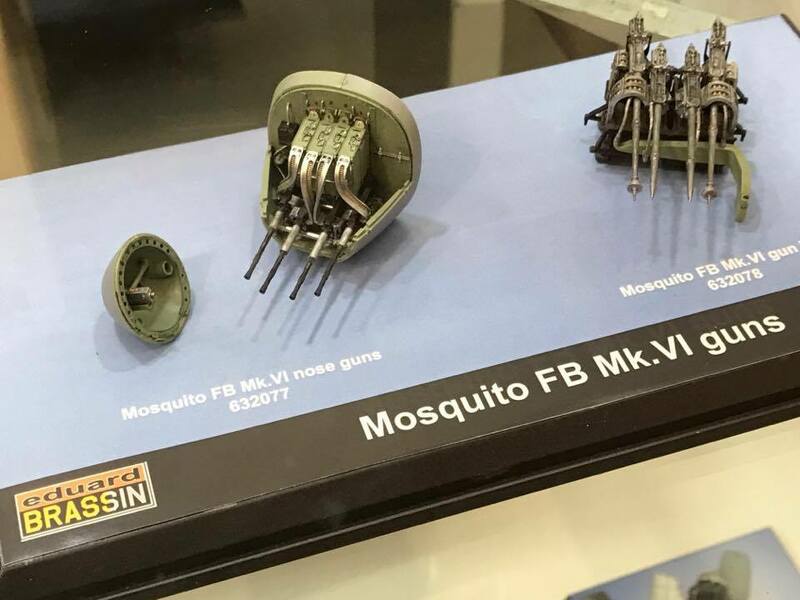 The close-in weapon system is used by many ships worldwide, and Fine Molds have now reproduced this distinctive point-defense weapon system in fine detail. 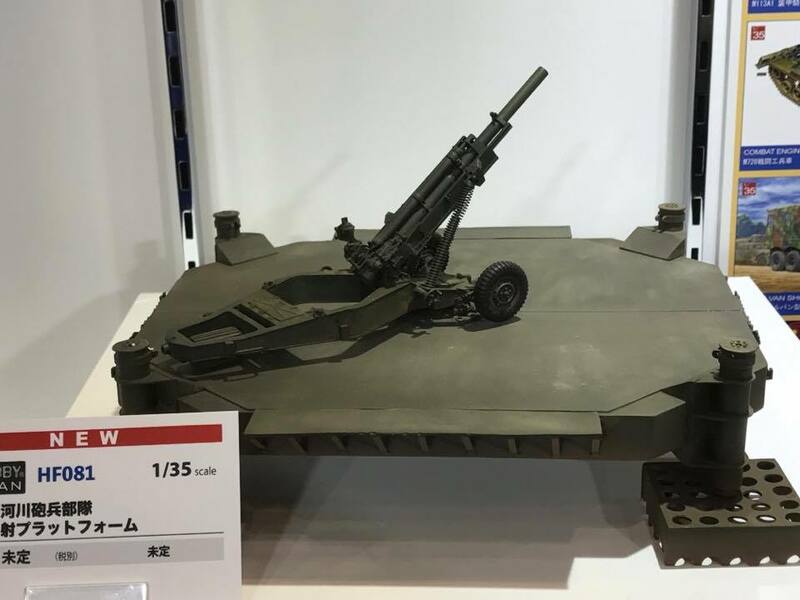 The CIWS can also be built in one of three types for even more versatility. 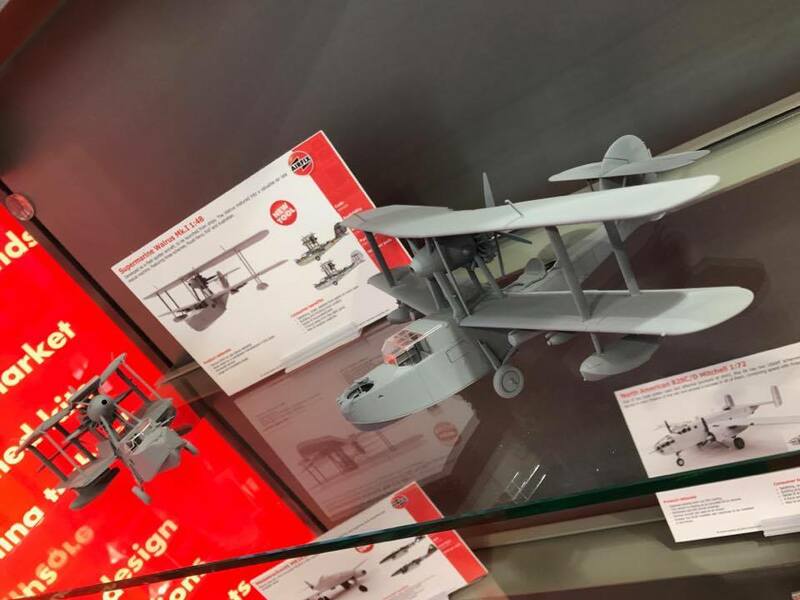 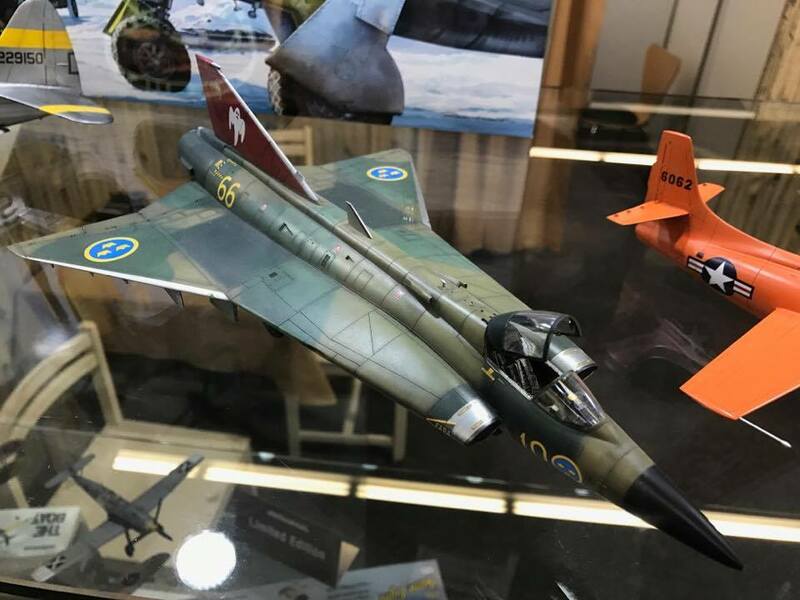 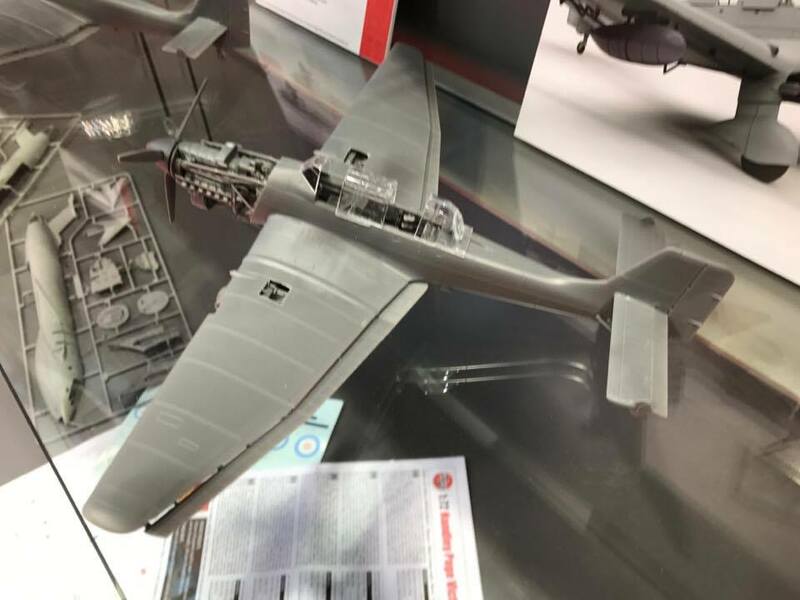 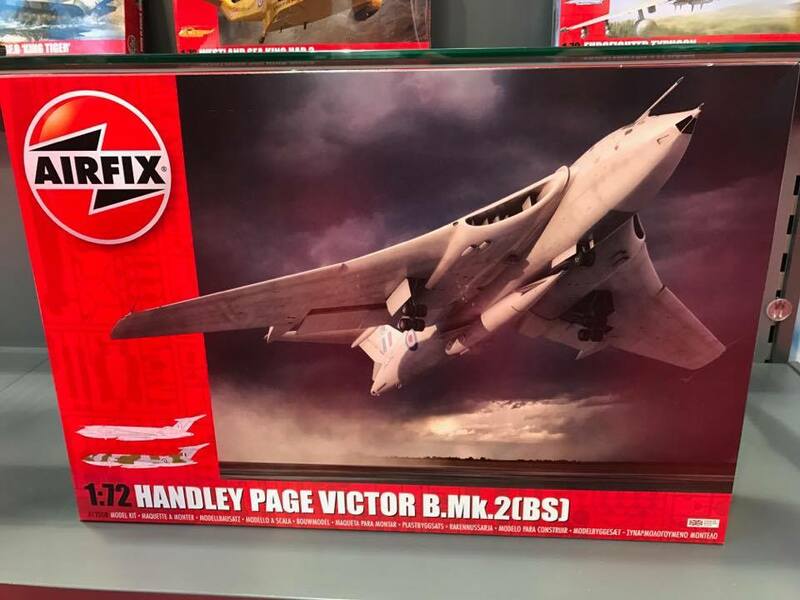 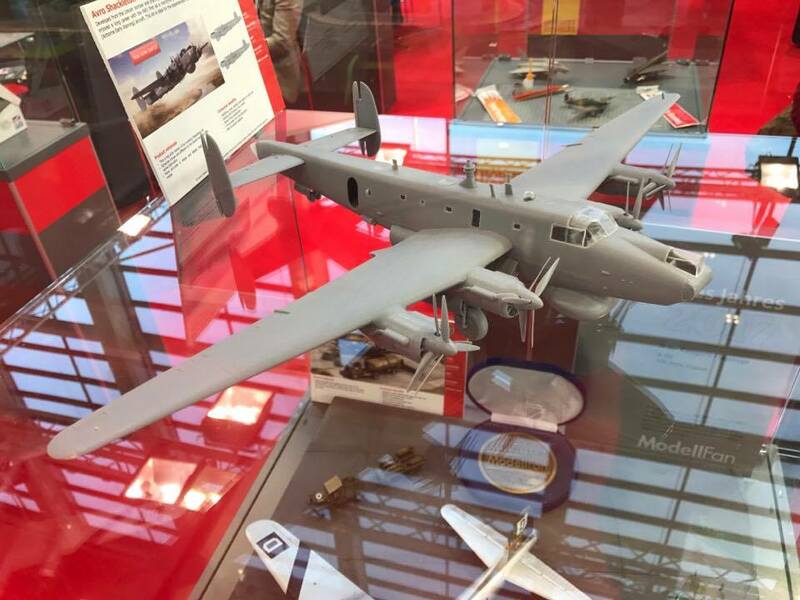 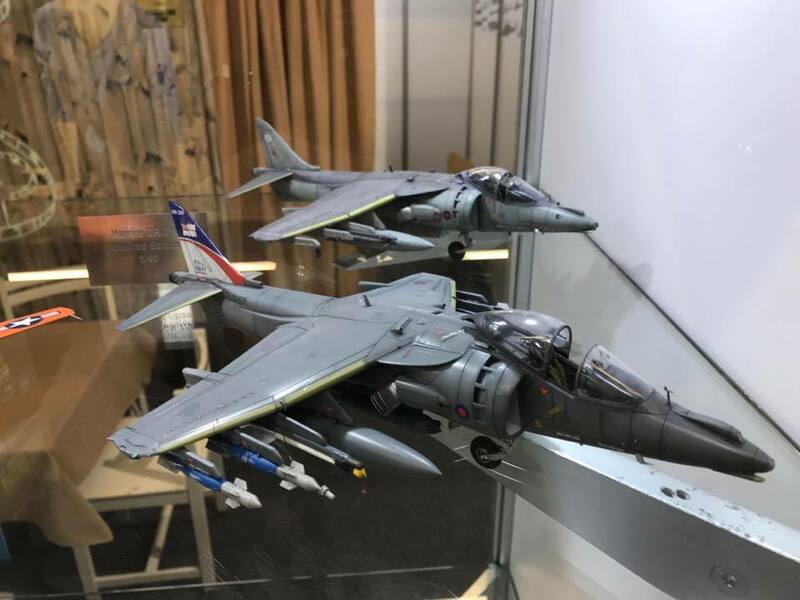 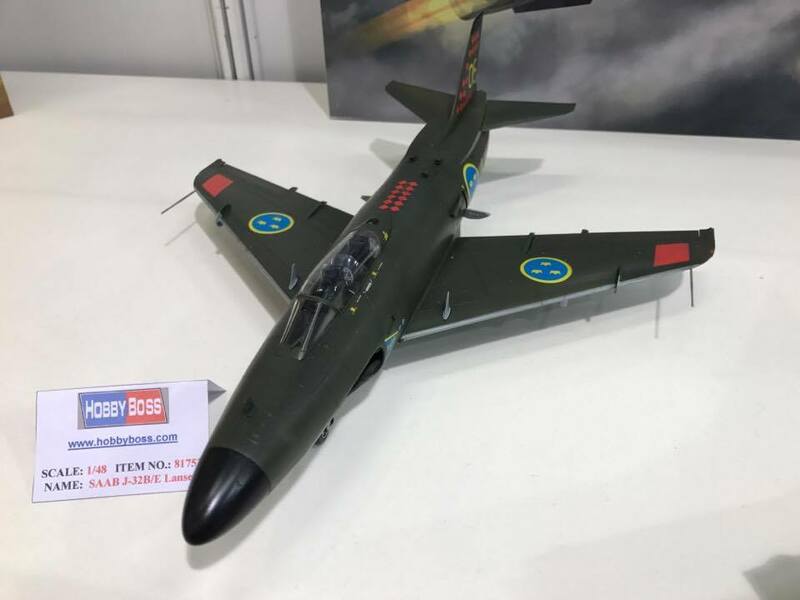 Airfix had a lot on display here - especially the nice looking early war Stuka and new RN Phantoms which will sell well. 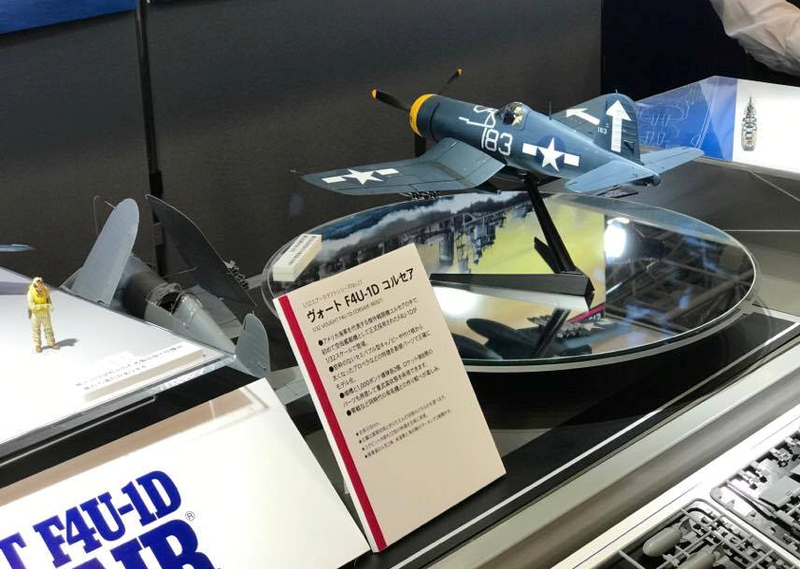 Eduard had a fair bit of metal on display - also their lovely adaptations of the Hasegawa P-47 kits. 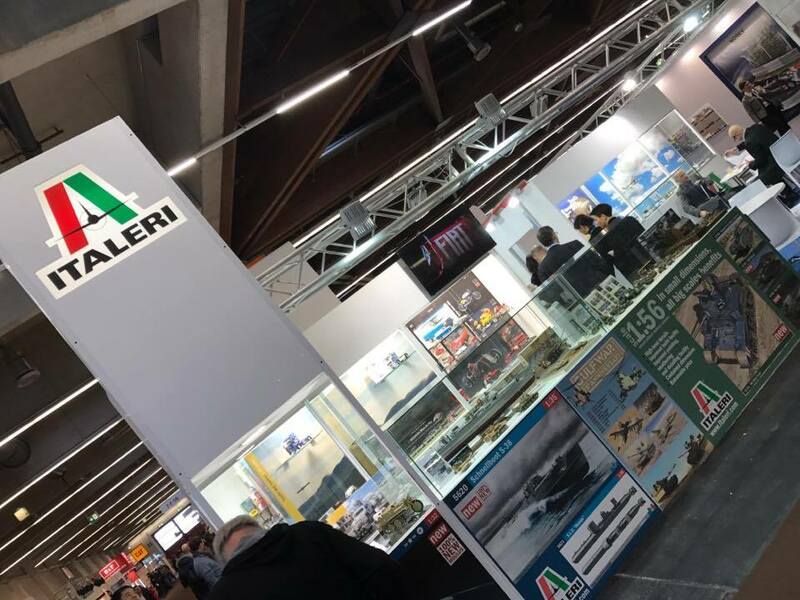 Italeri had lots of new kits on display and some older re-editions, impressive models though. 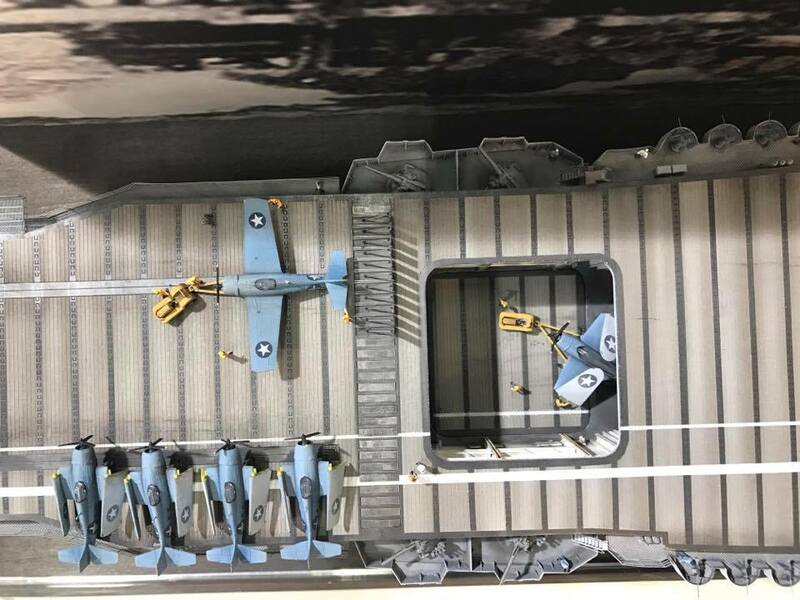 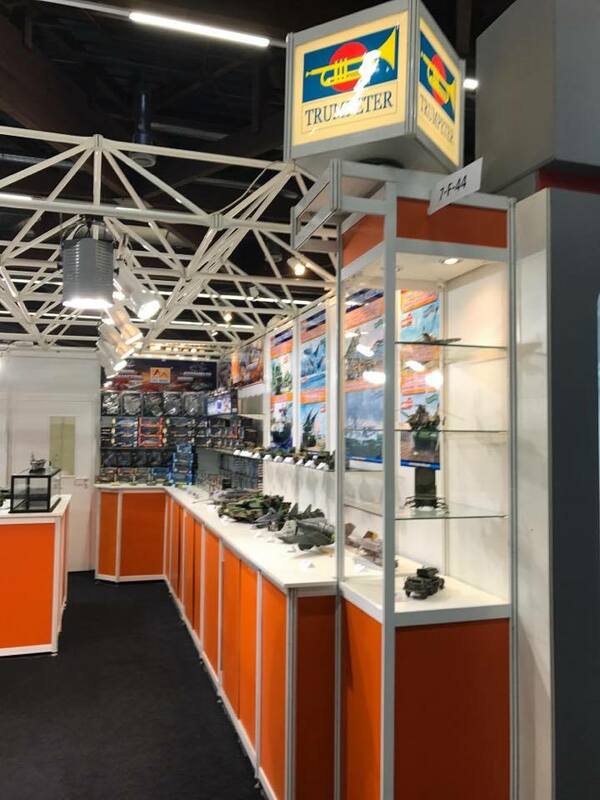 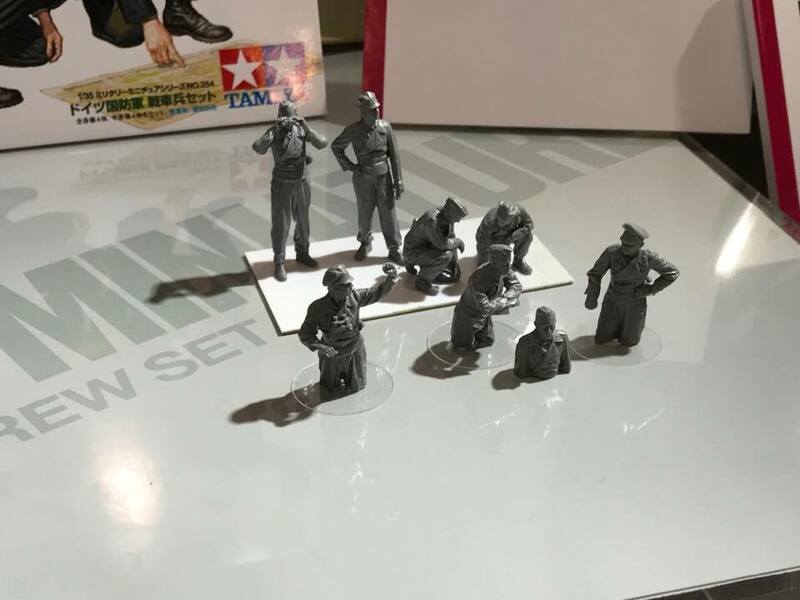 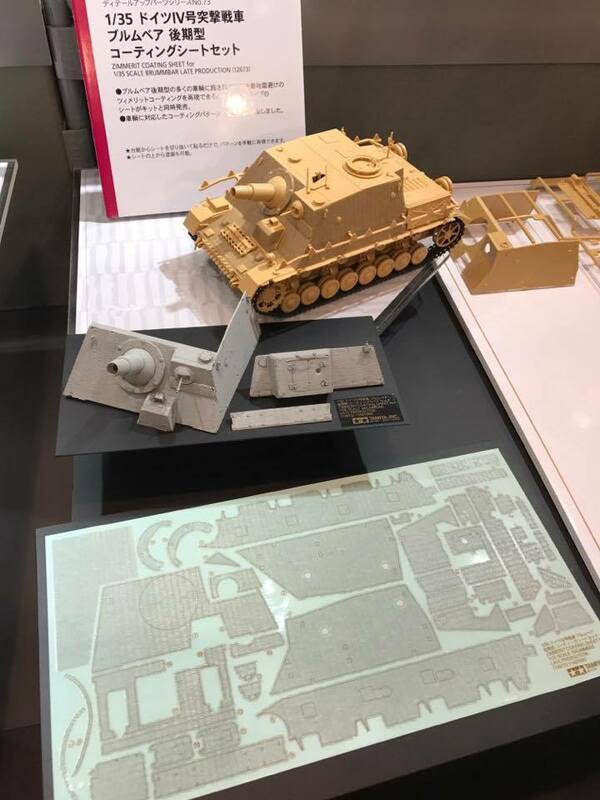 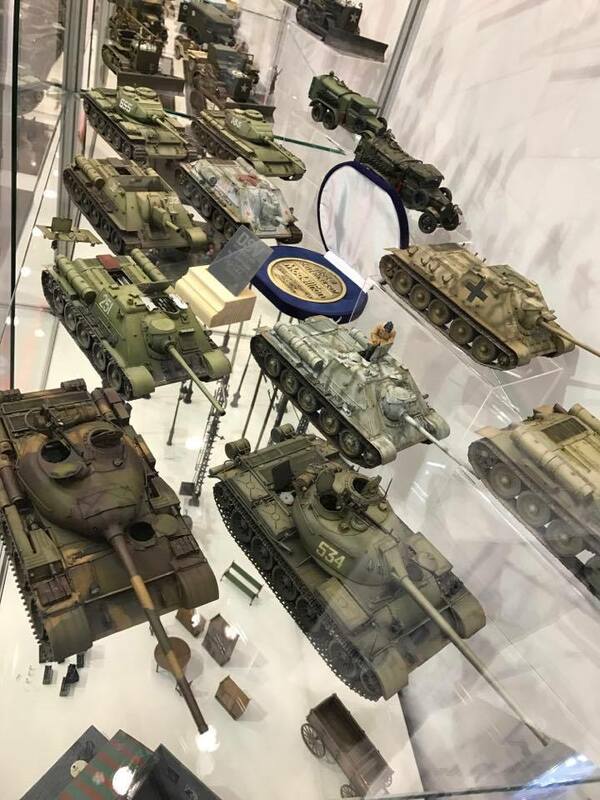 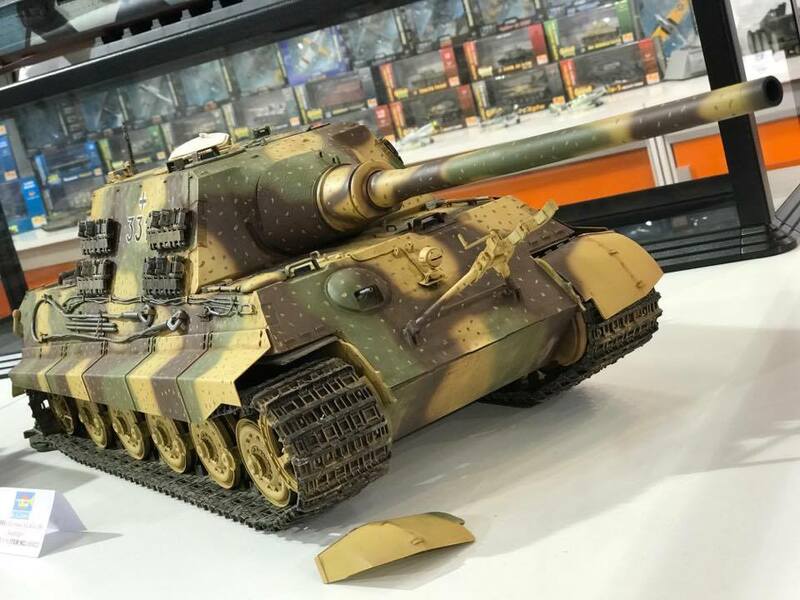 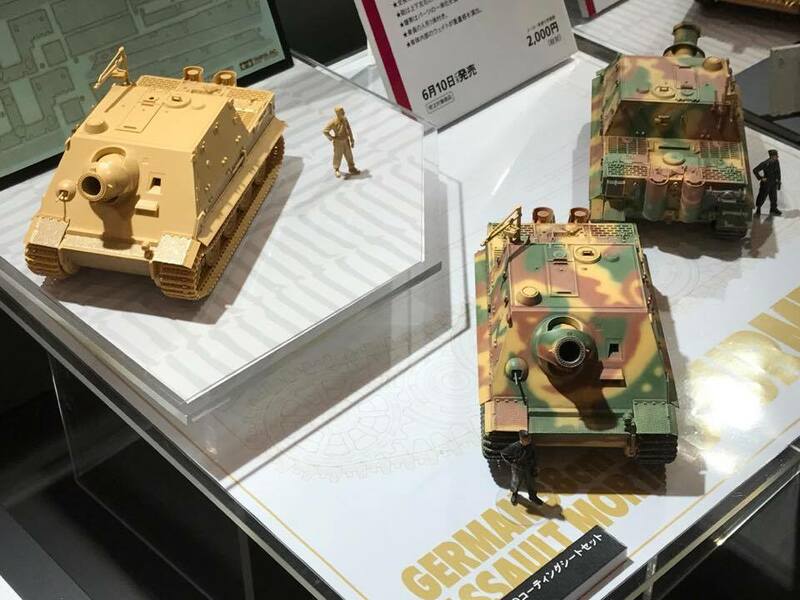 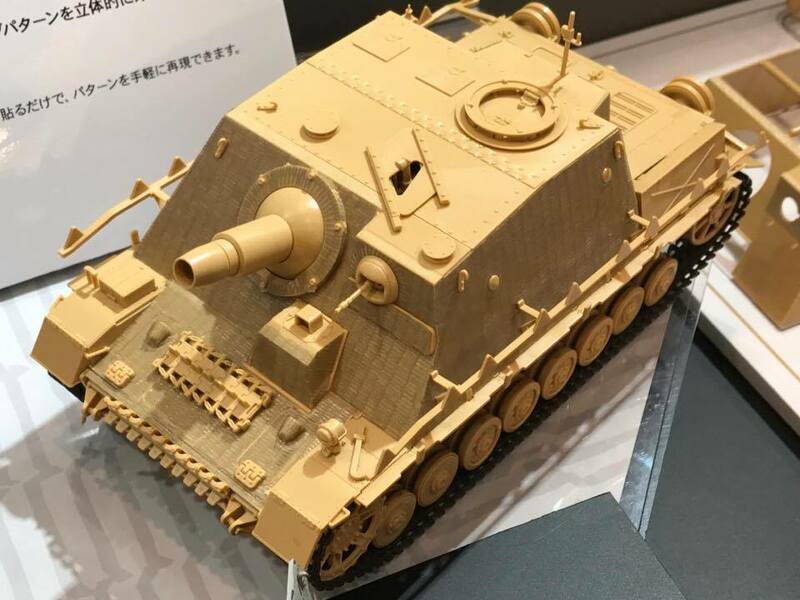 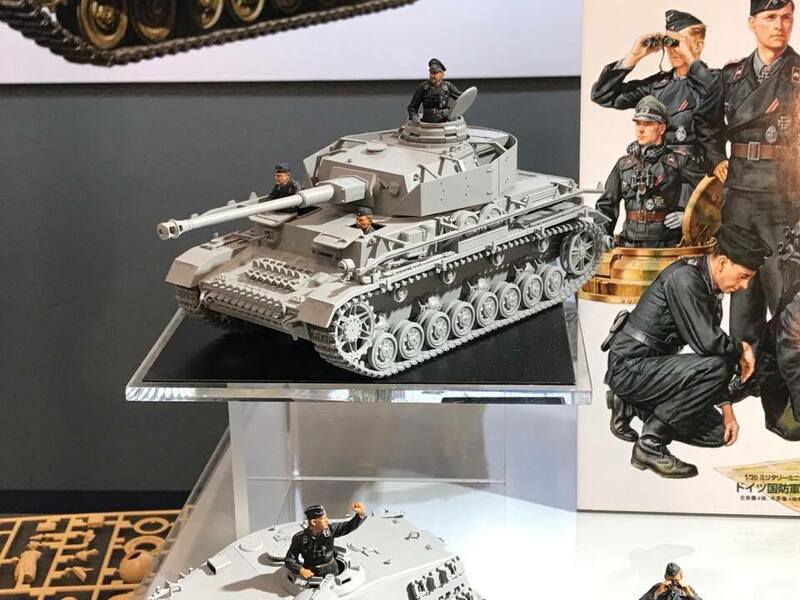 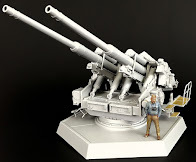 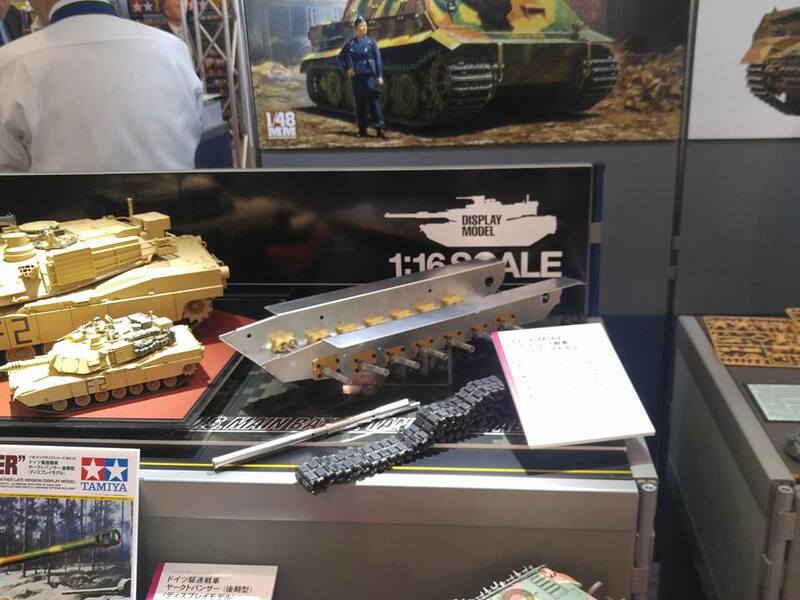 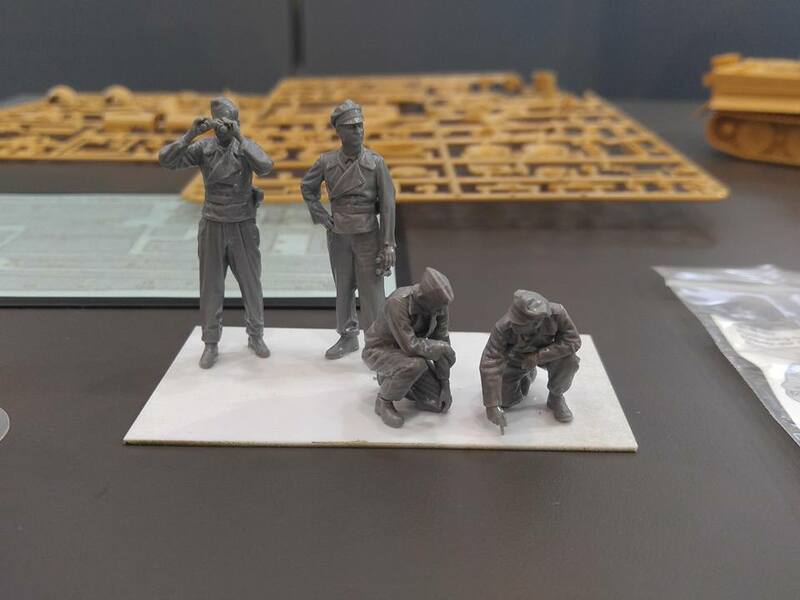 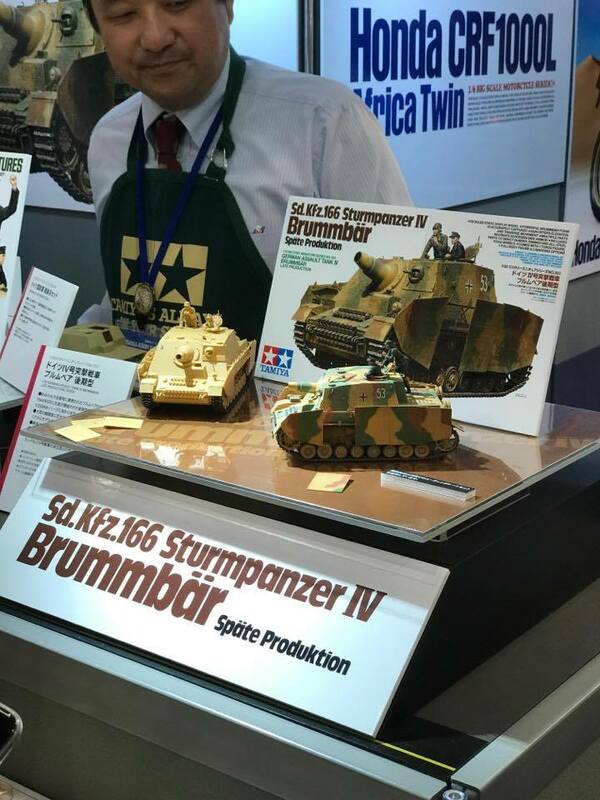 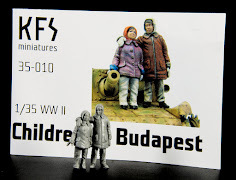 The trumpeter stand was dominated by big models like the ships and 16th scale German Jagdtiger and Panther tanks along with the usual mostly Russian 34th scale stuff. 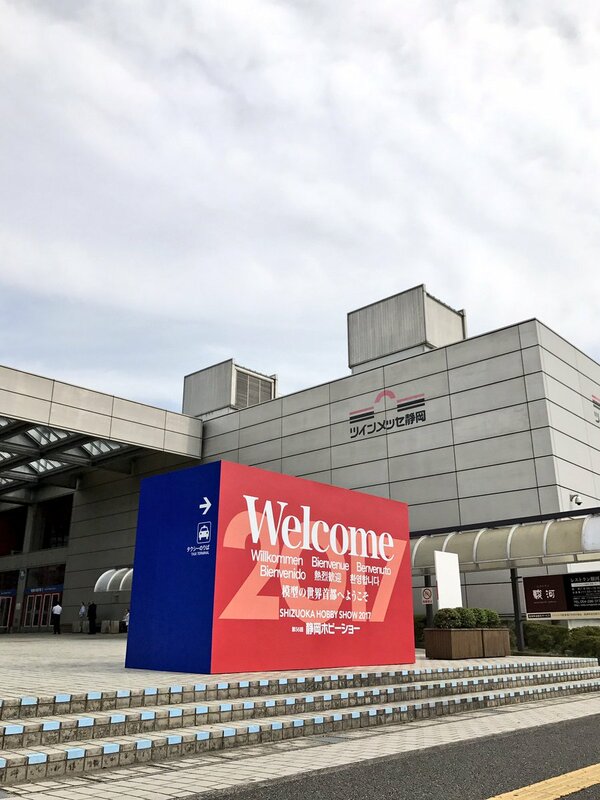 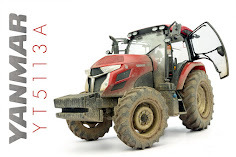 Well that was it from this – the industry day at the show – the weekend is set to be another jam-packed event with PLENTY of people there - breathe in! 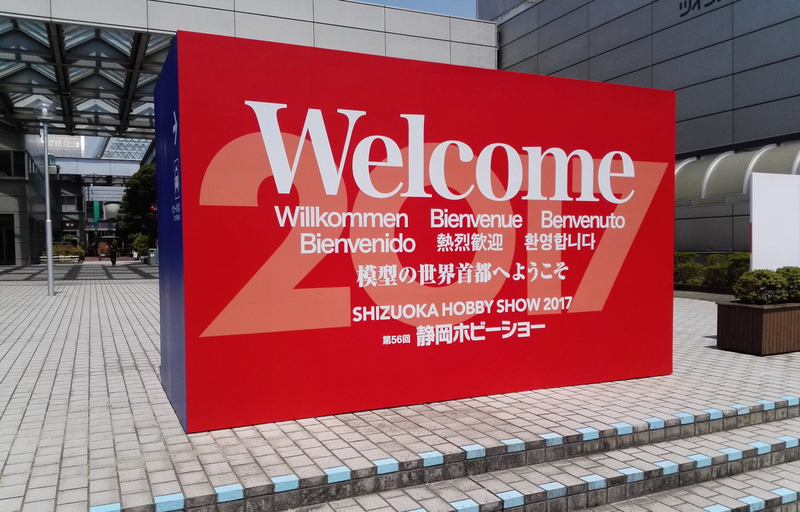 Thanks to the lovely people at the Shizuoka Hobby Square for the access to this great show.